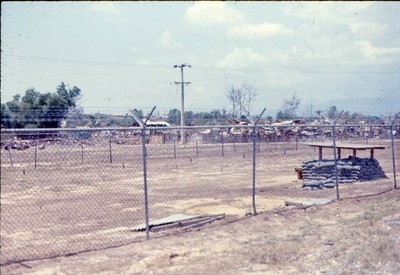 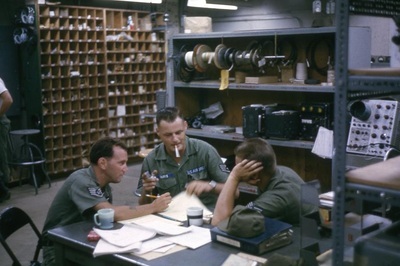 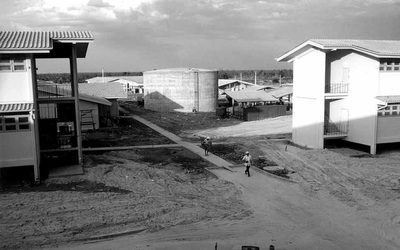 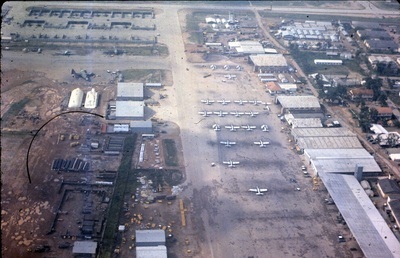 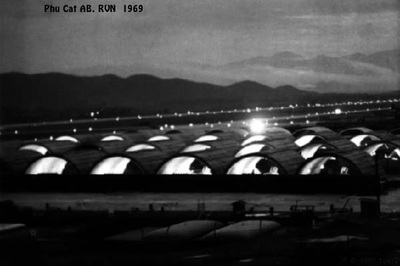 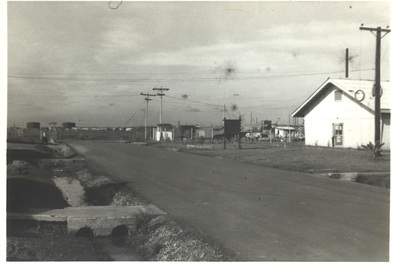 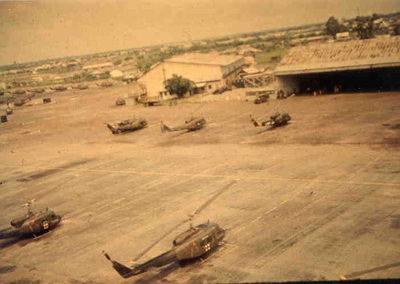 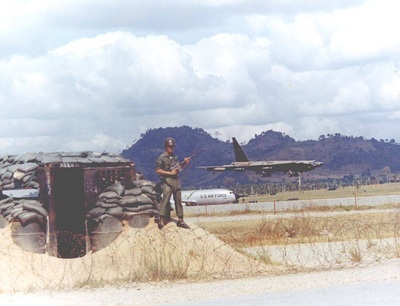 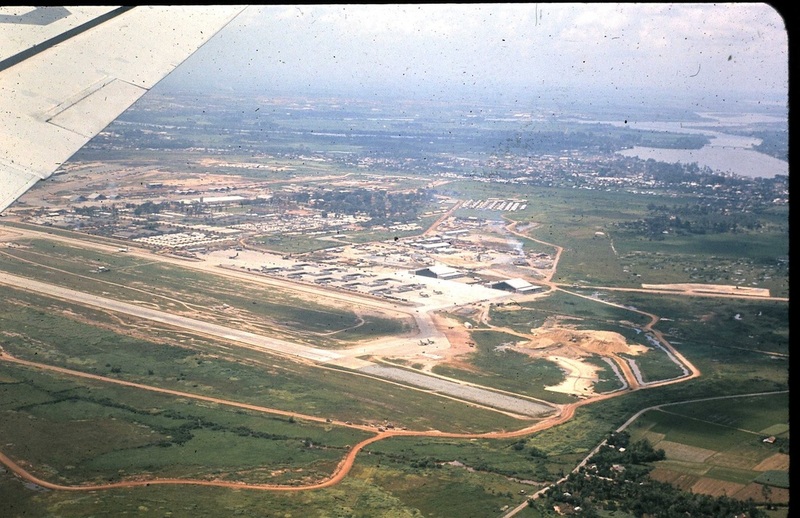 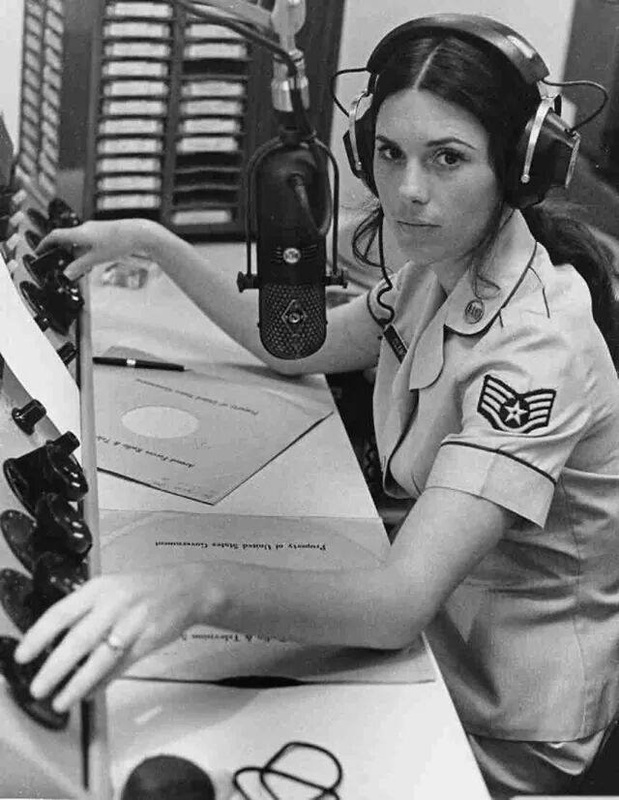 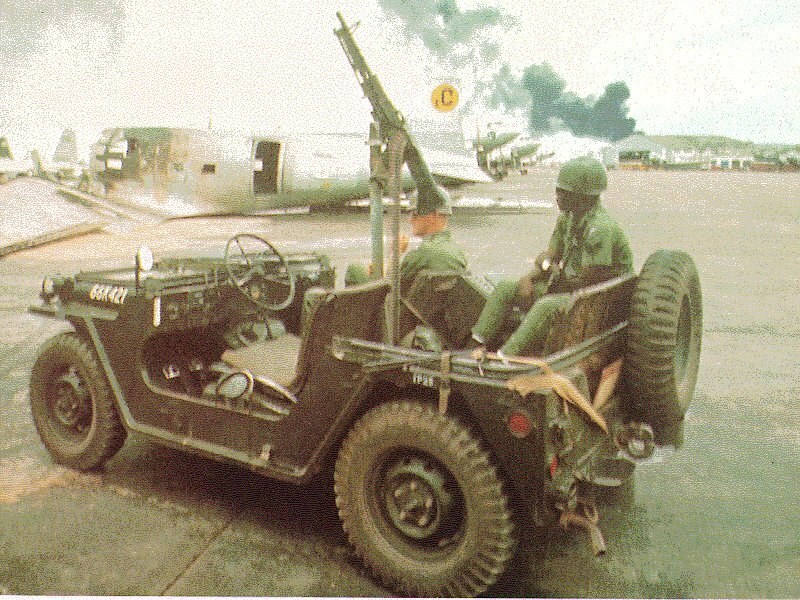 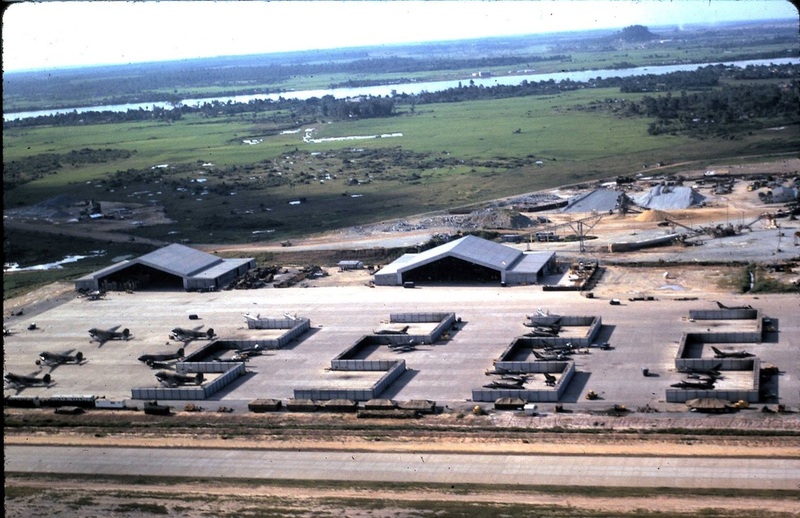 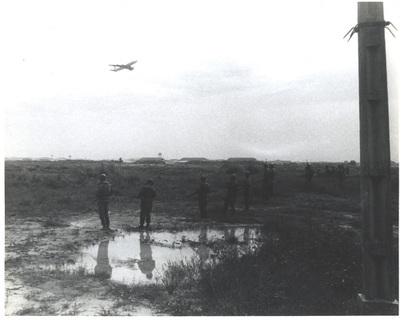 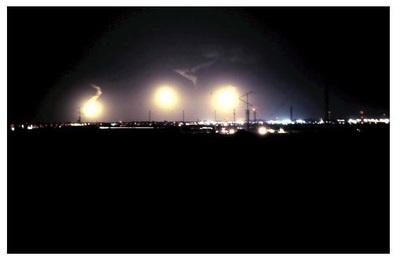 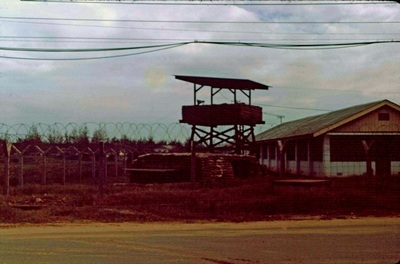 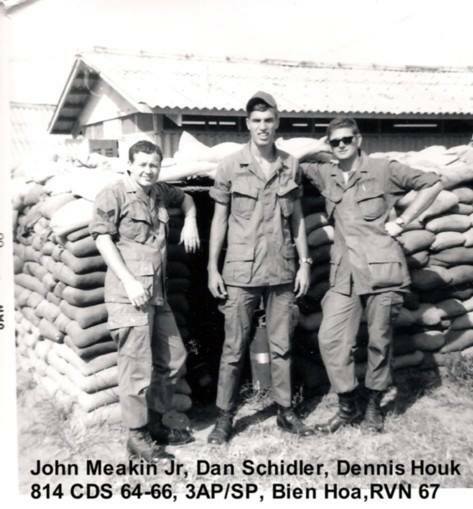 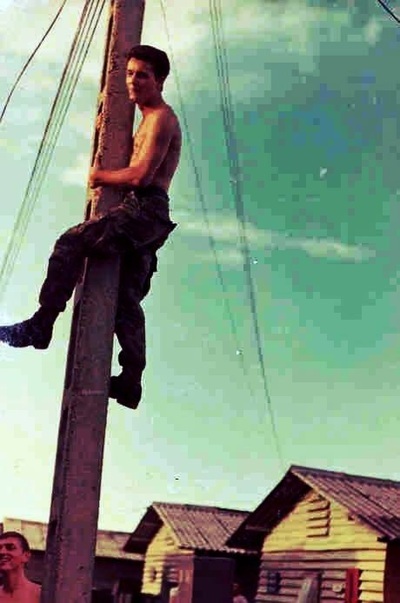 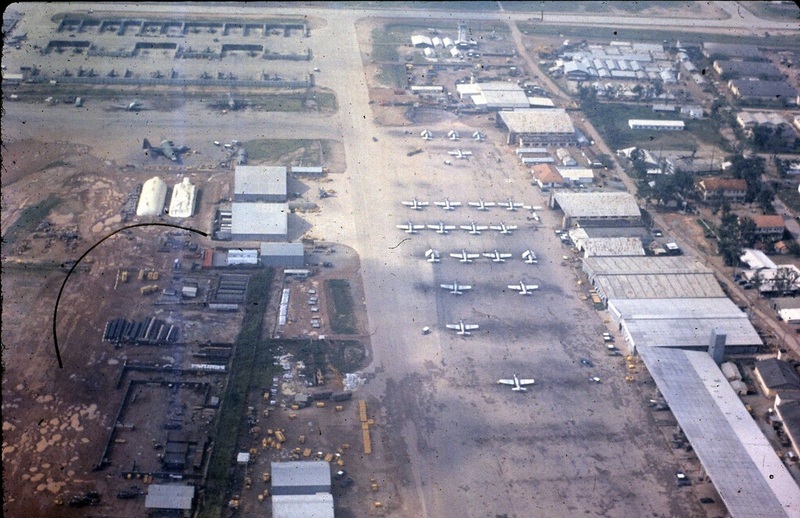 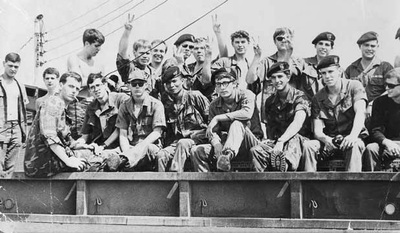 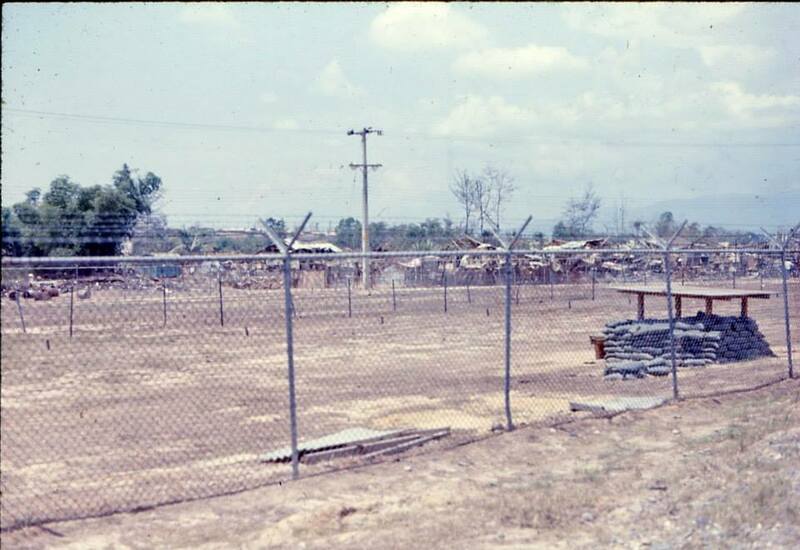 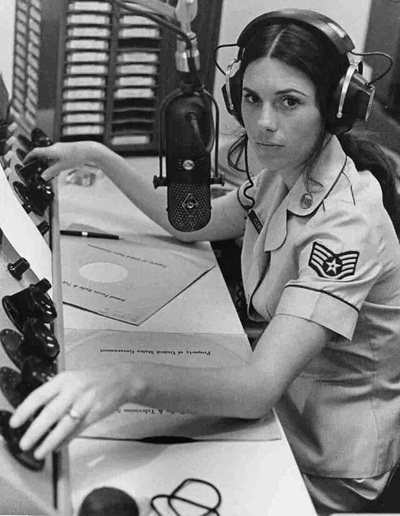 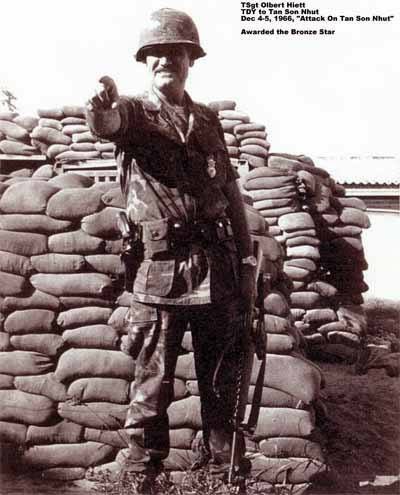 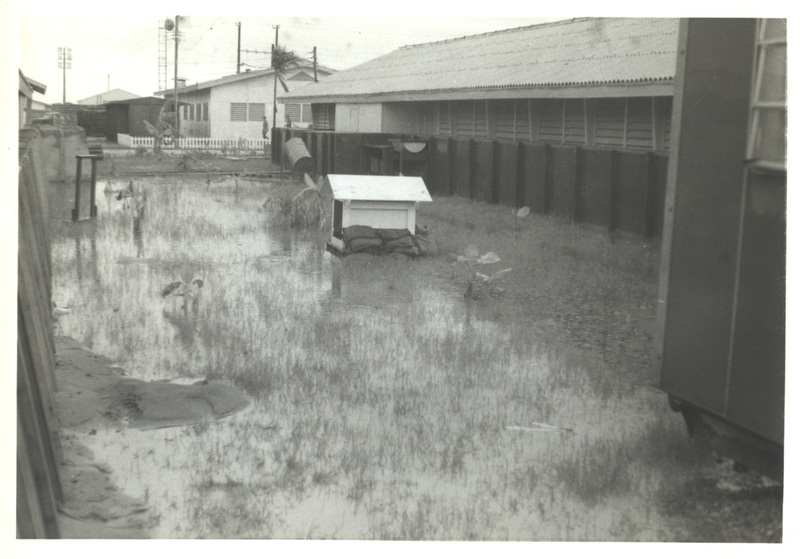 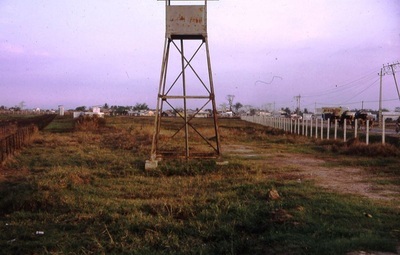 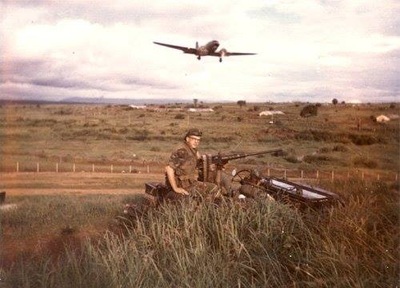 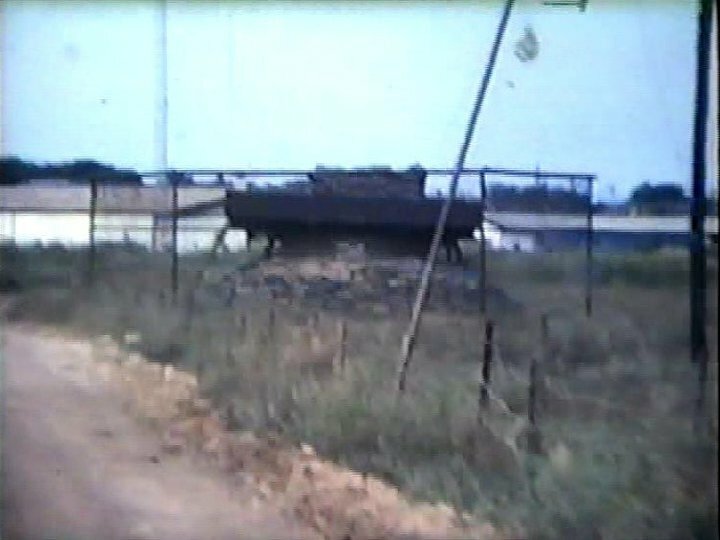 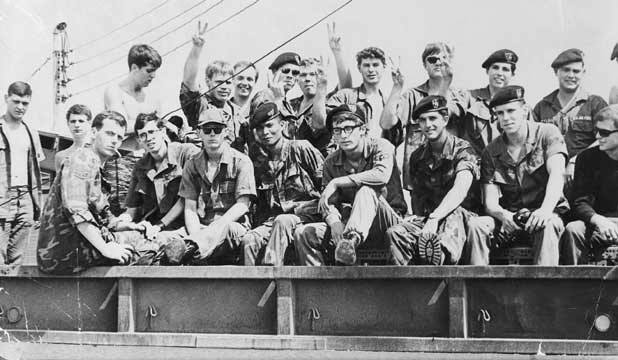 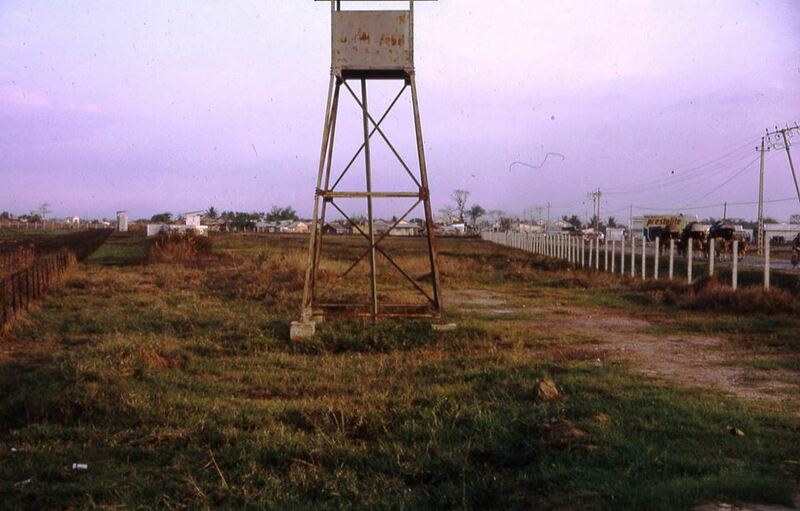 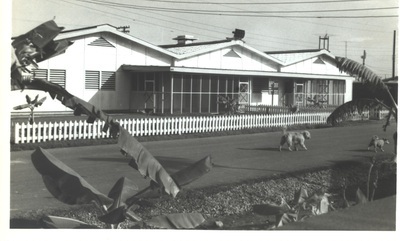 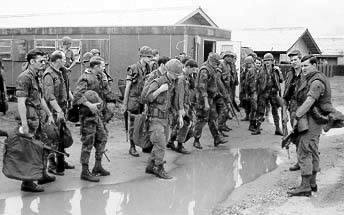 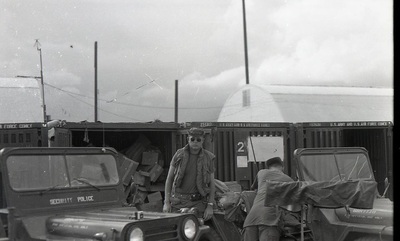 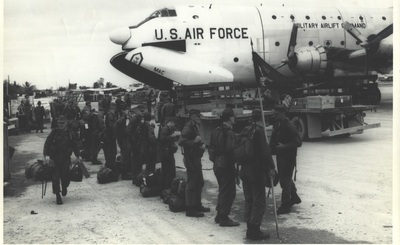 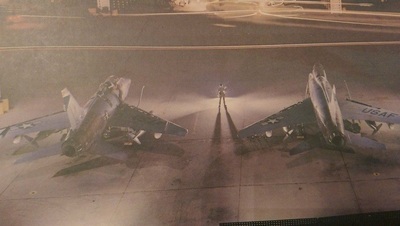 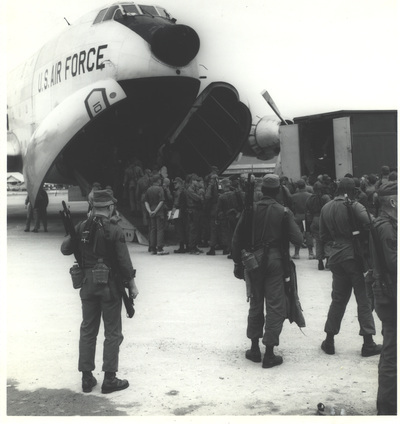 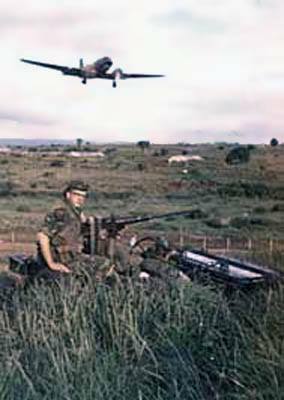 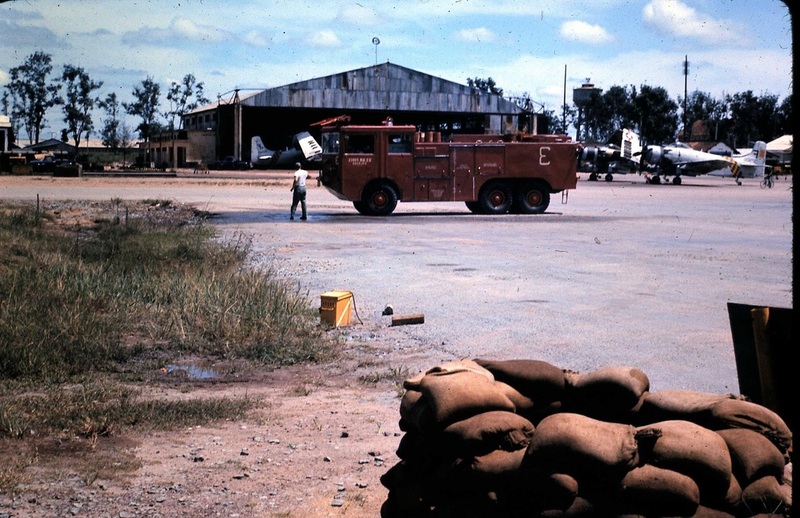 The Vietnam Conflict changed the threat to air bases and identified the need, under insurgent or limited war conditions, for revised doctrine. 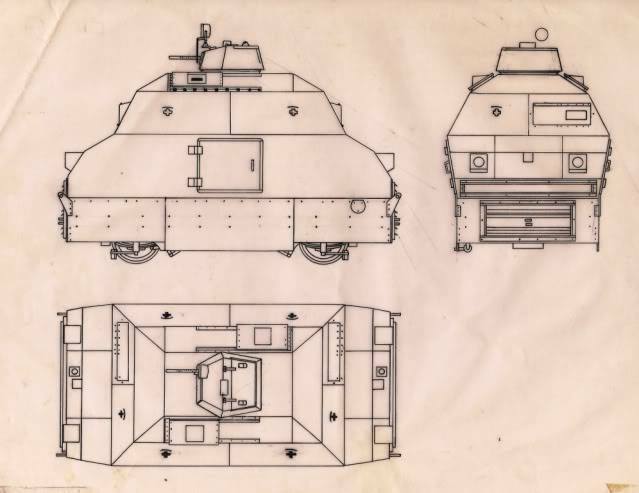 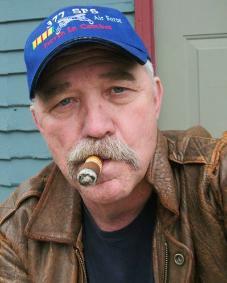 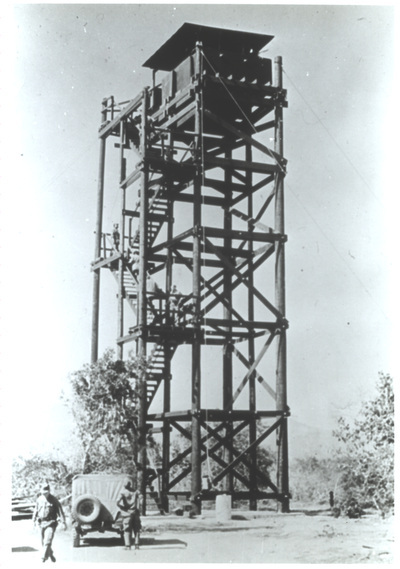 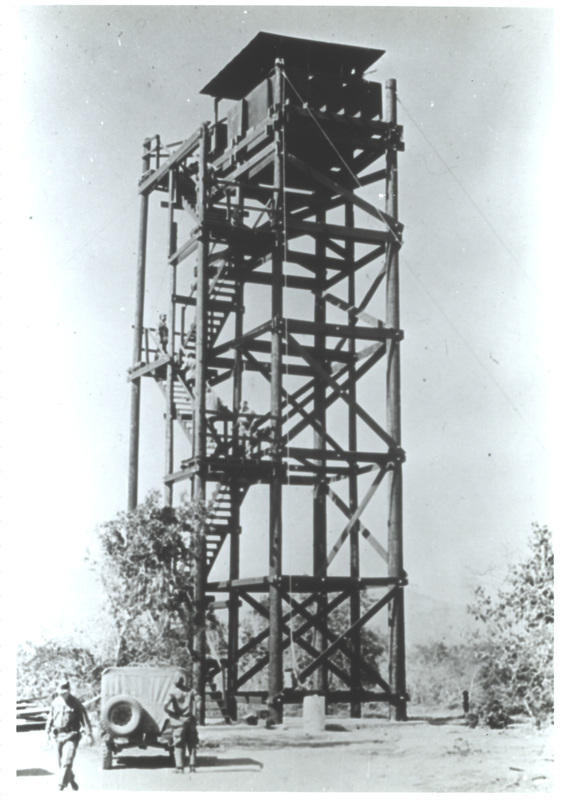 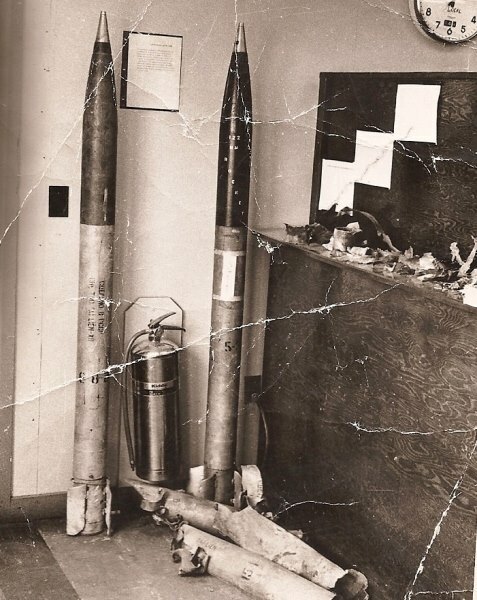 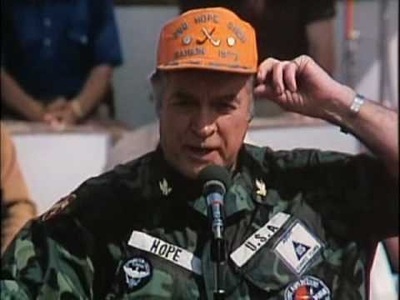 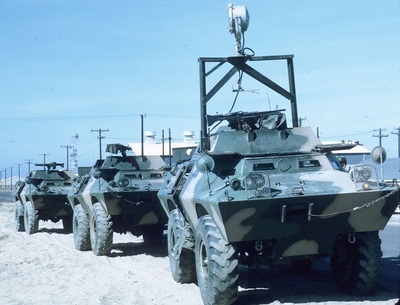 Specifically, a whole base protective system was needed, rather than one centered solely on weapons systems. 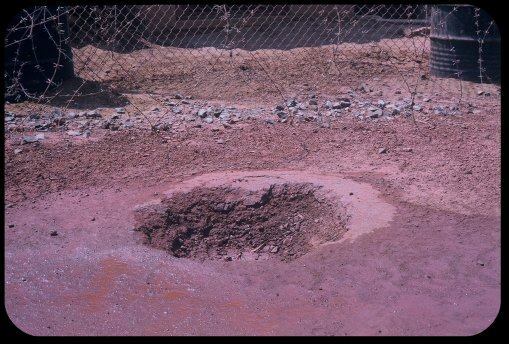 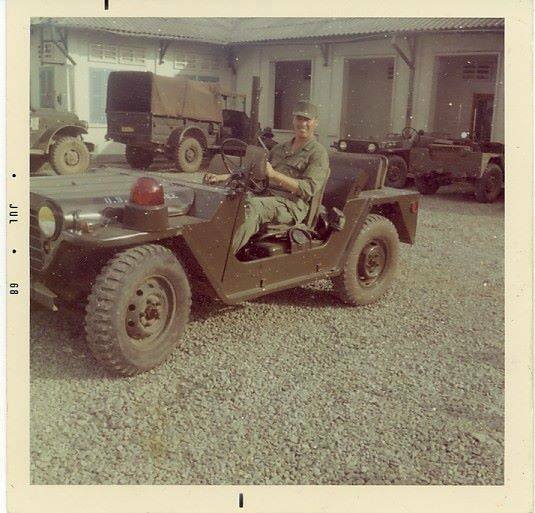 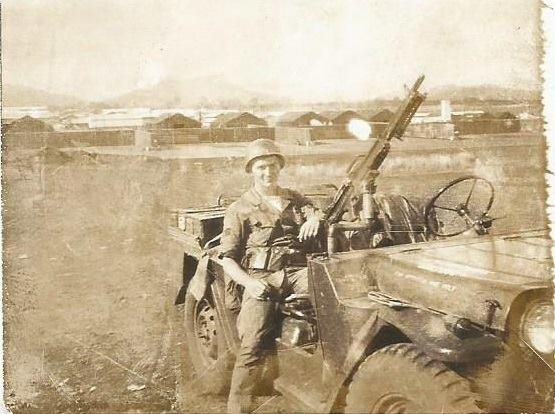 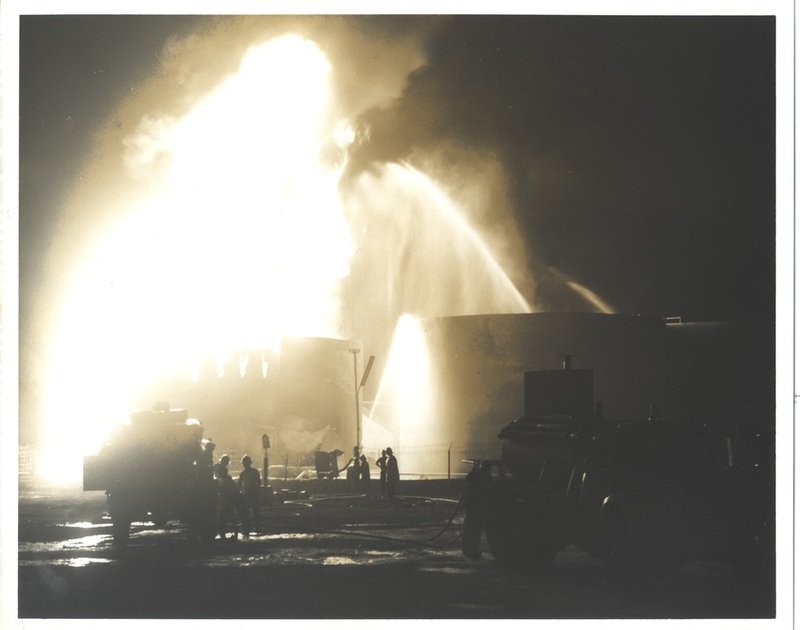 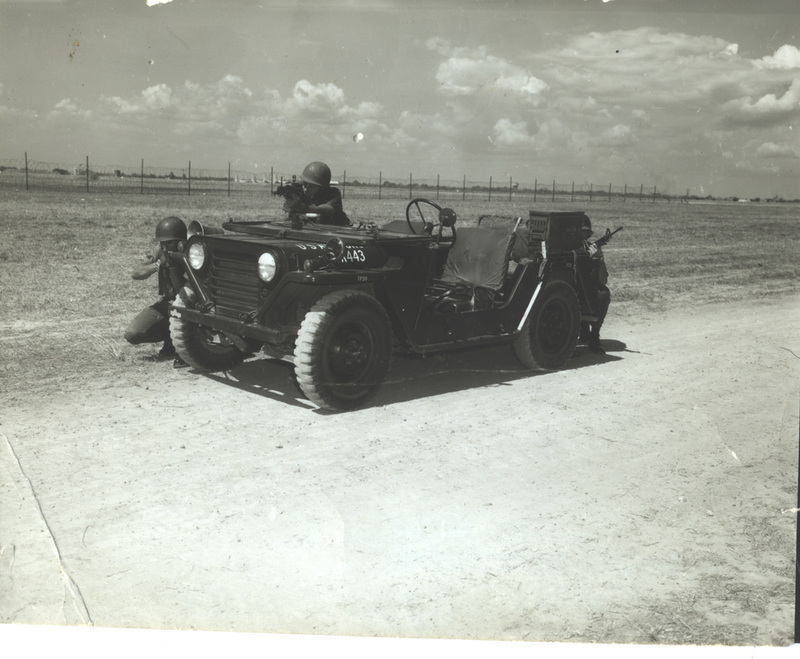 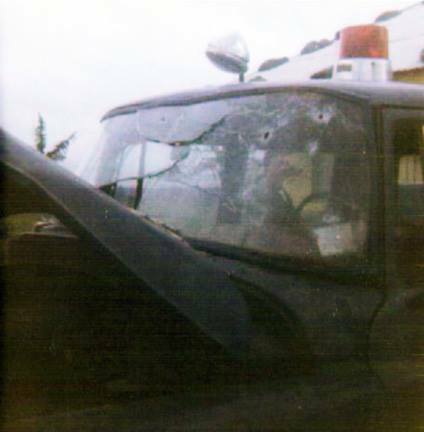 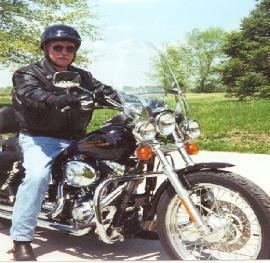 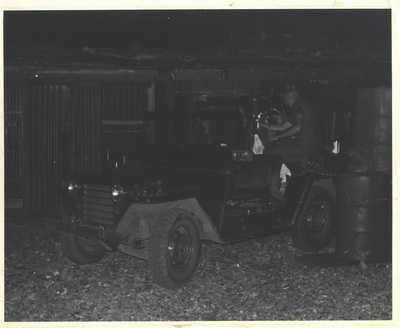 There were no front lines, no clearly defined battle zones, and no safe rear areas. 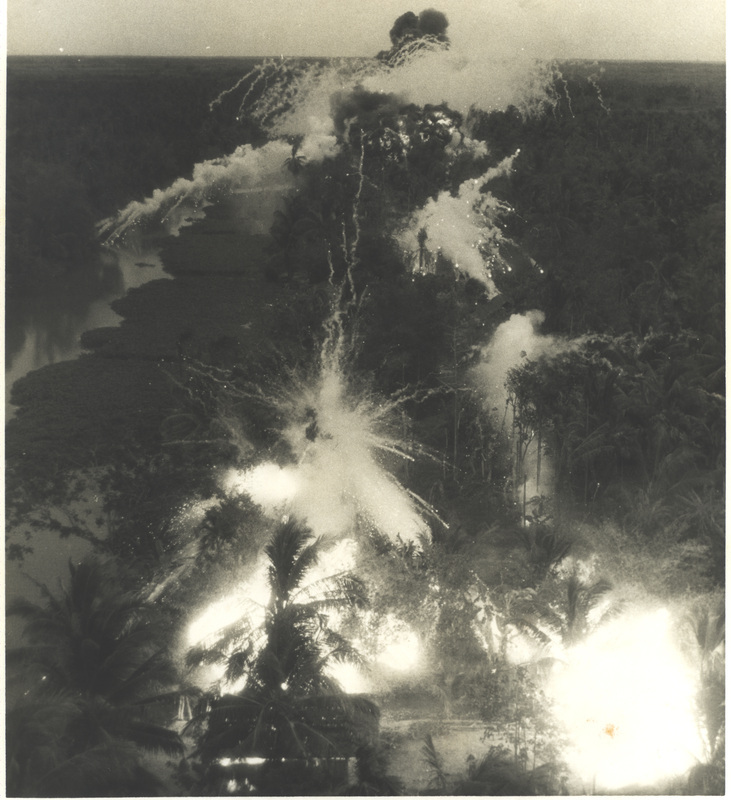 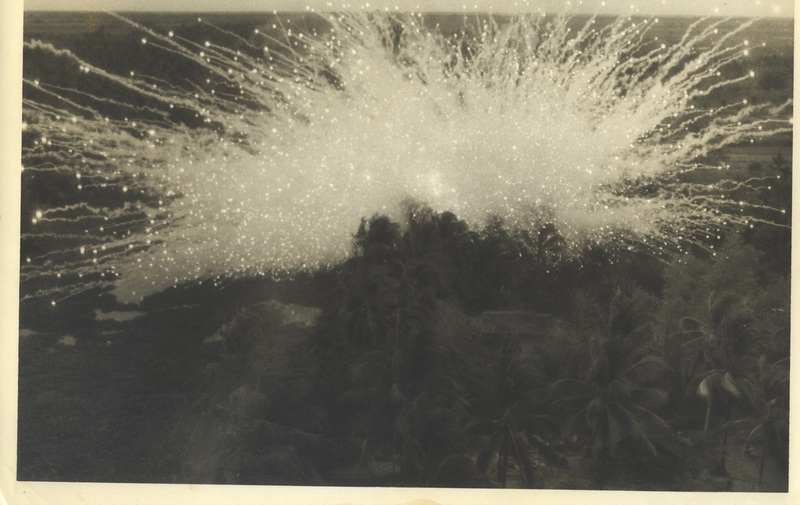 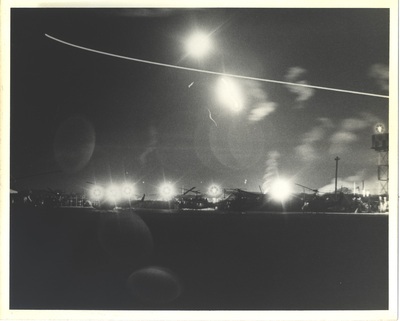 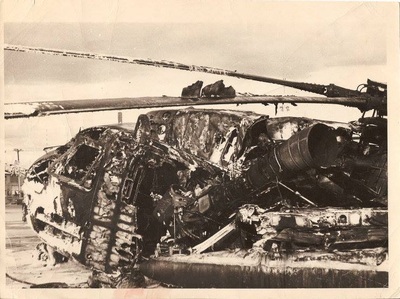 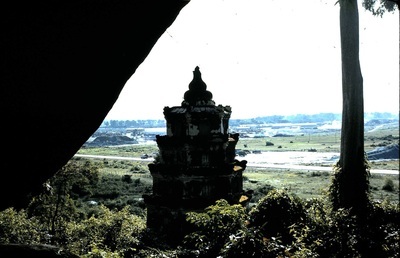 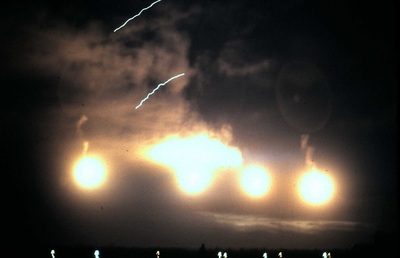 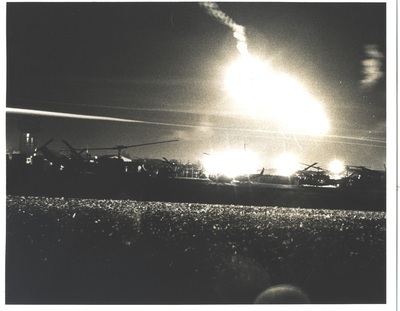 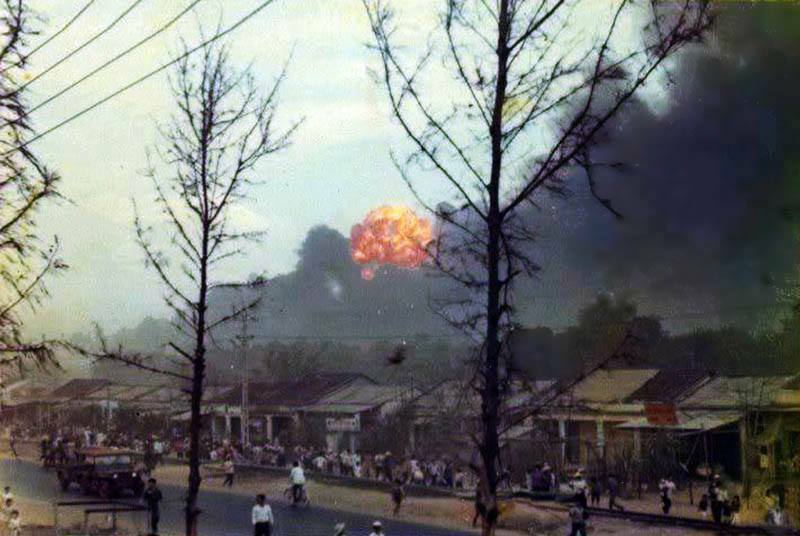 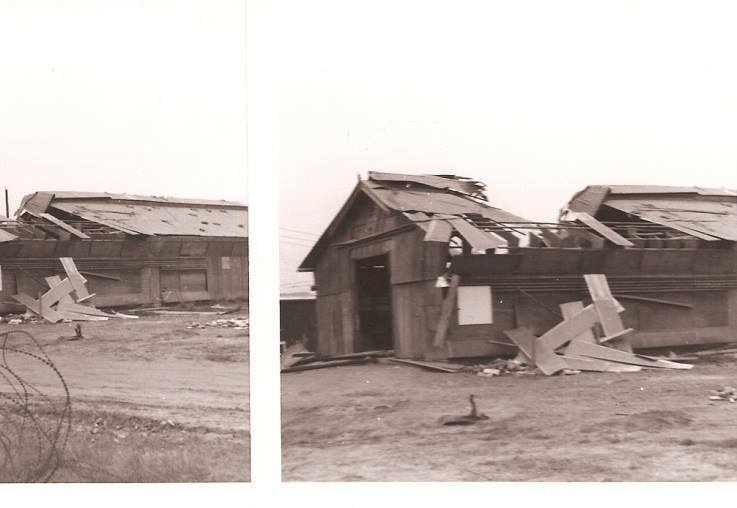 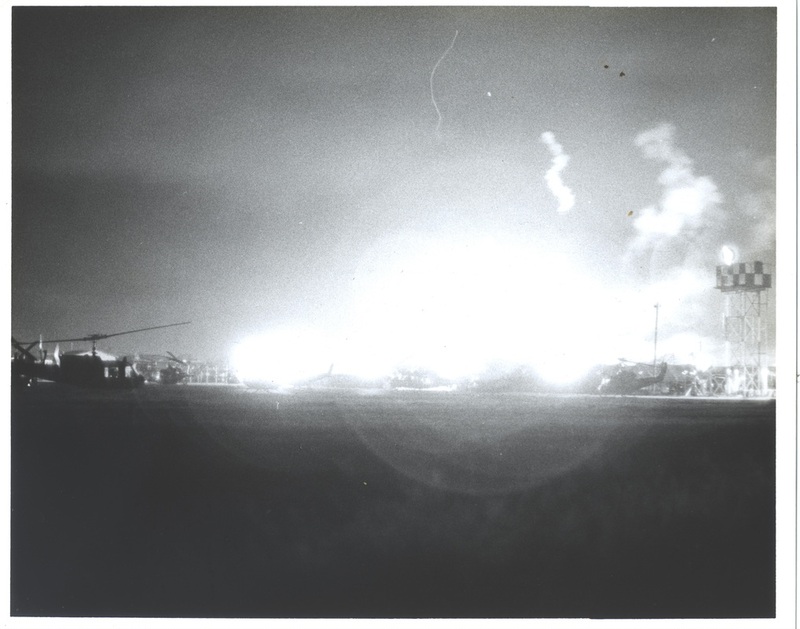 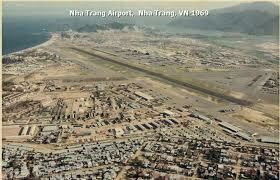 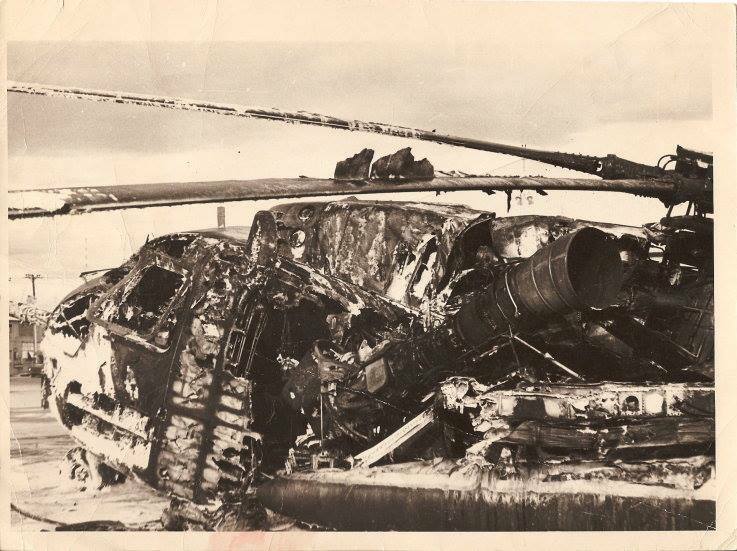 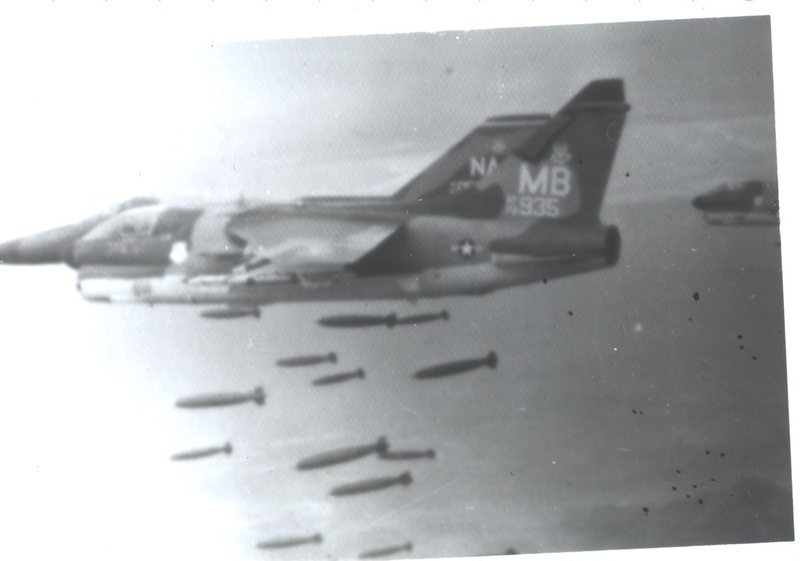 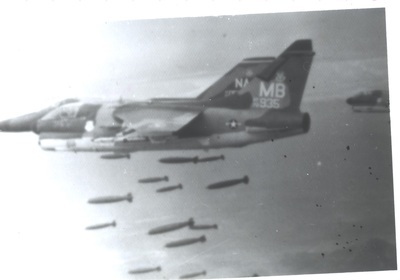 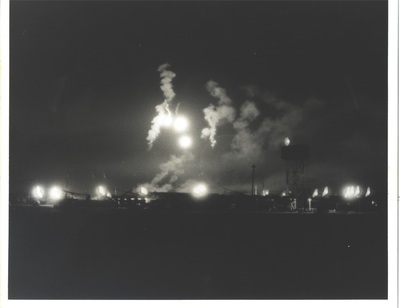 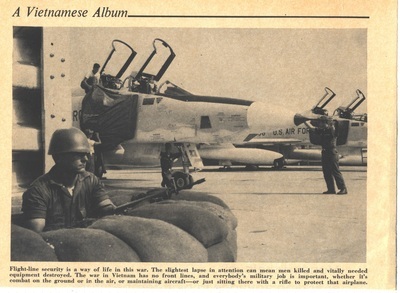 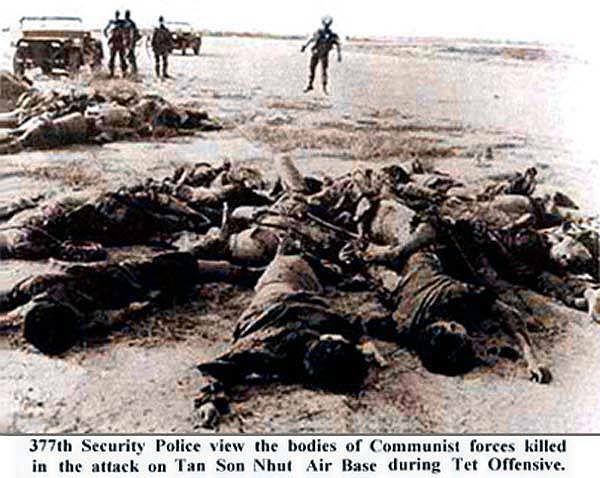 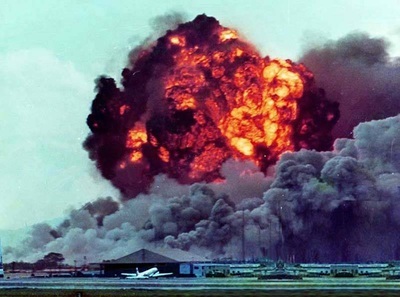 The North Vietnamese targeted air bases on a regular basis and destroyed a large number of aircraft. 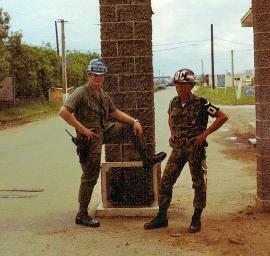 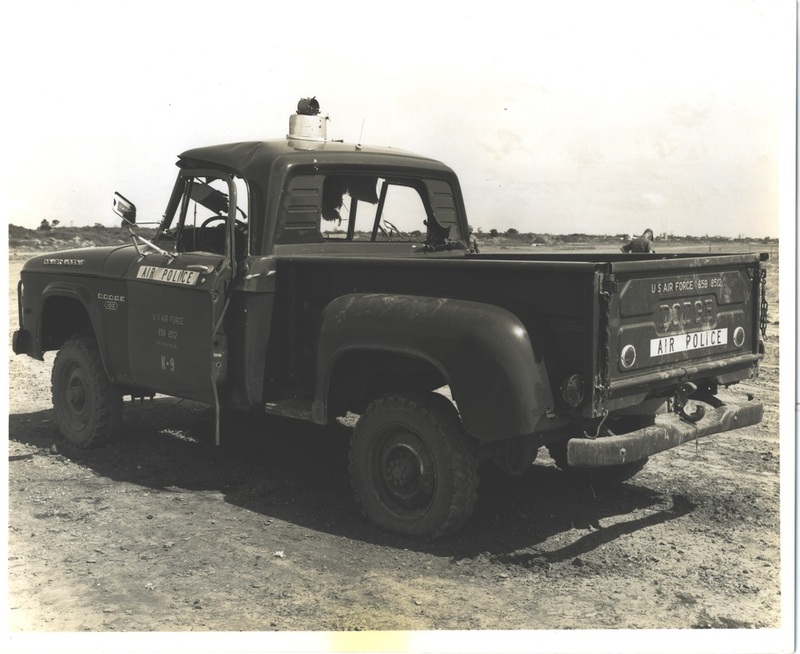 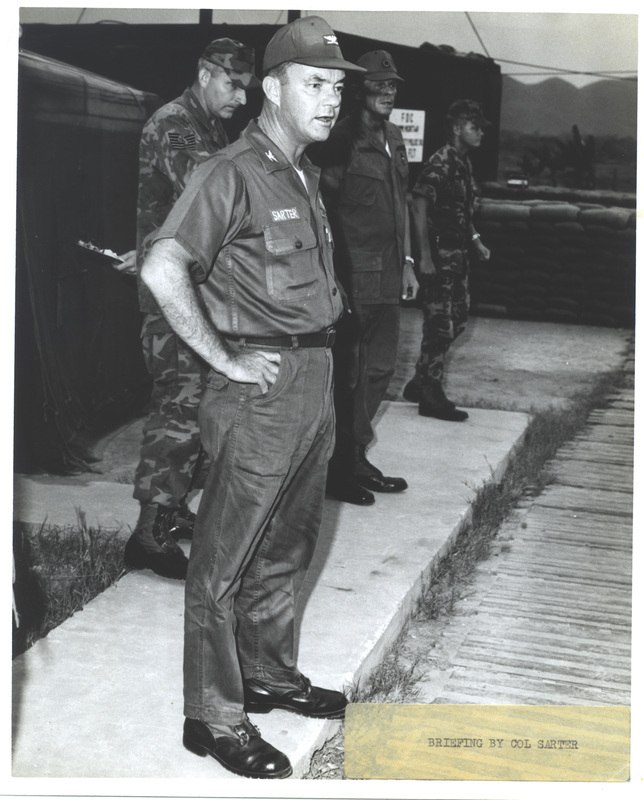 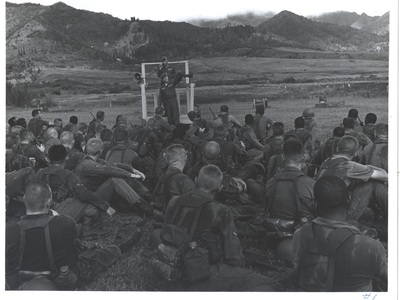 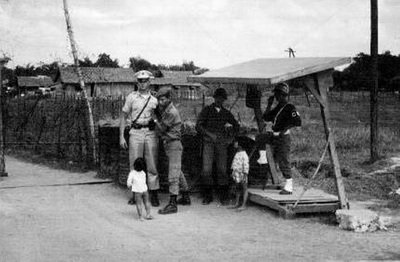 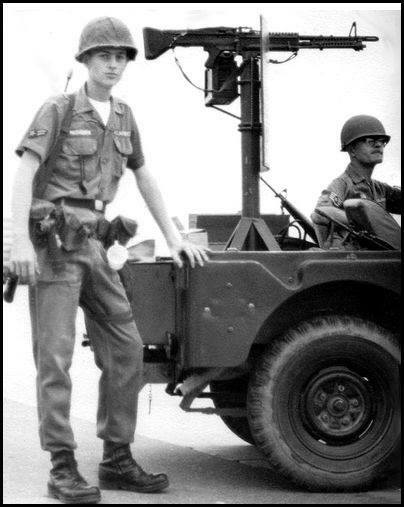 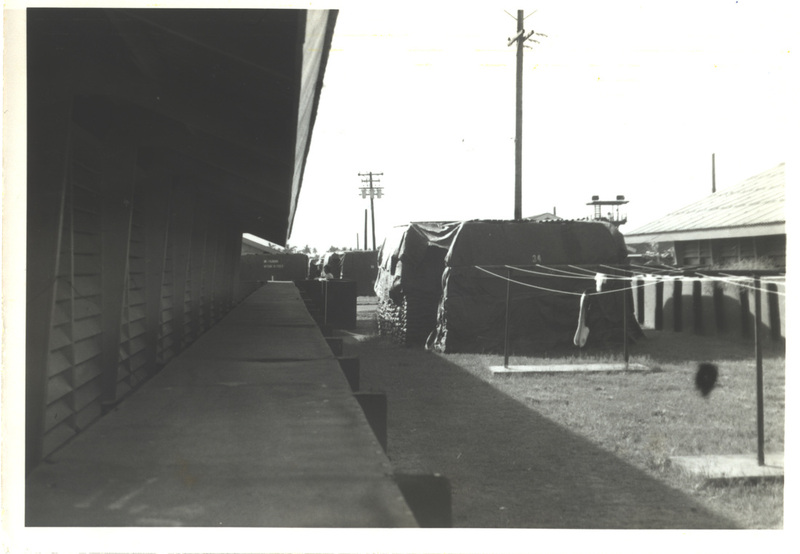 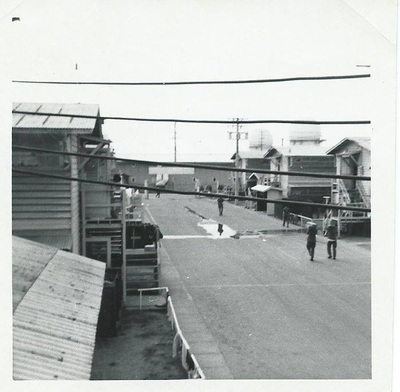 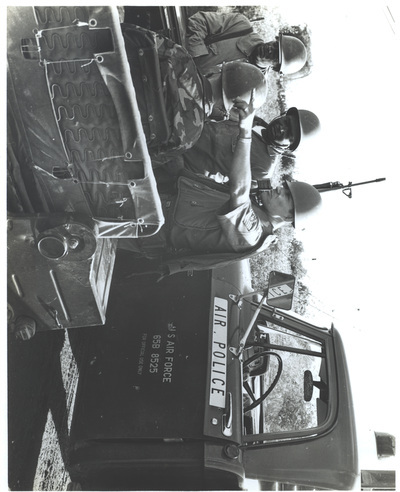 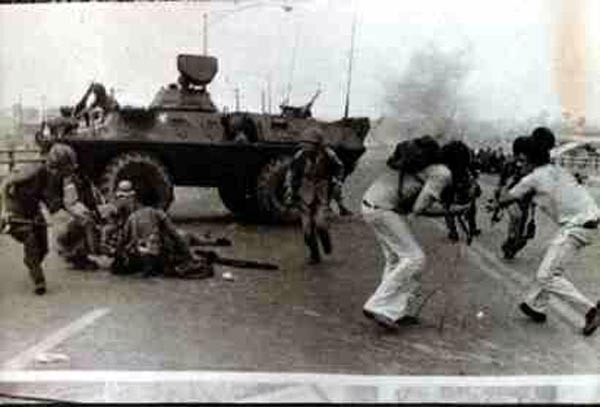 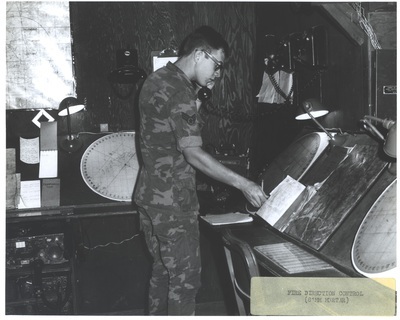 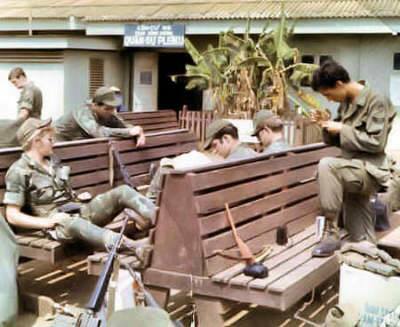 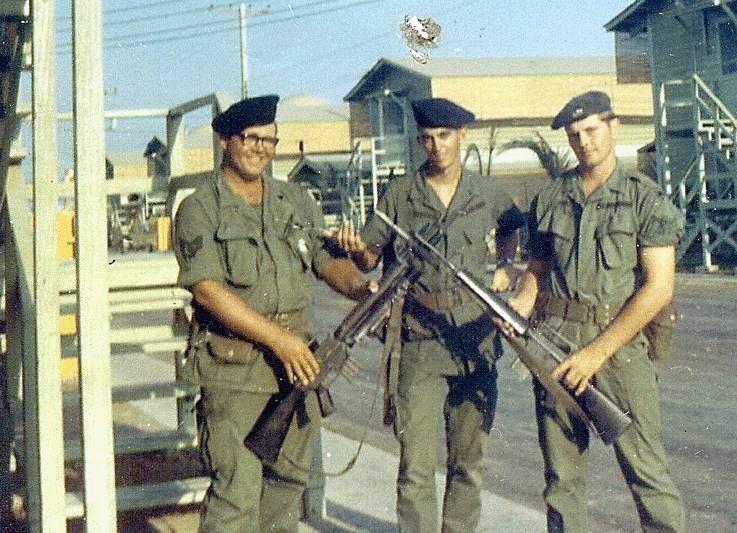 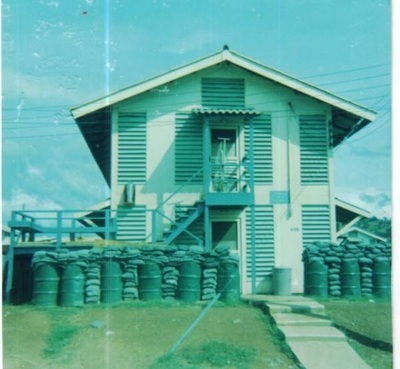 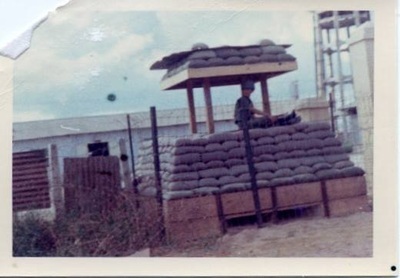 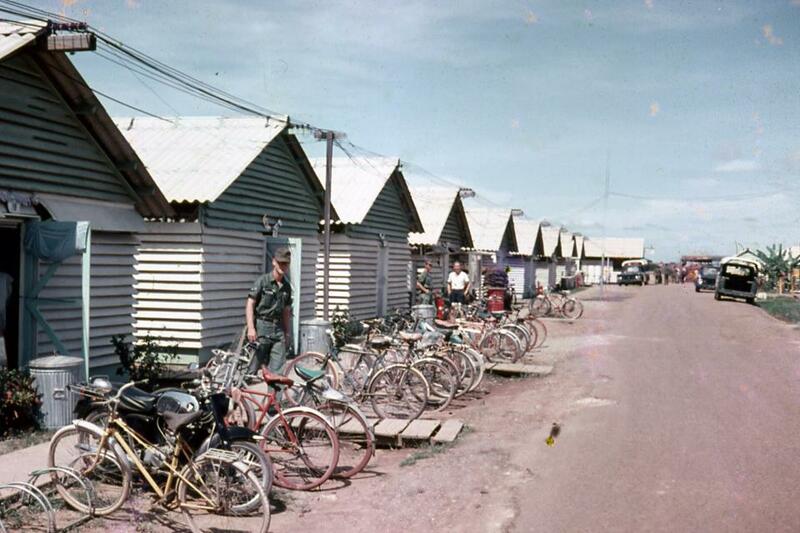 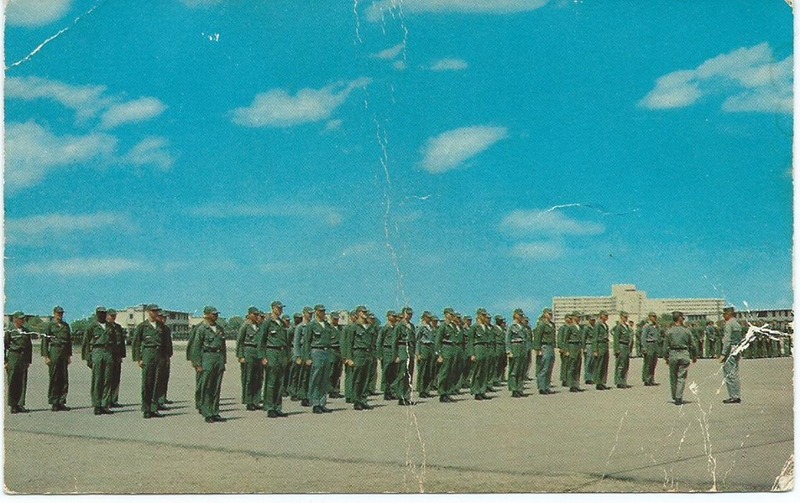 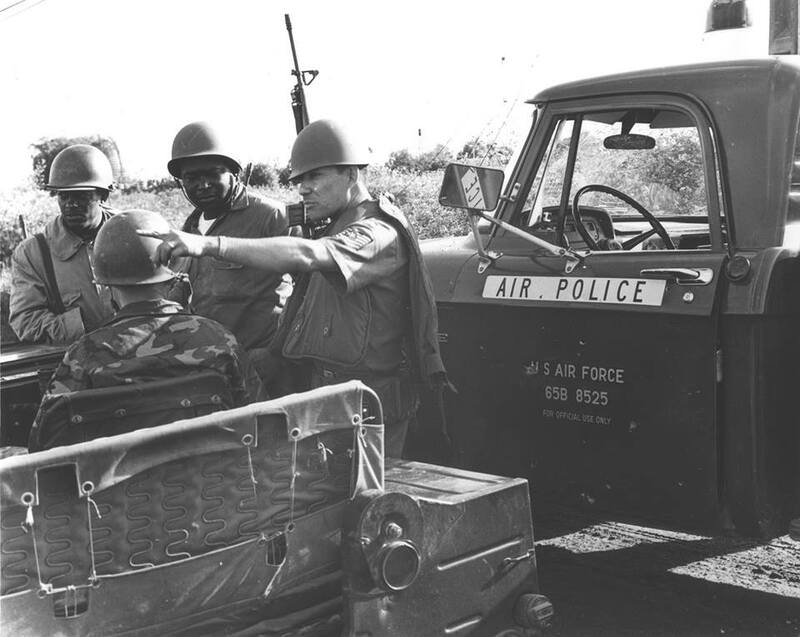 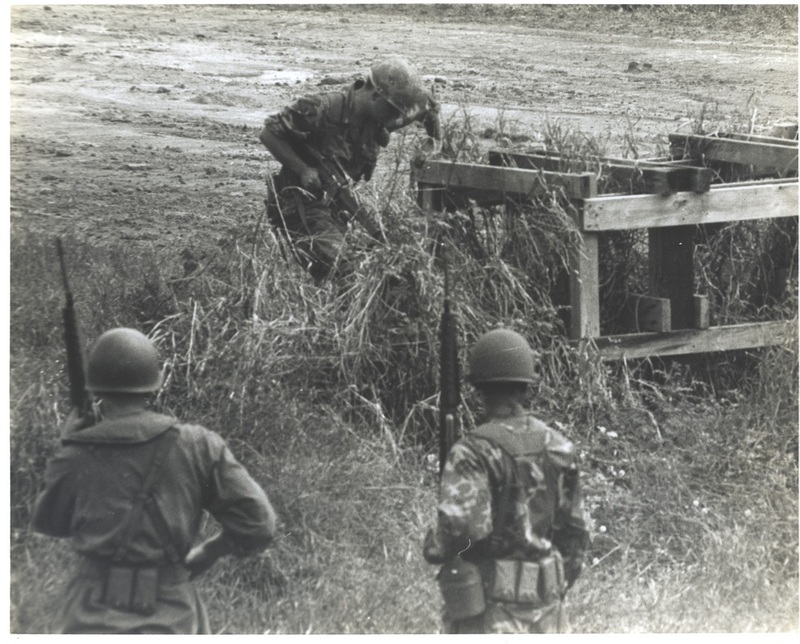 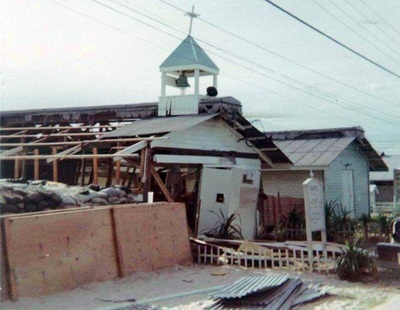 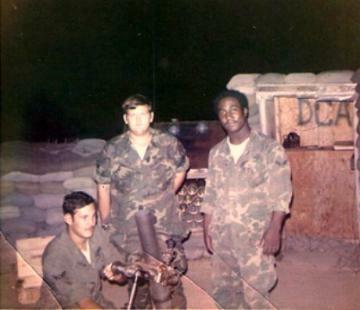 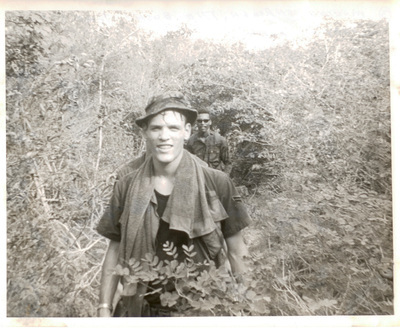 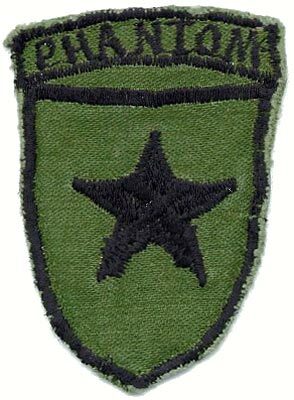 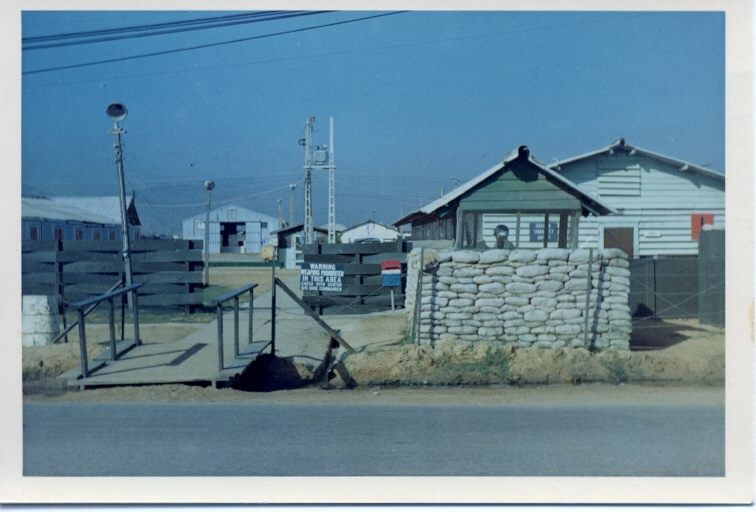 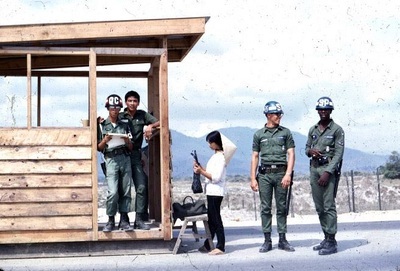 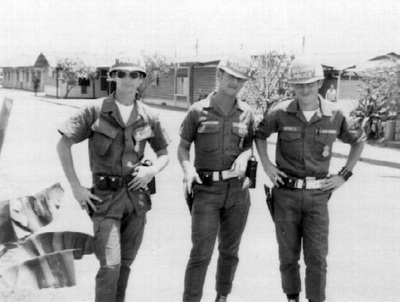 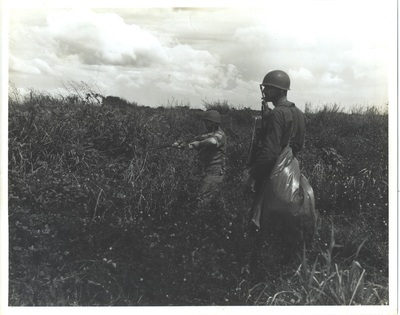 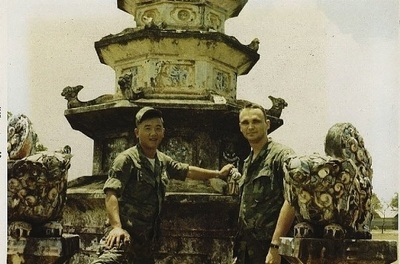 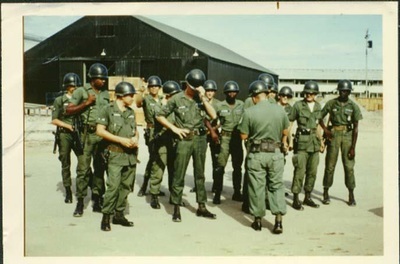 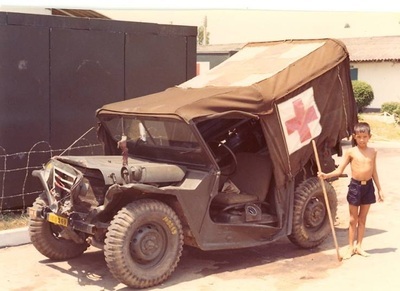 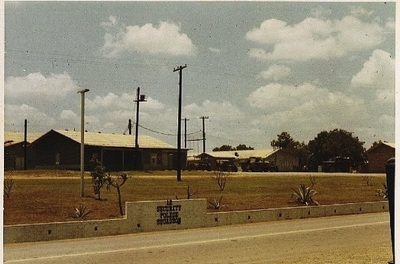 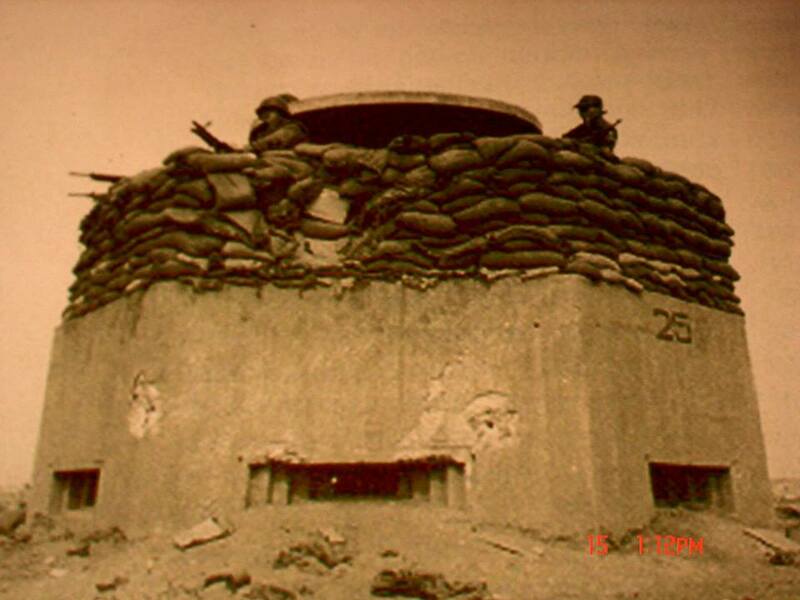 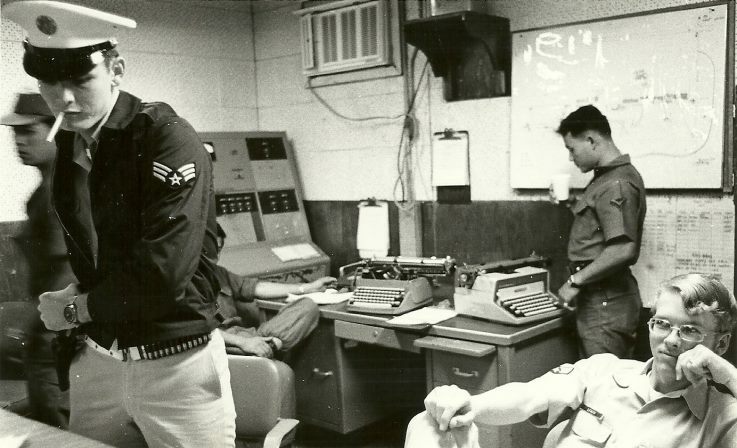 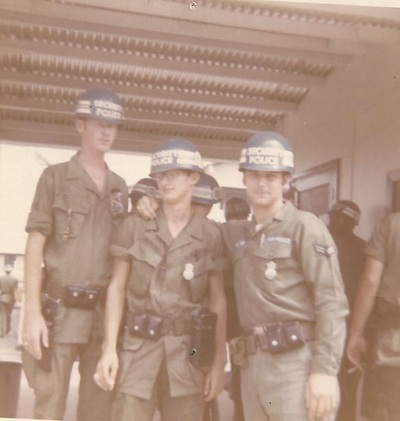 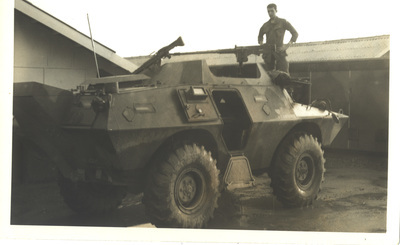 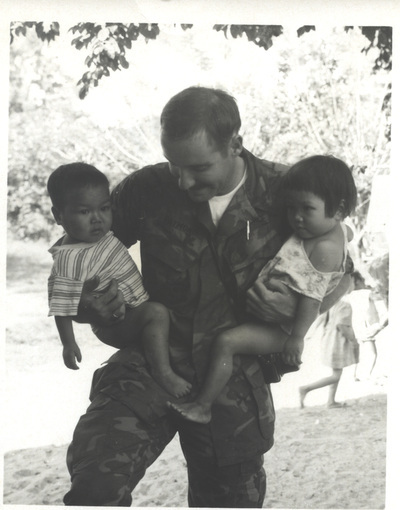 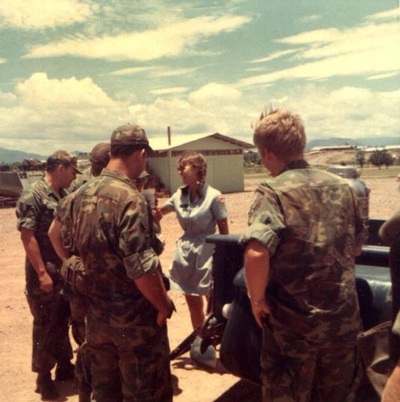 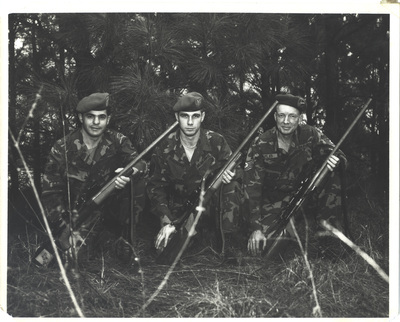 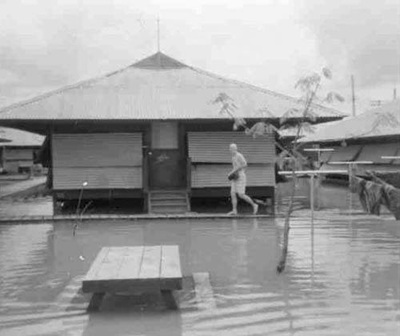 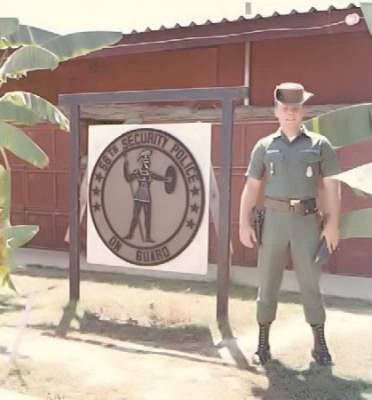 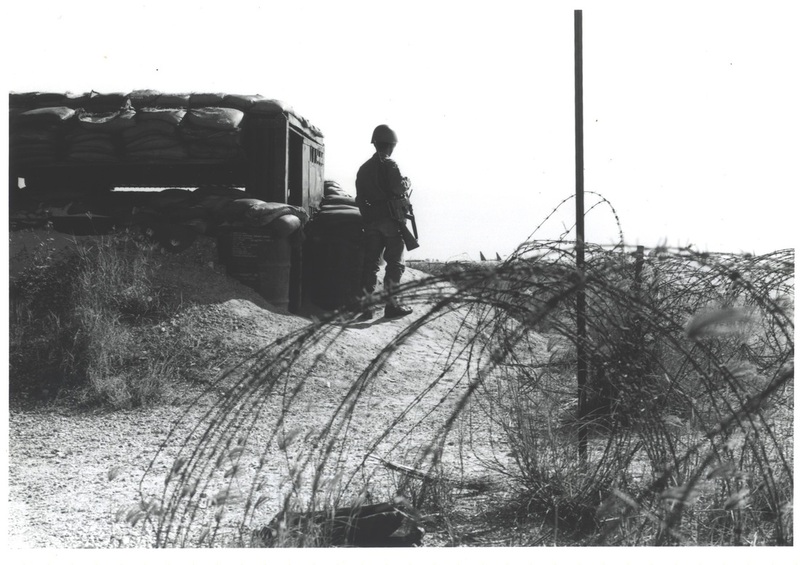 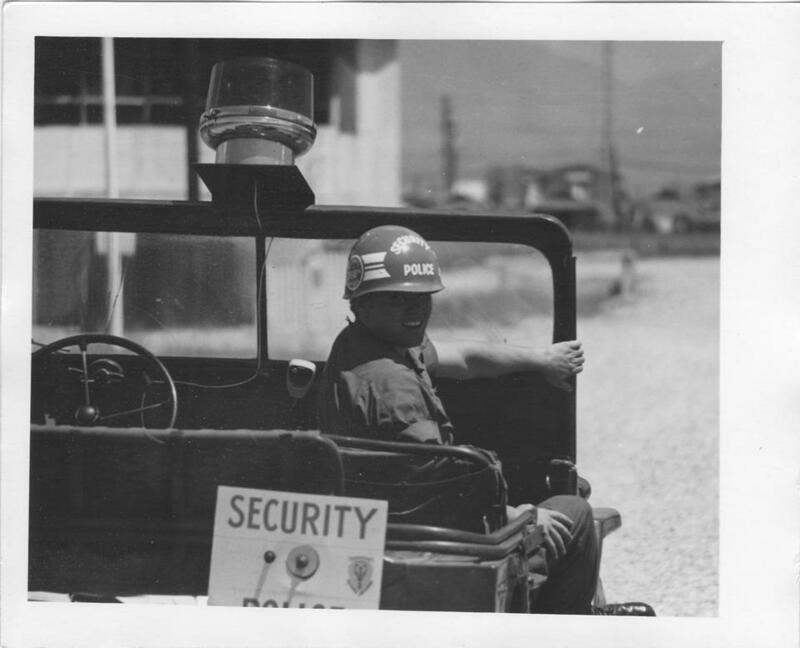 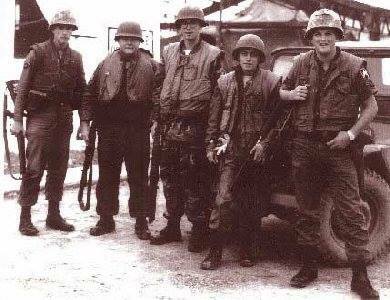 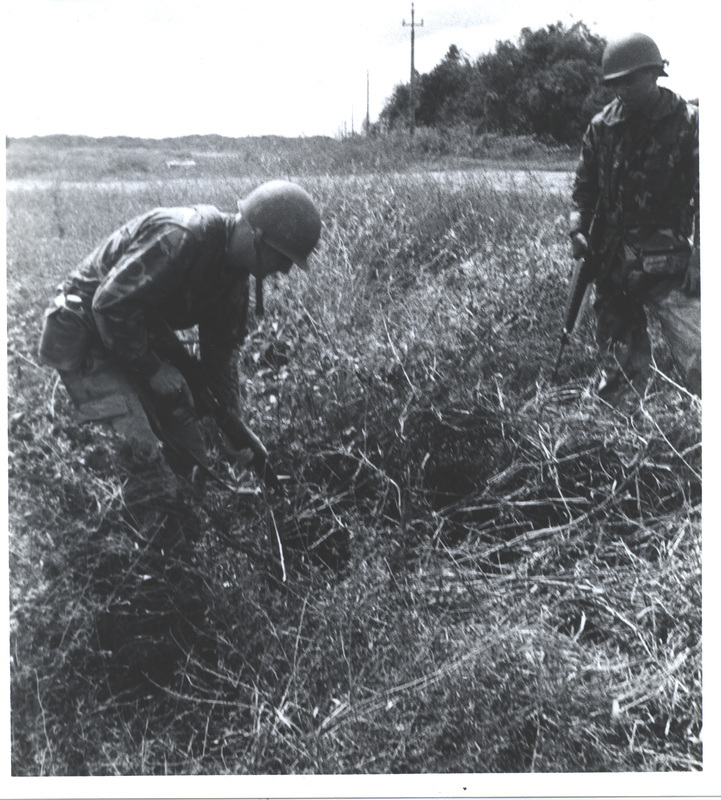 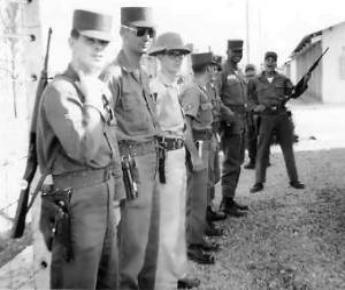 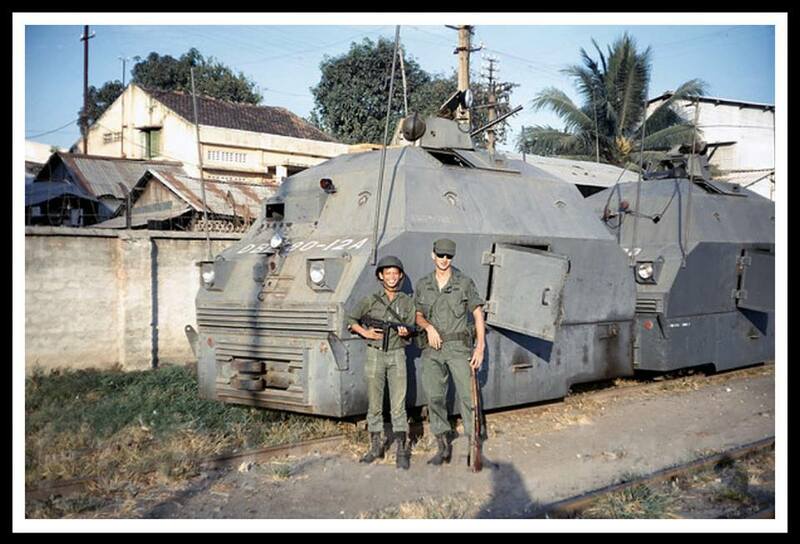 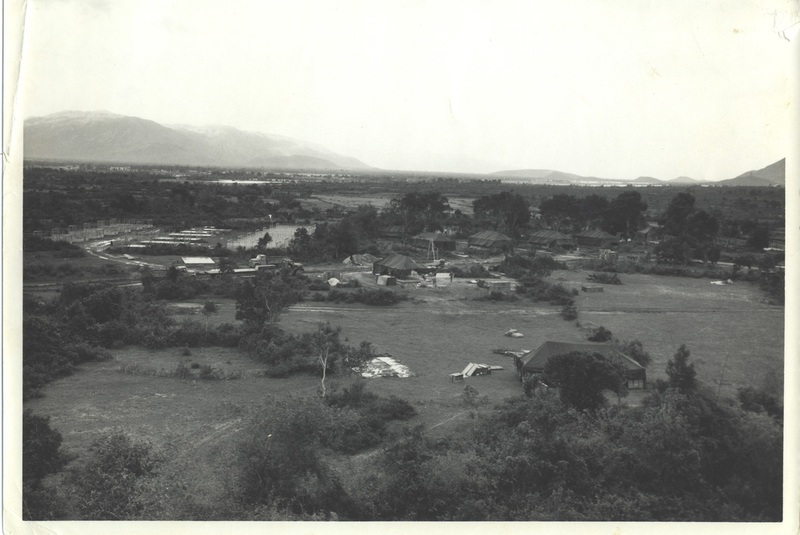 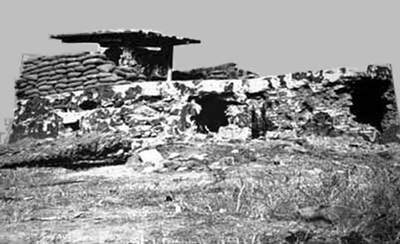 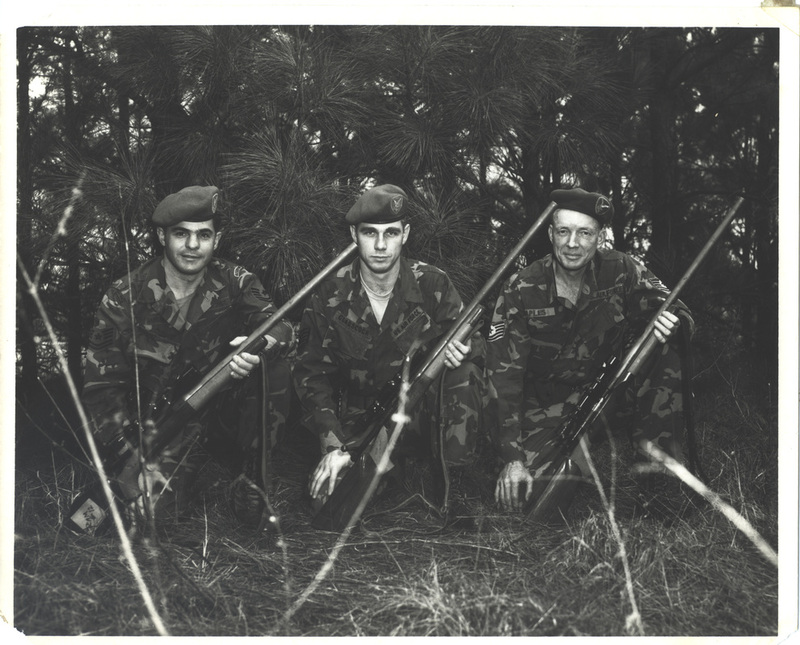 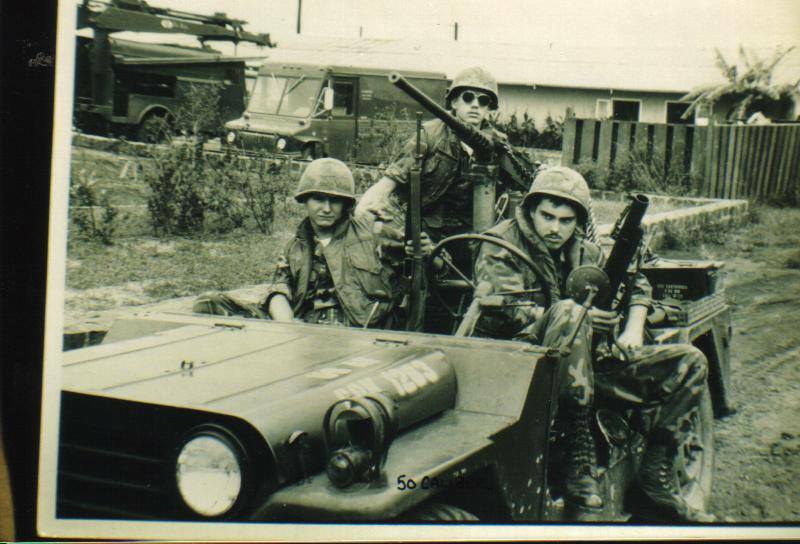 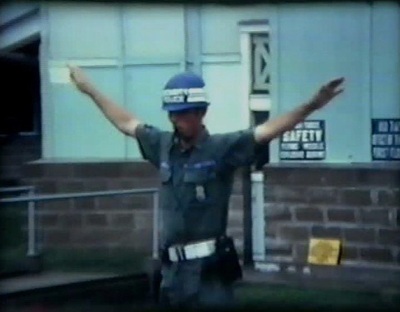 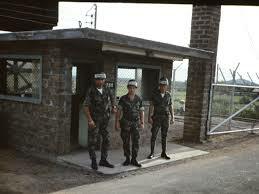 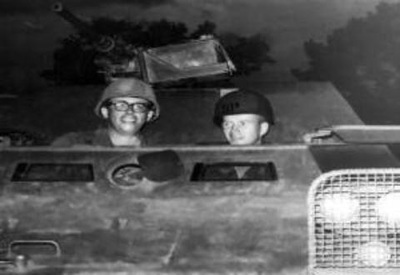 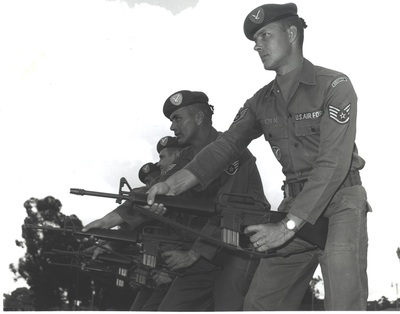 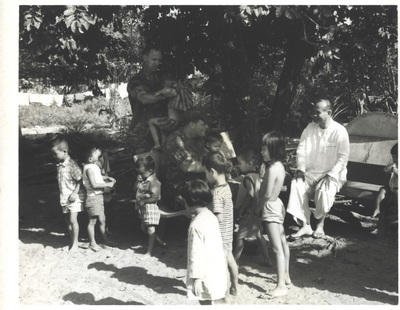 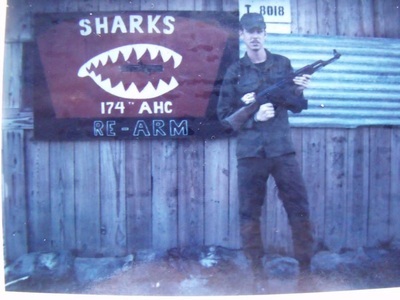 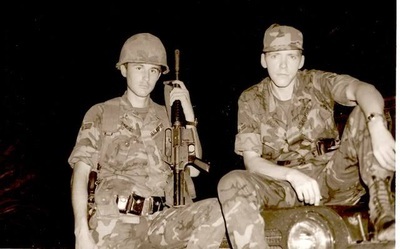 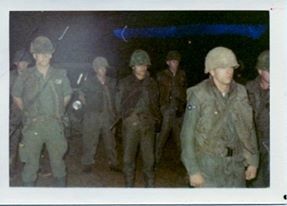 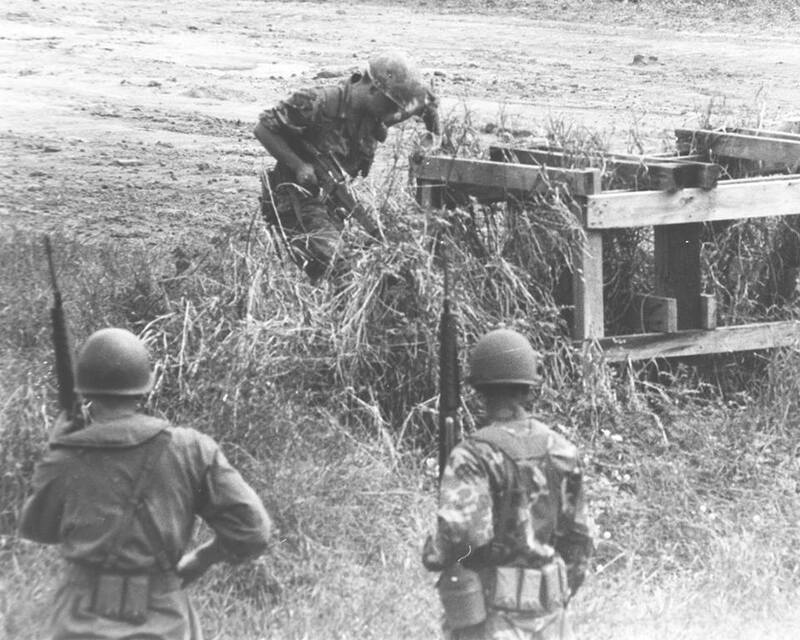 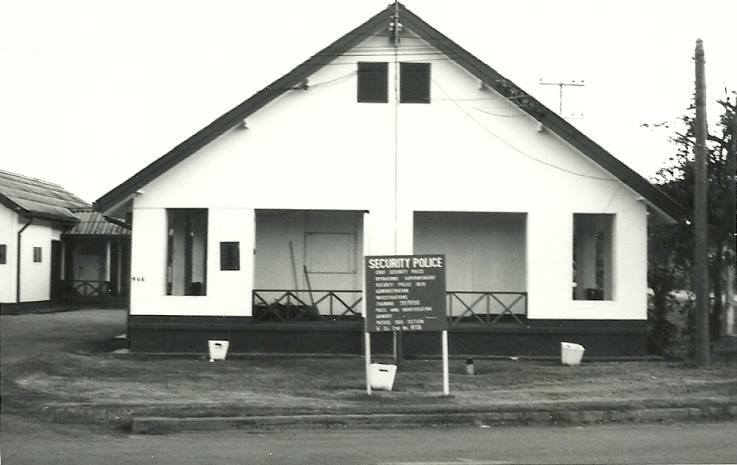 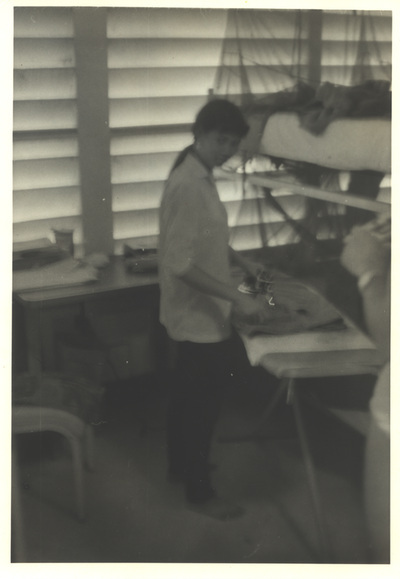 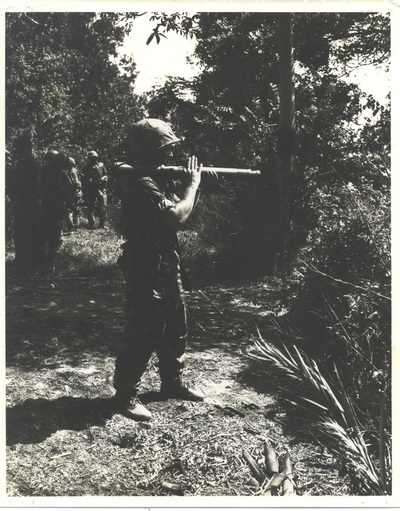 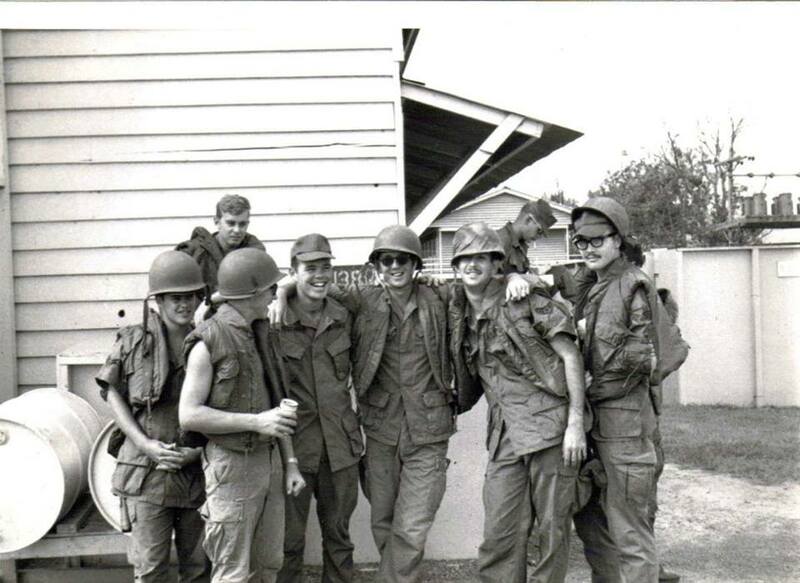 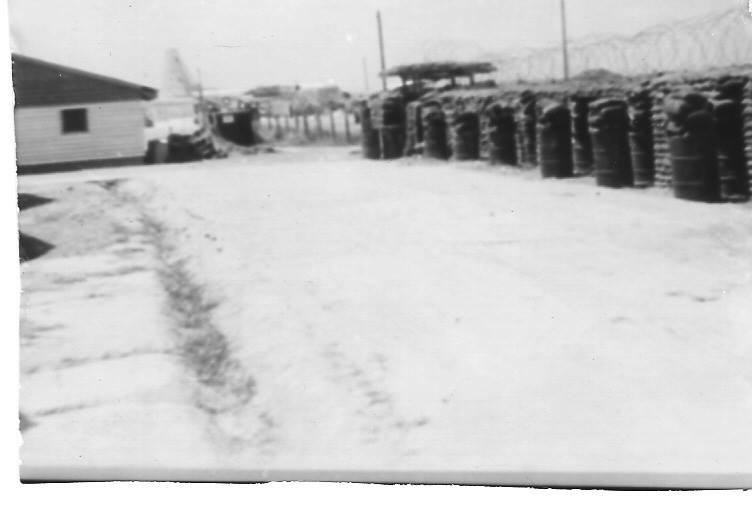 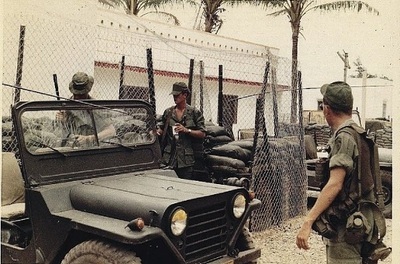 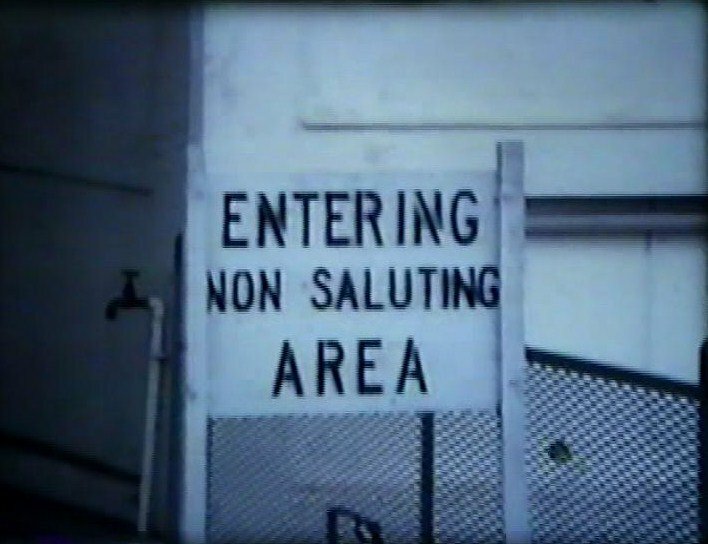 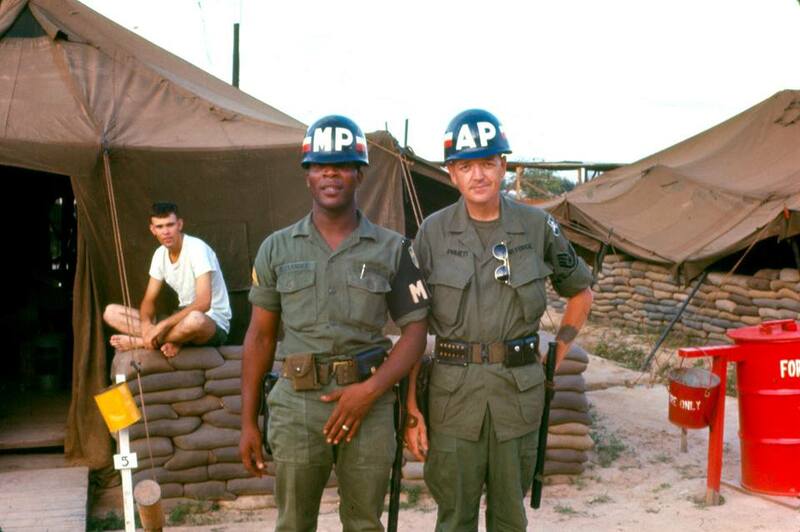 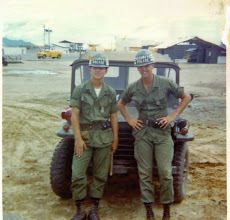 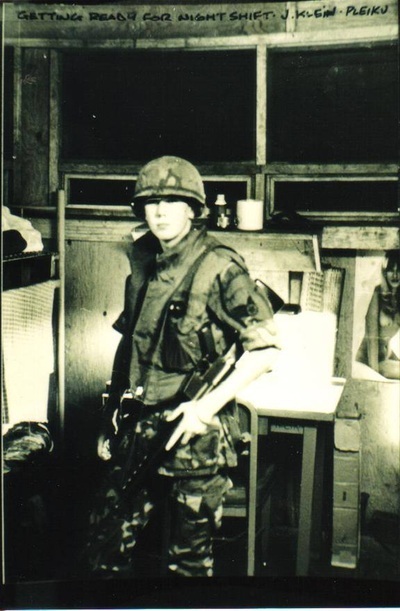 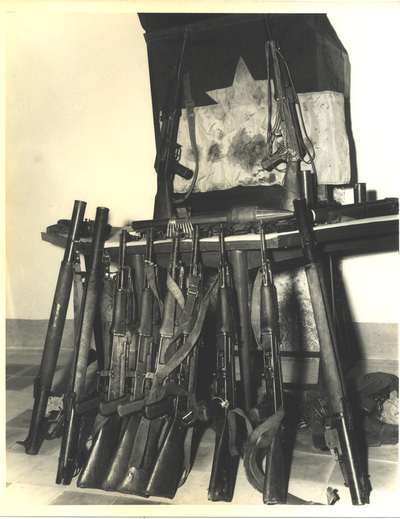 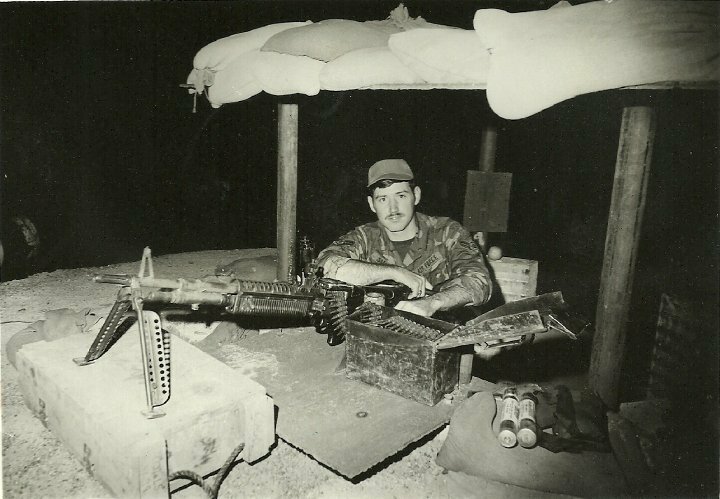 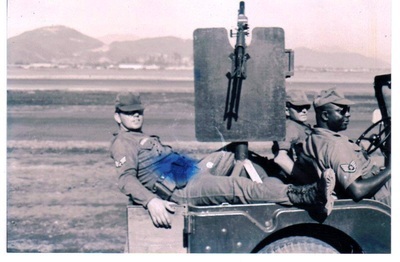 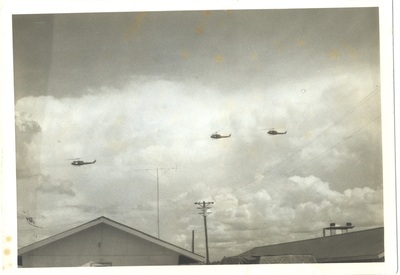 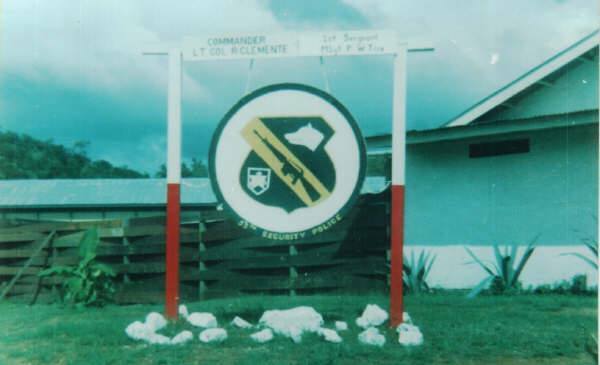 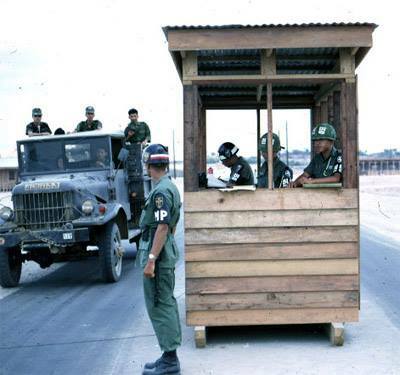 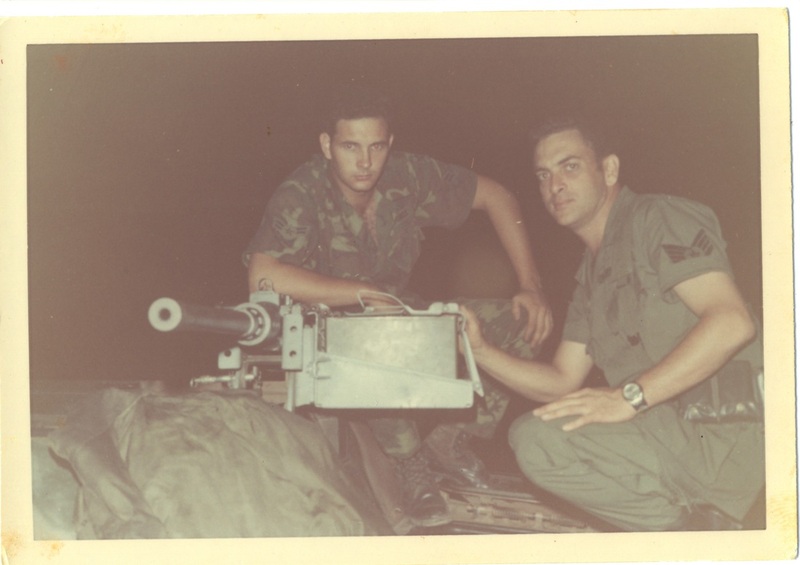 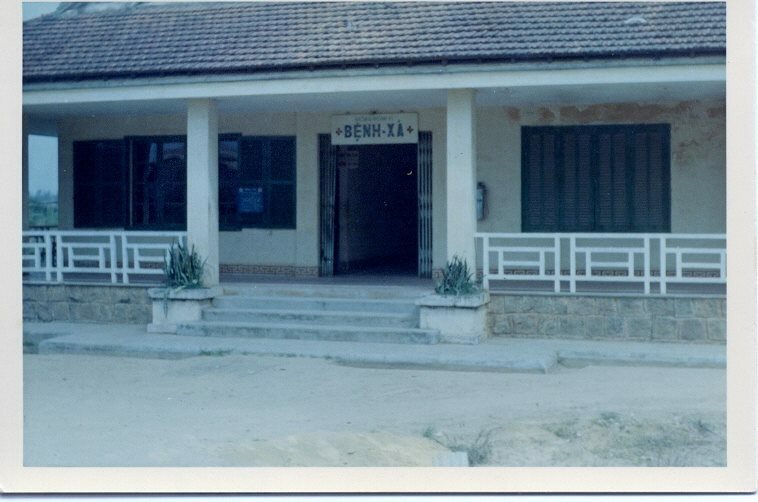 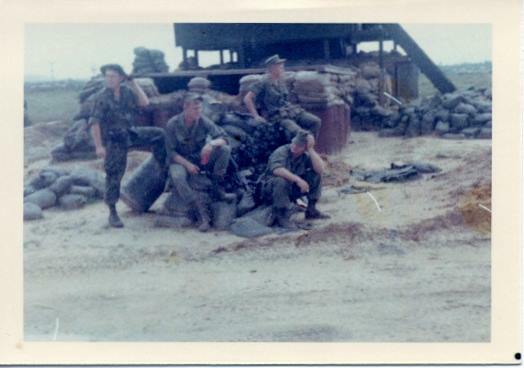 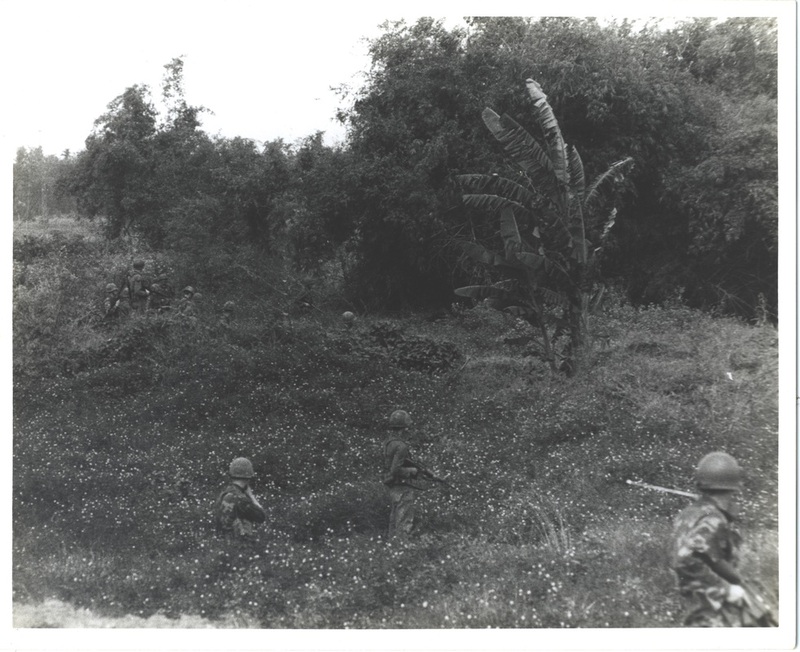 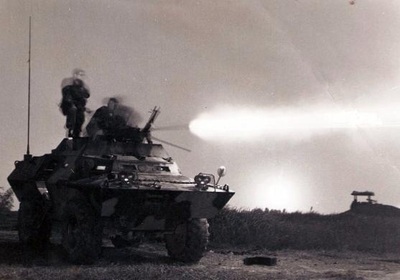 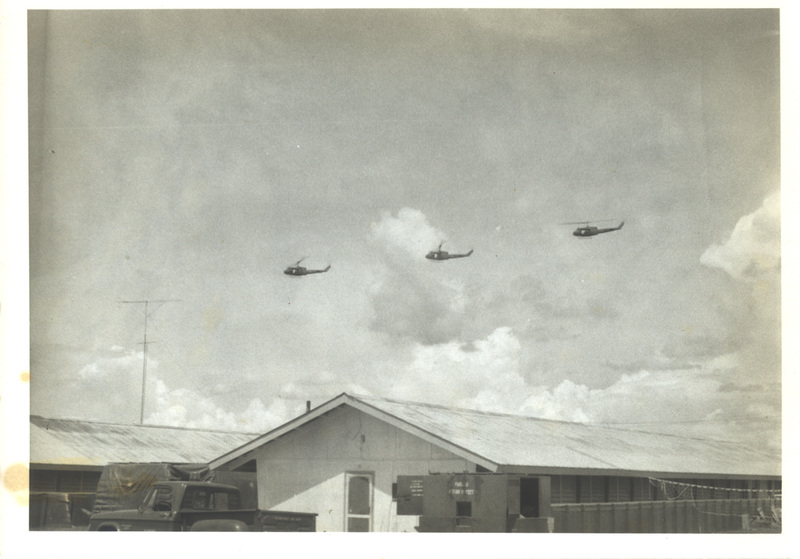 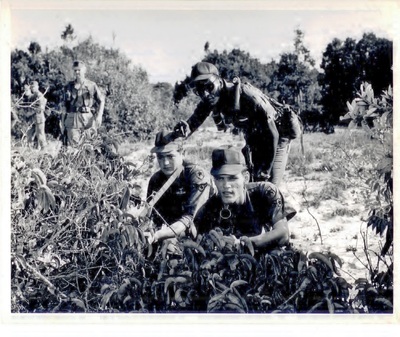 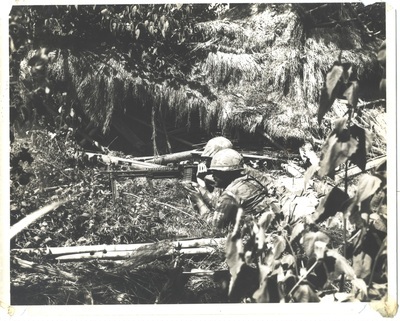 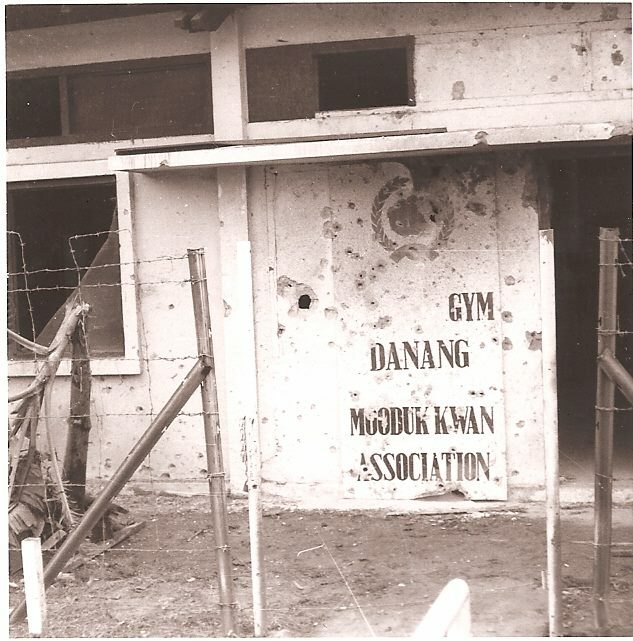 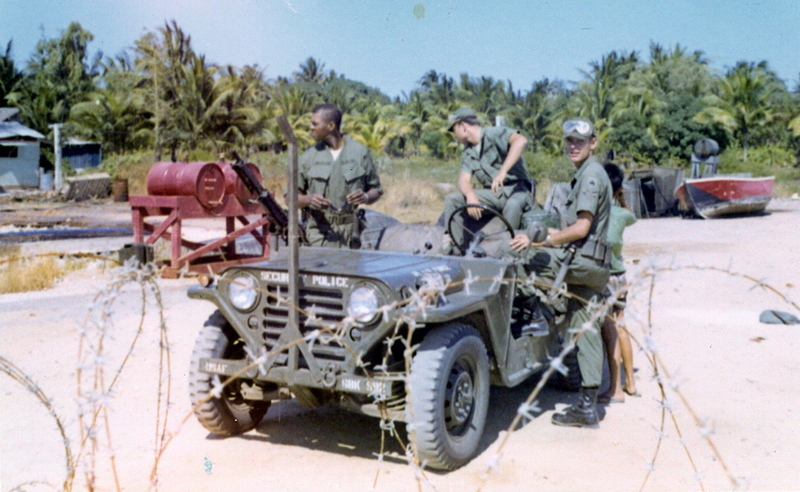 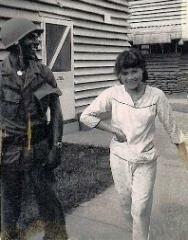 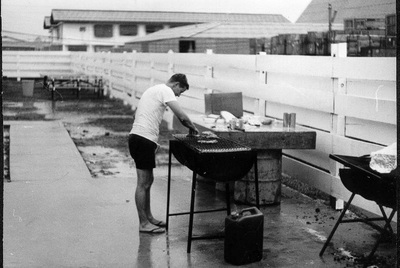 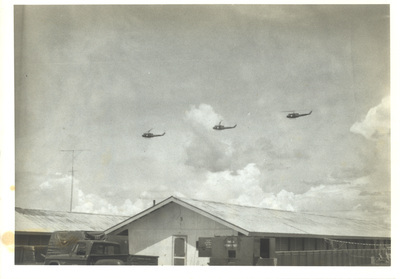 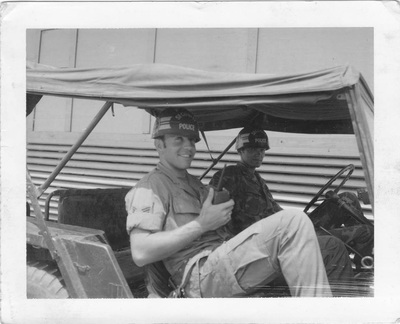 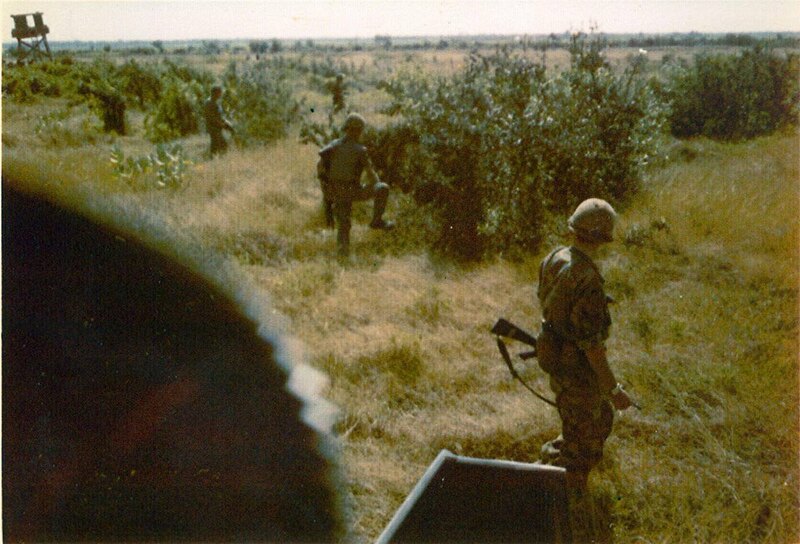 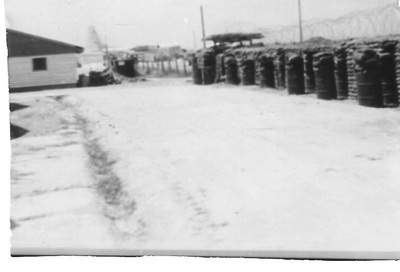 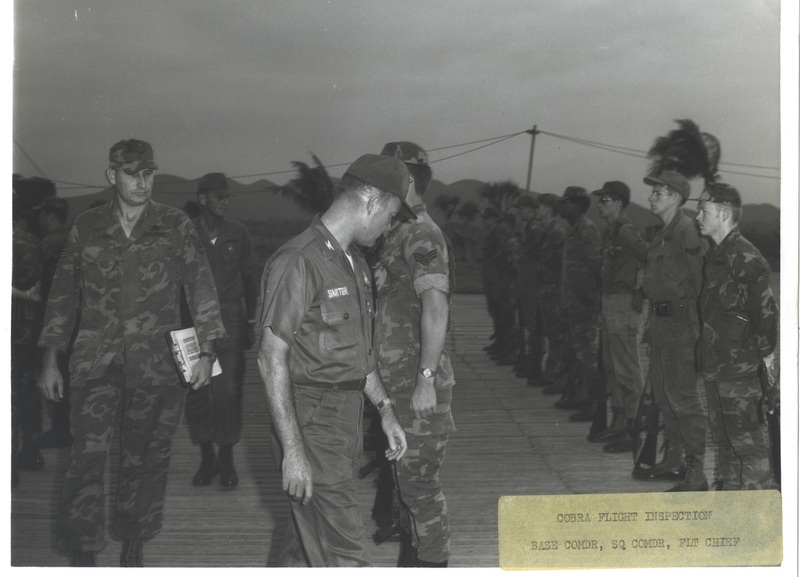 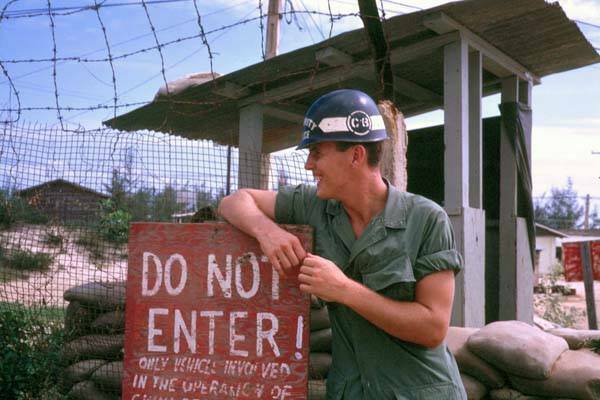 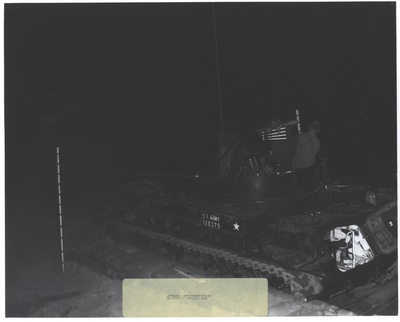 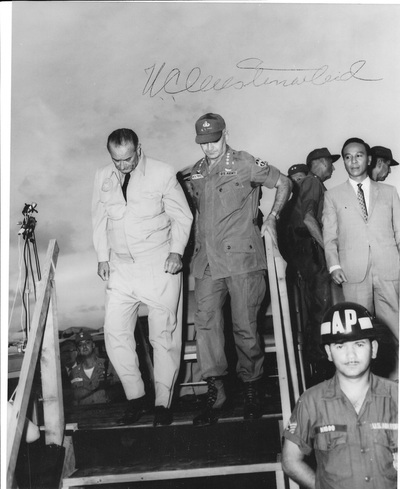 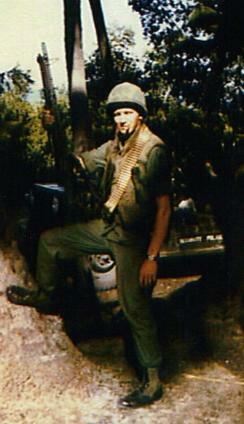 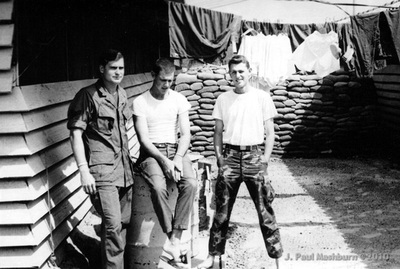 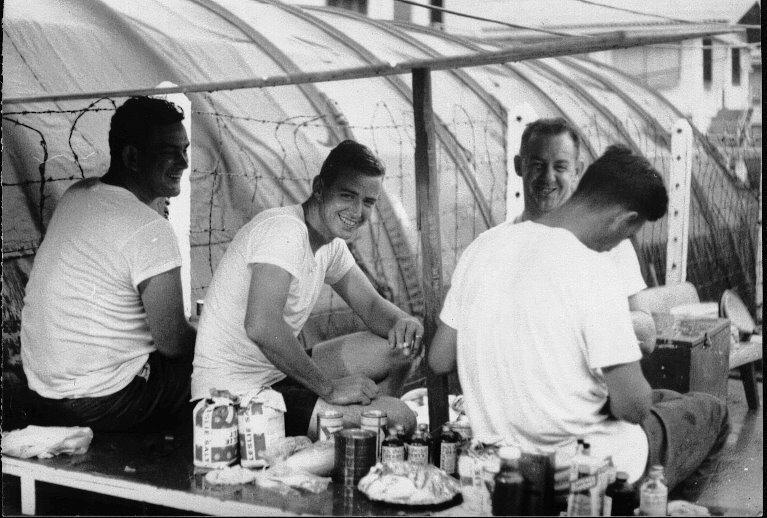 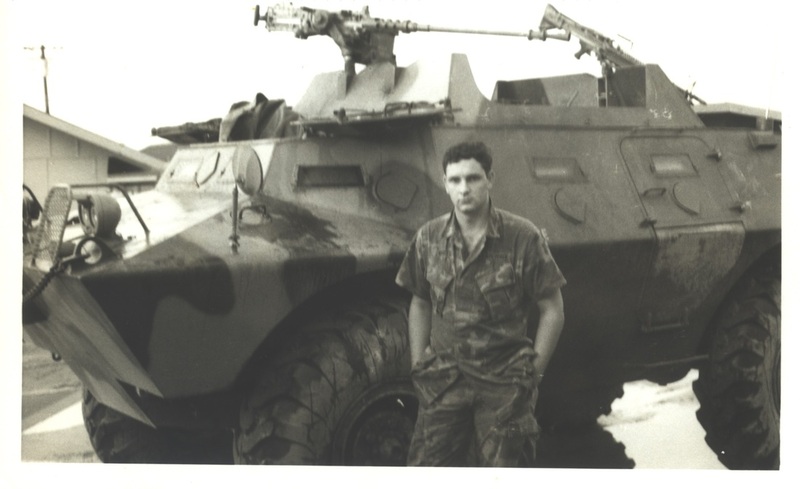 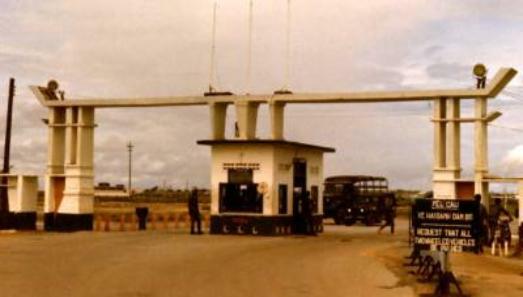 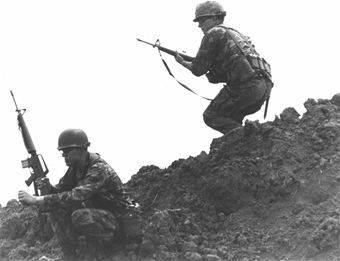 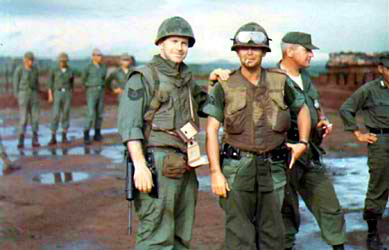 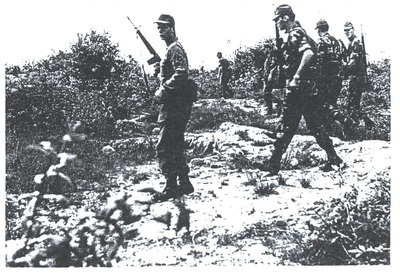 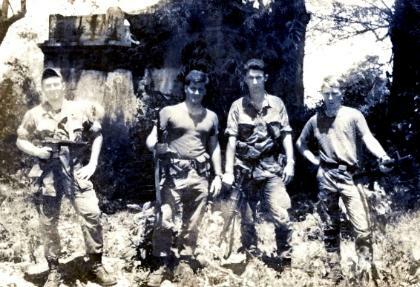 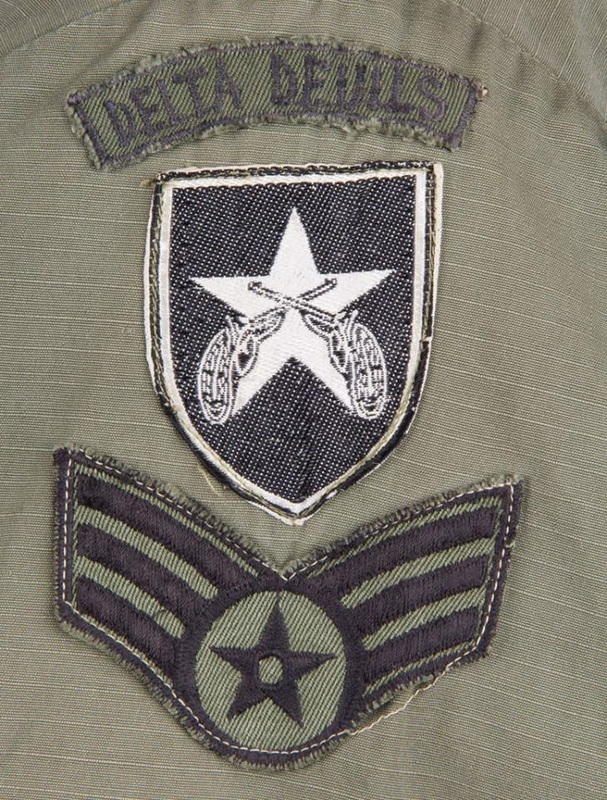 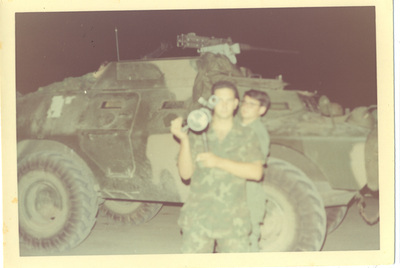 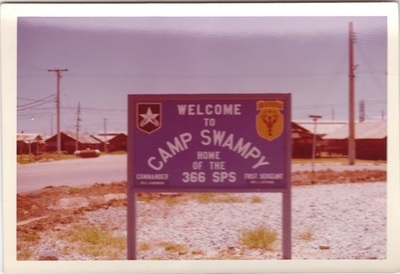 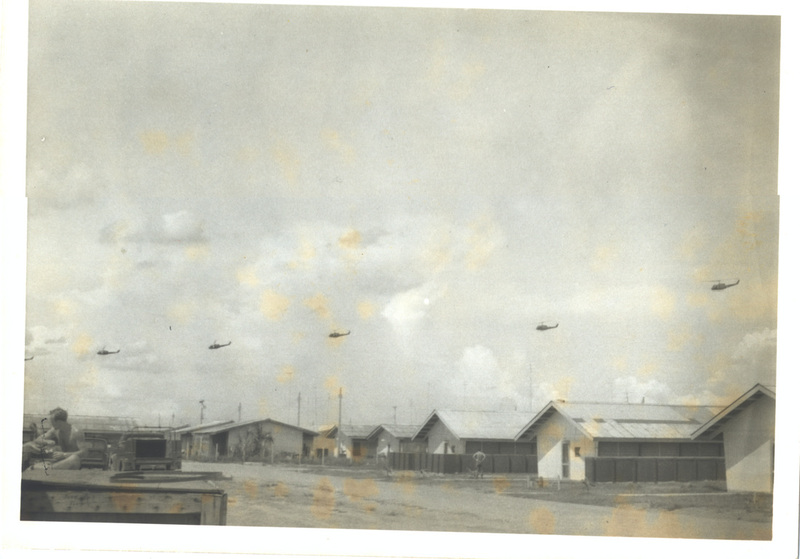 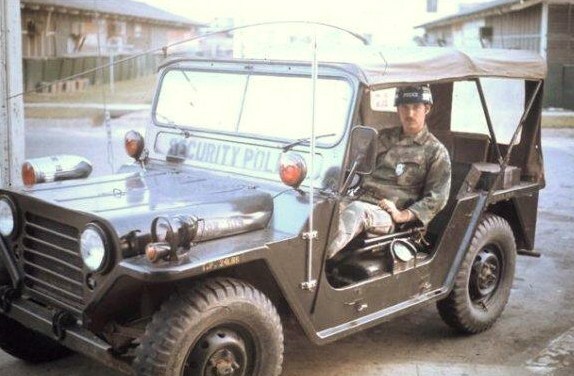 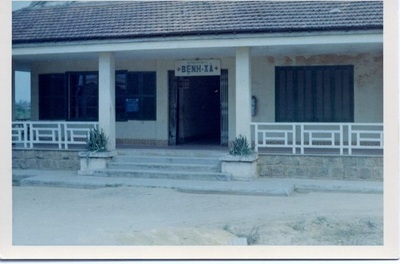 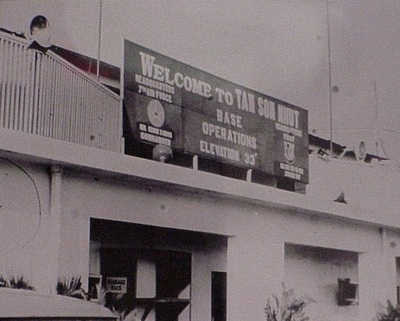 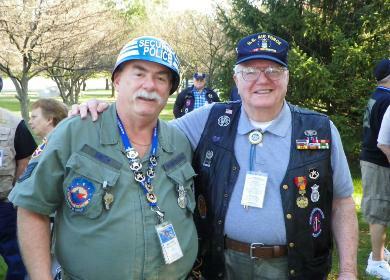 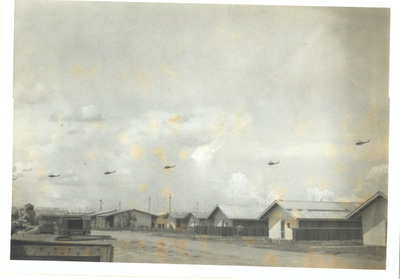 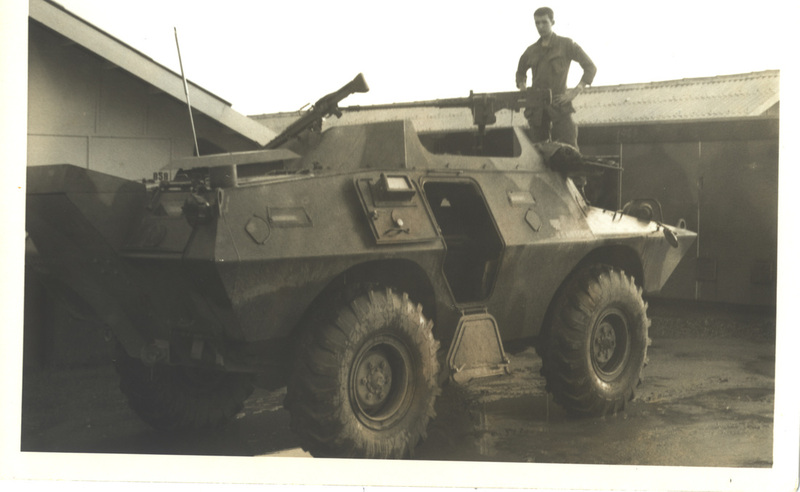 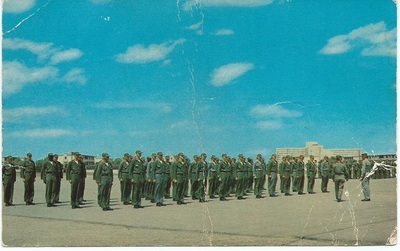 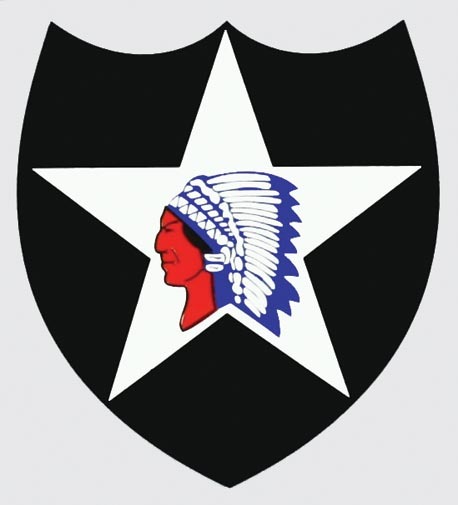 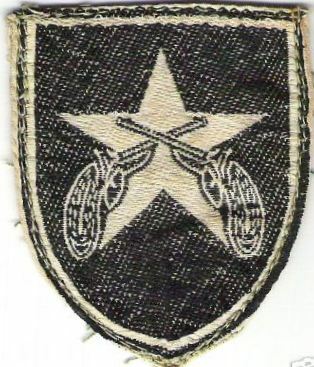 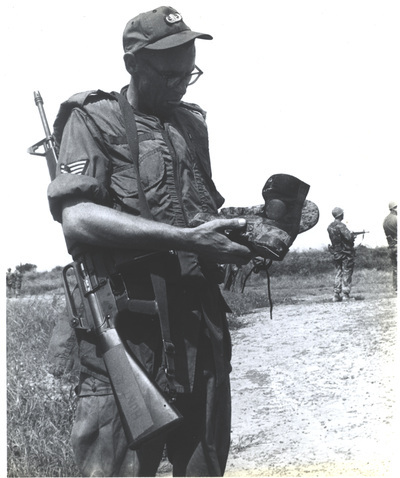 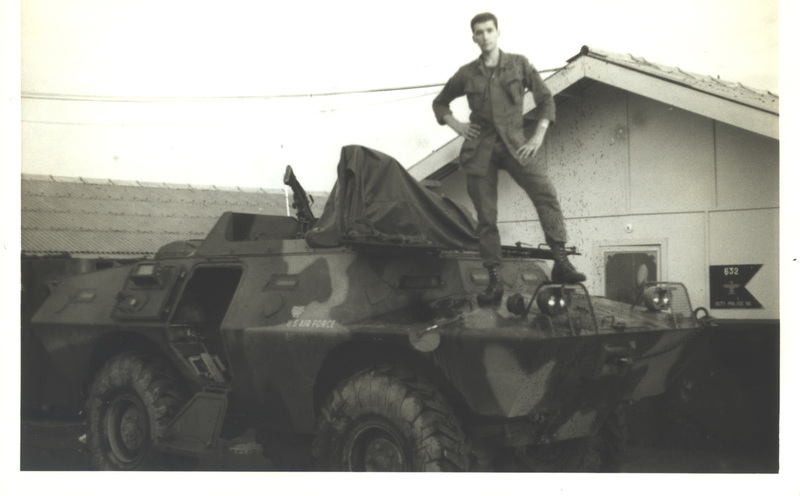 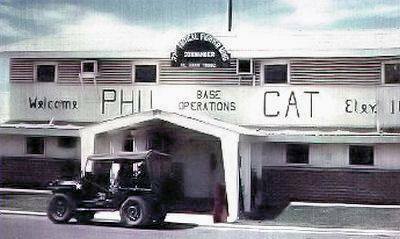 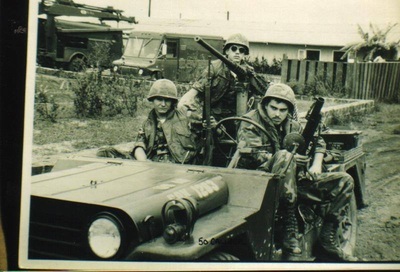 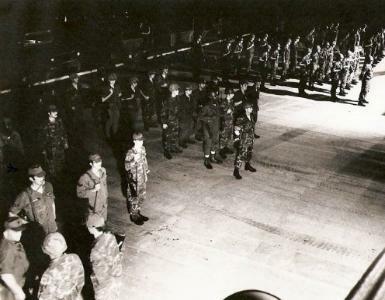 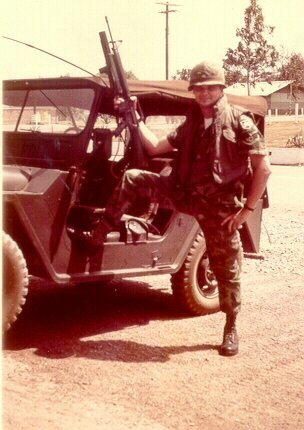 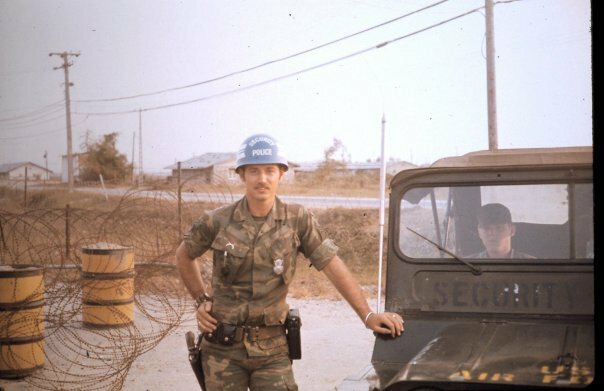 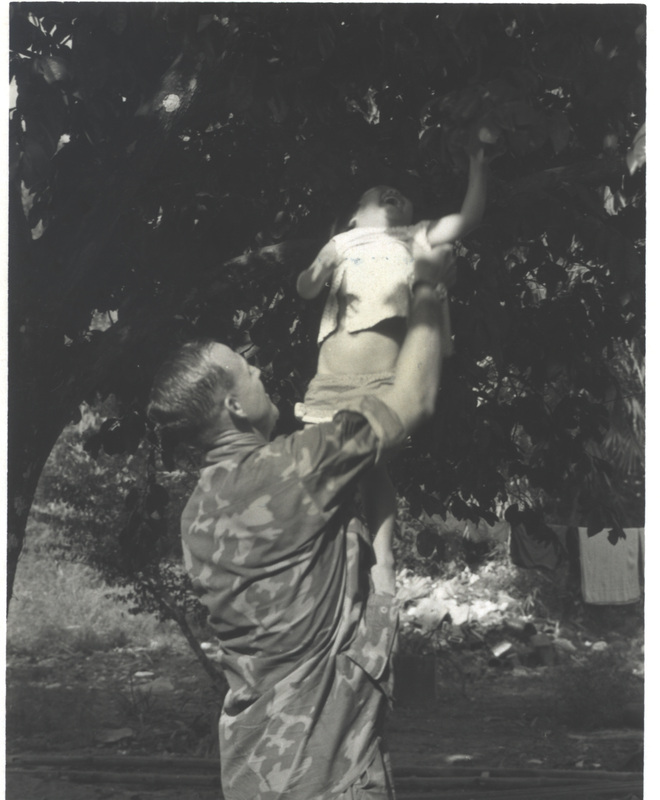 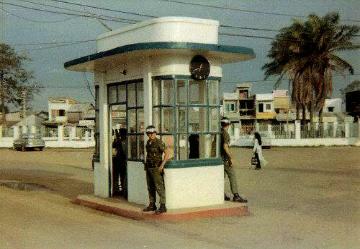 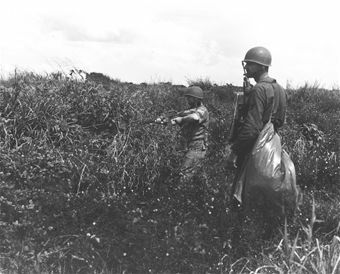 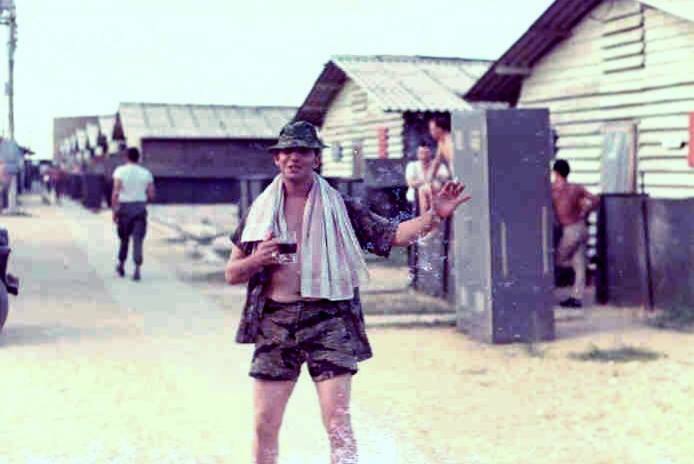 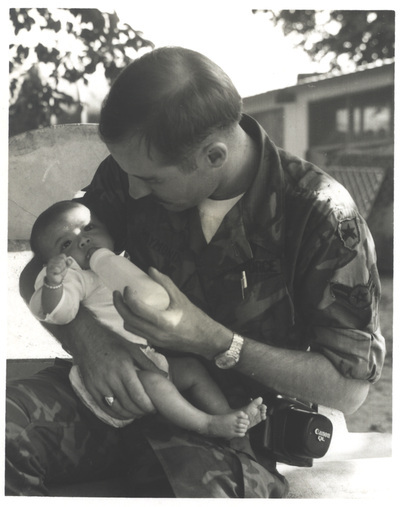 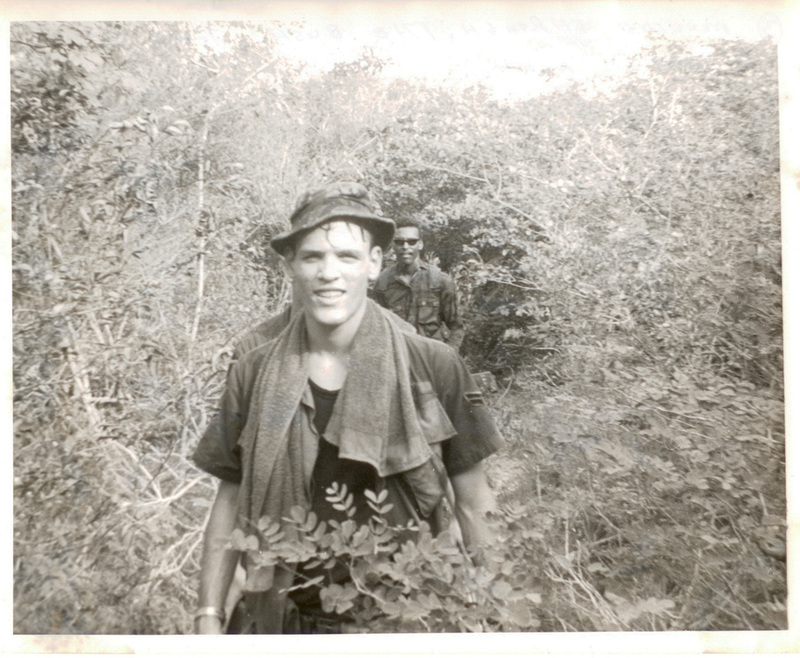 In 1965, each base was made responsible for its own protection, freeing Army maneuver units for other missions. 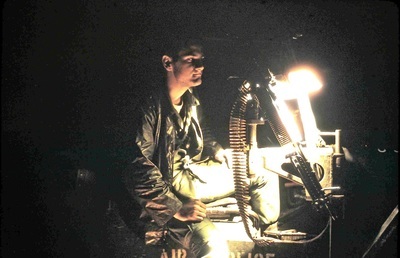 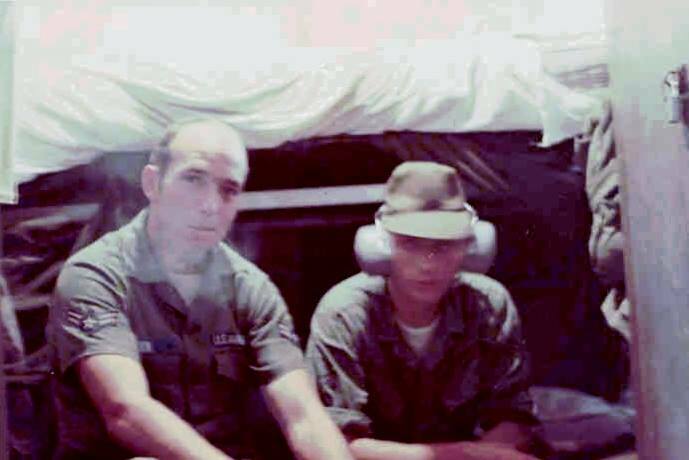 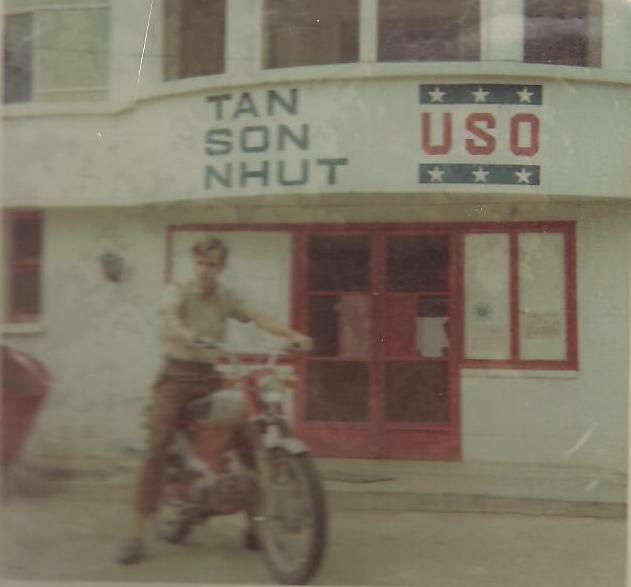 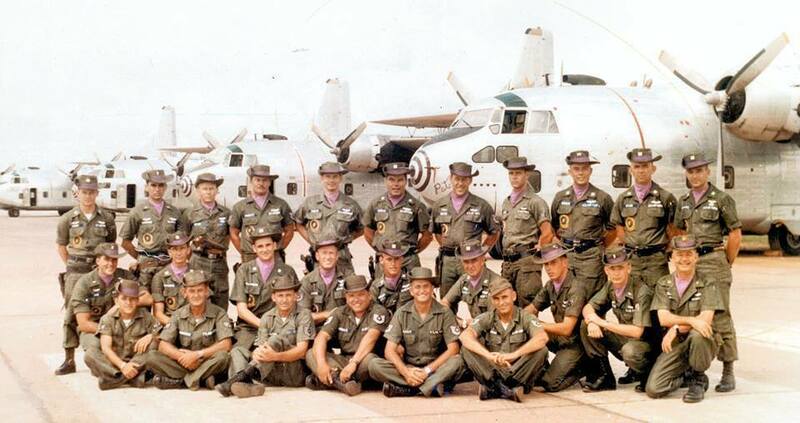 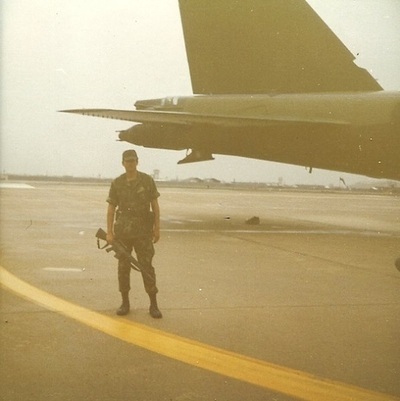 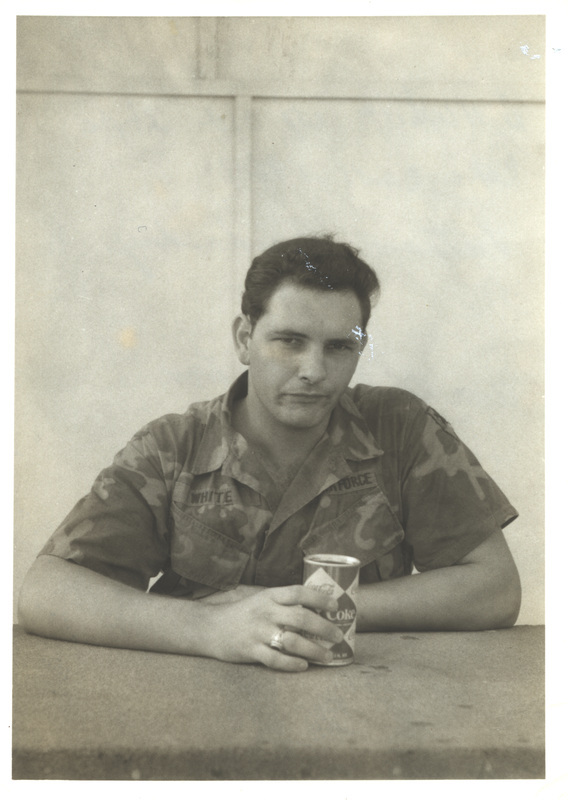 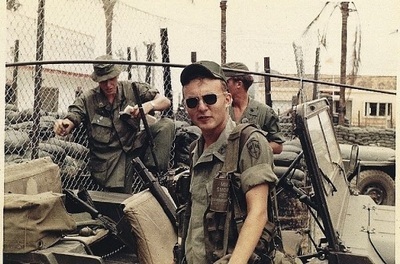 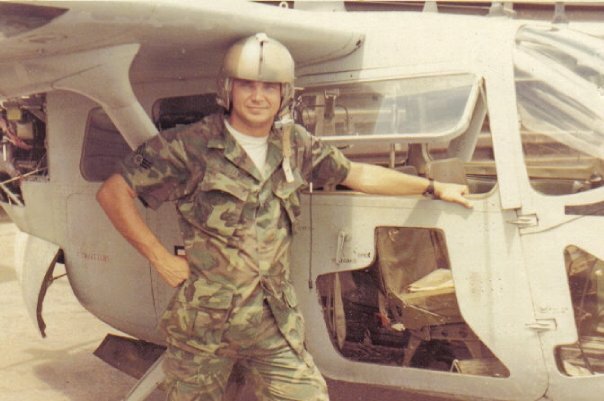 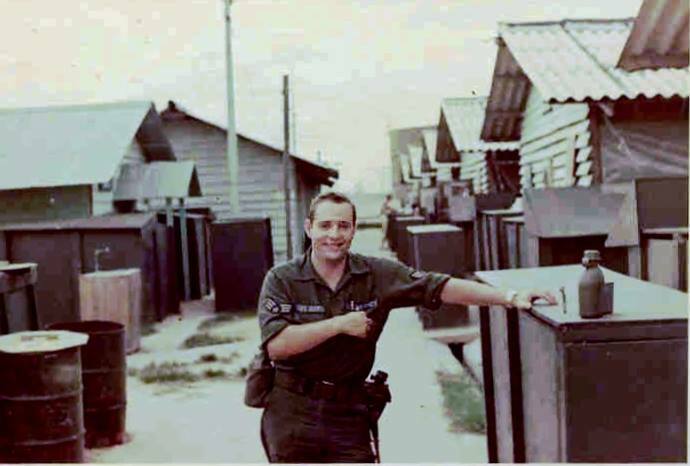 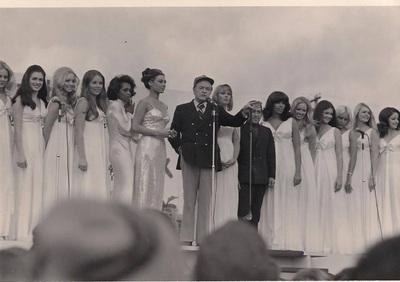 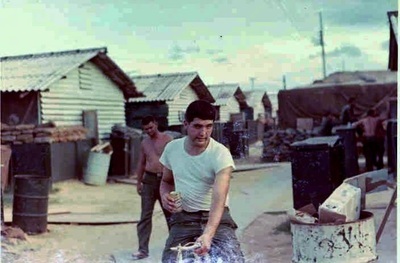 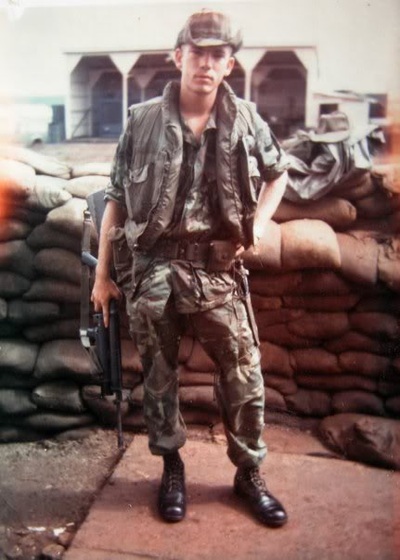 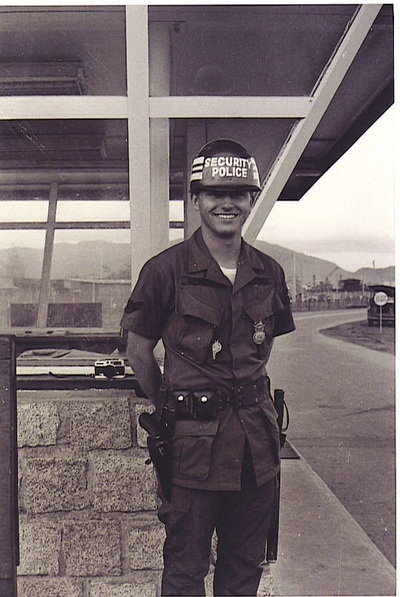 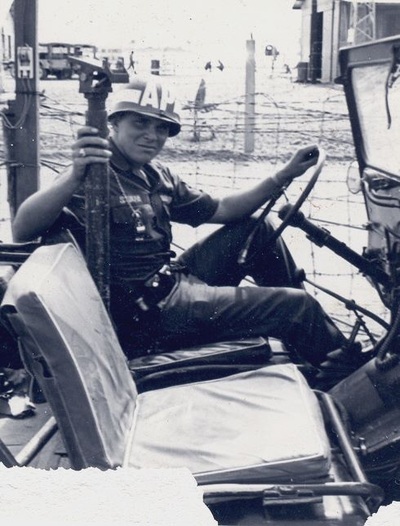 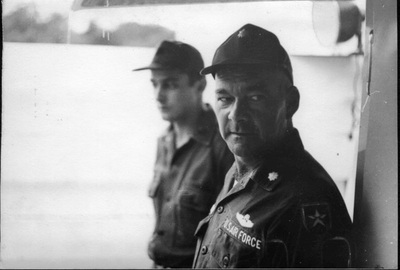 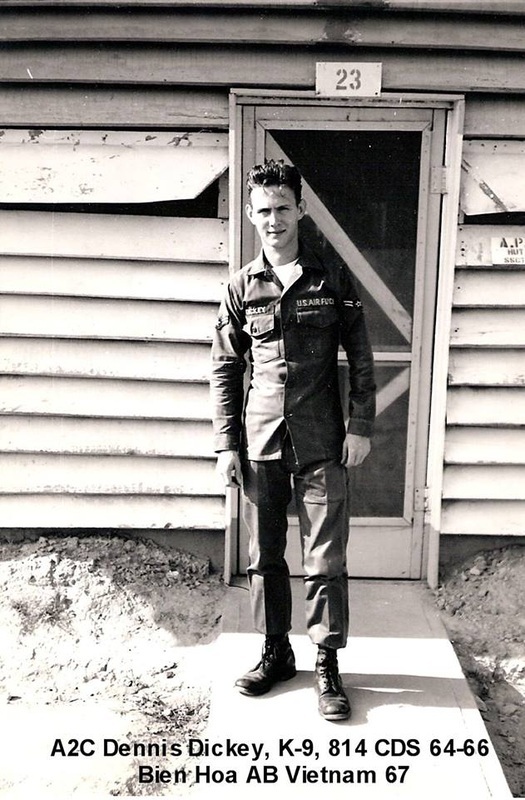 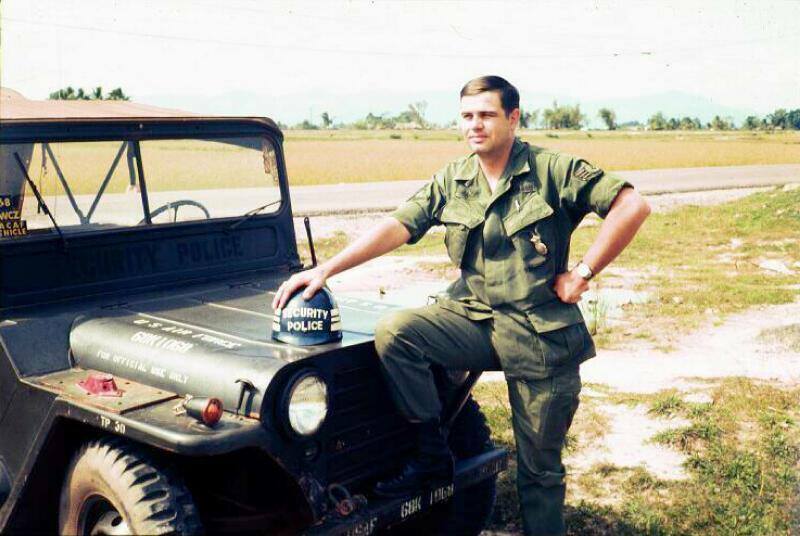 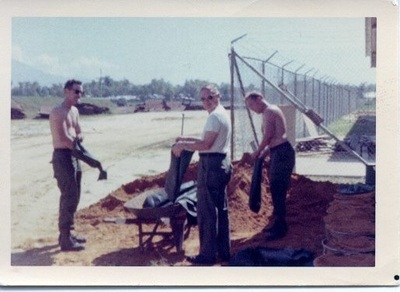 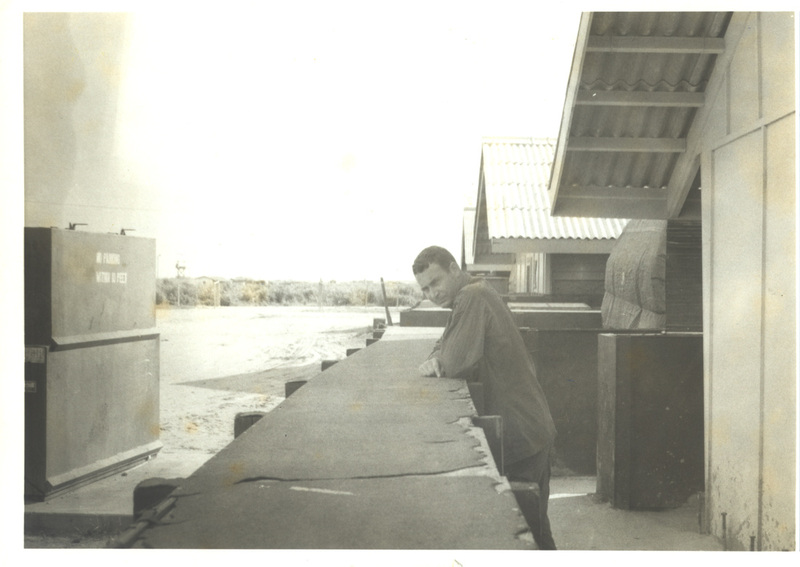 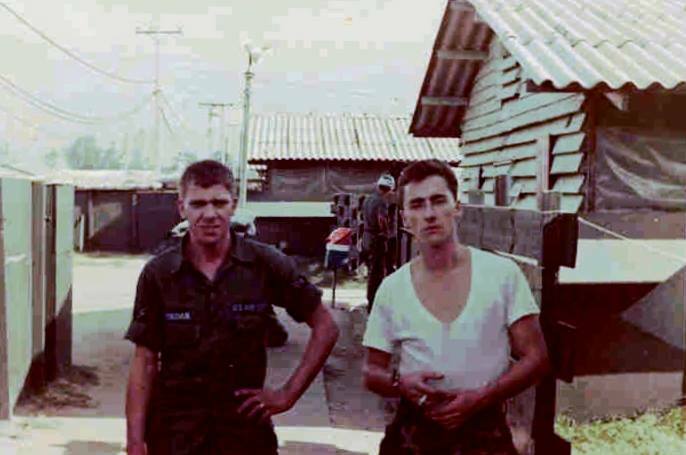 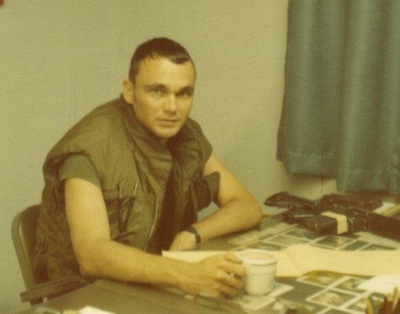 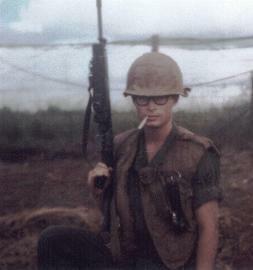 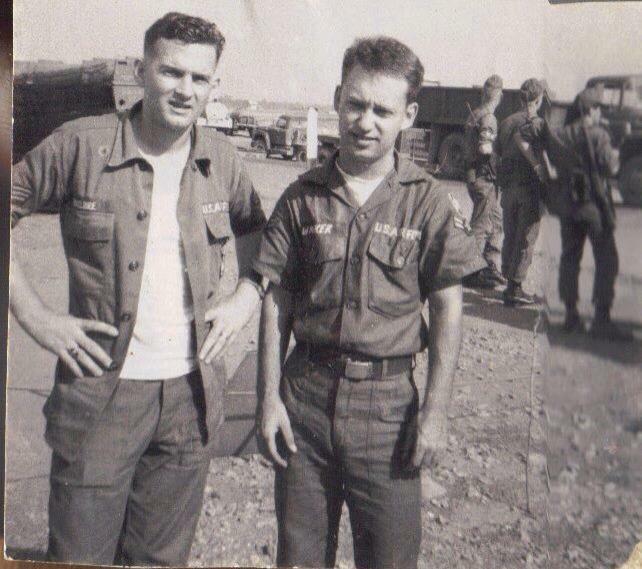 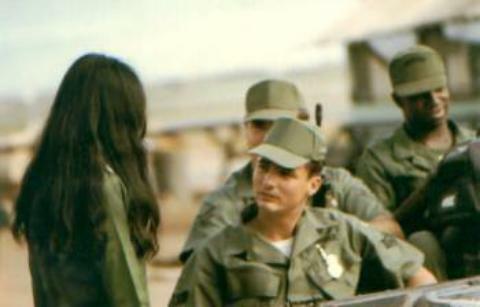 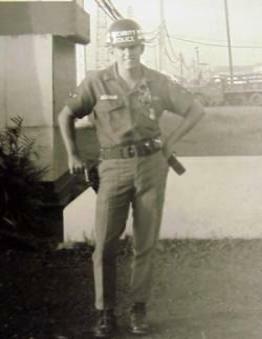 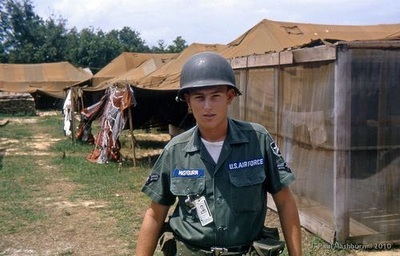 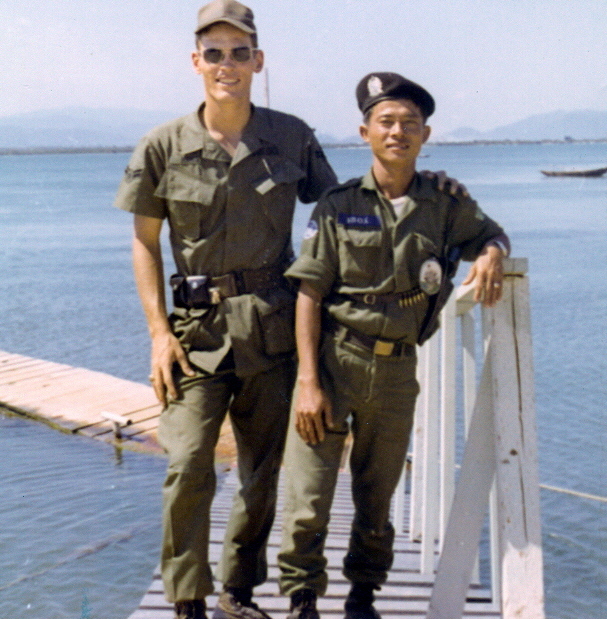 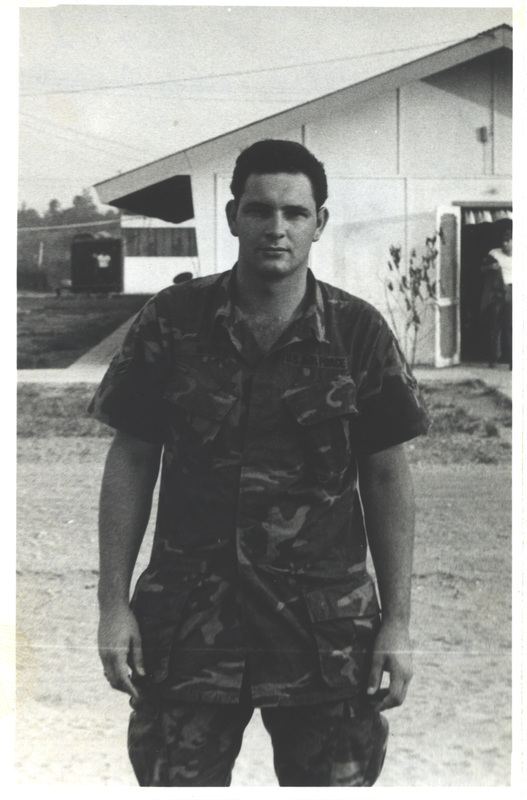 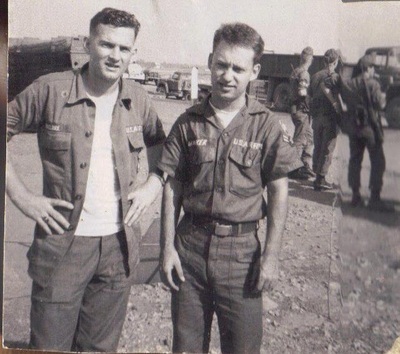 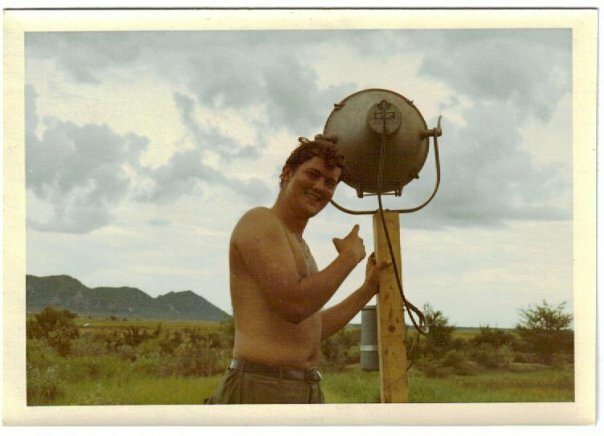 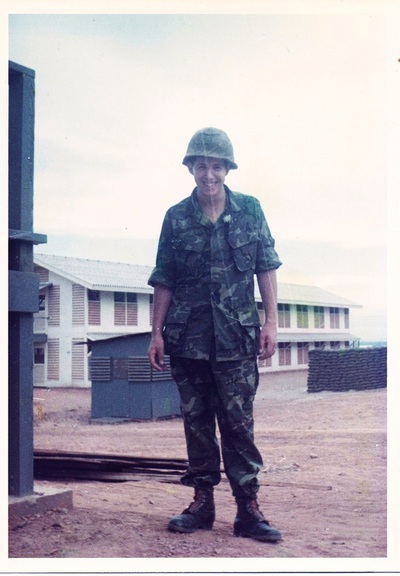 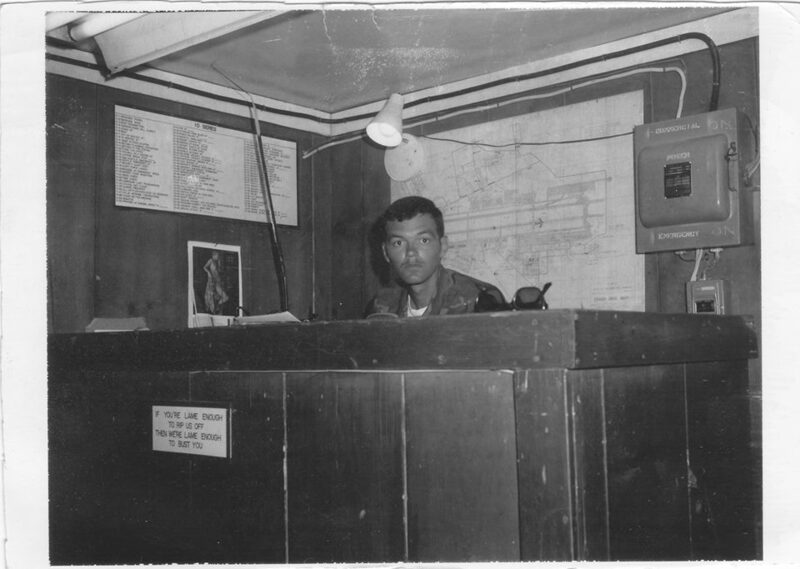 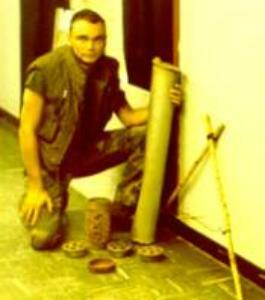 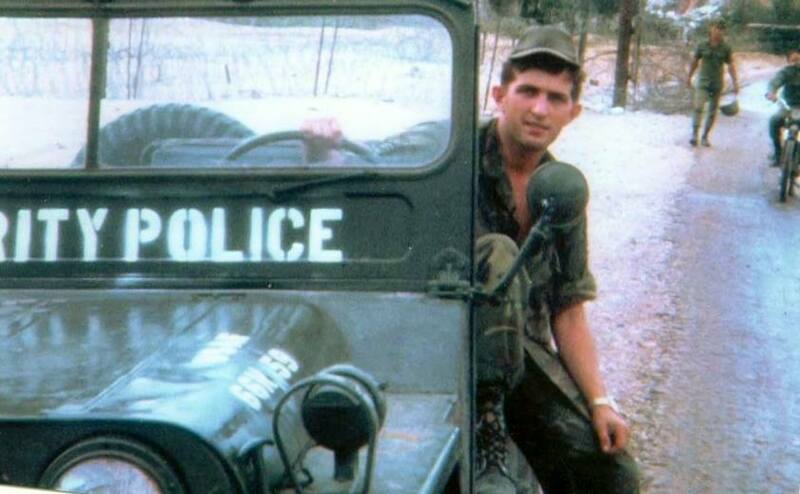 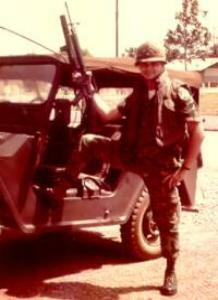 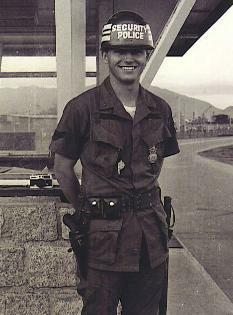 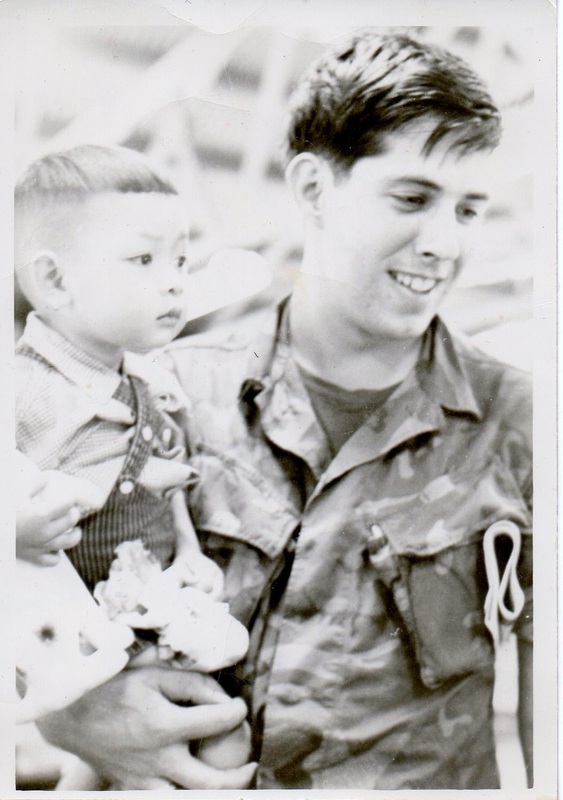 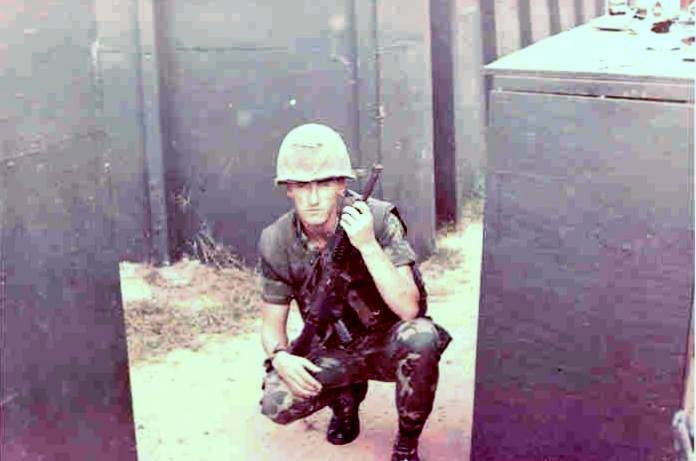 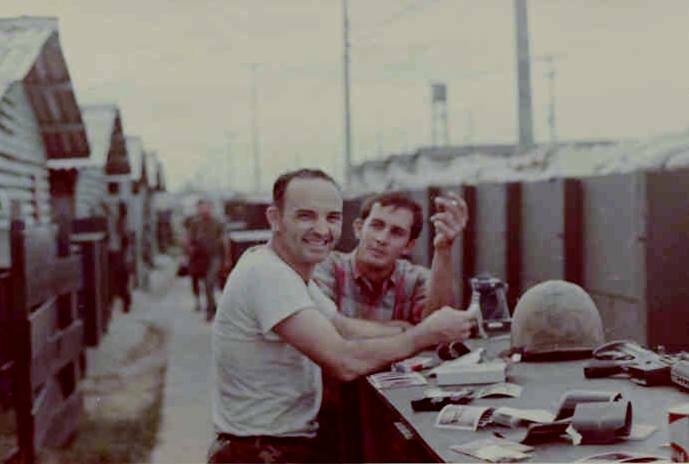 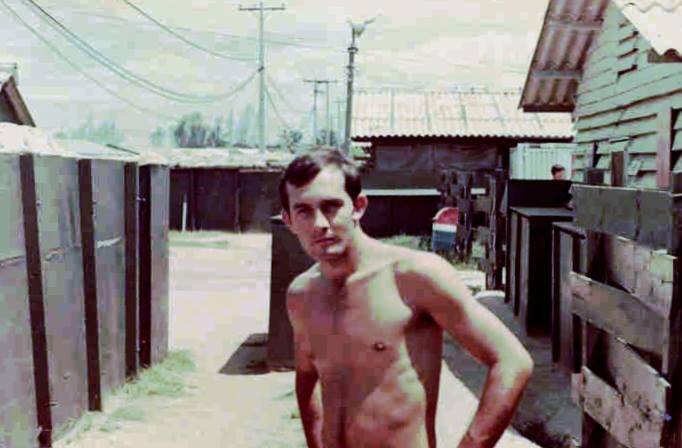 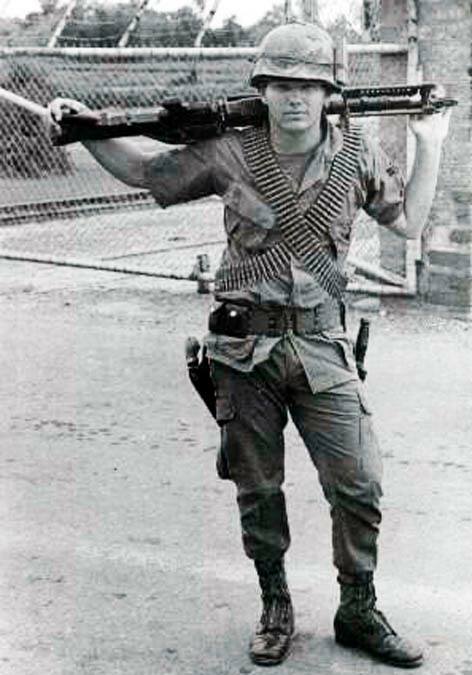 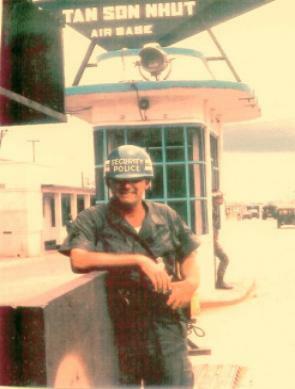 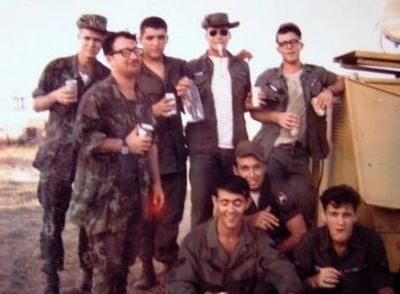 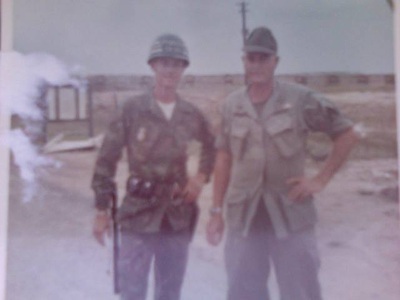 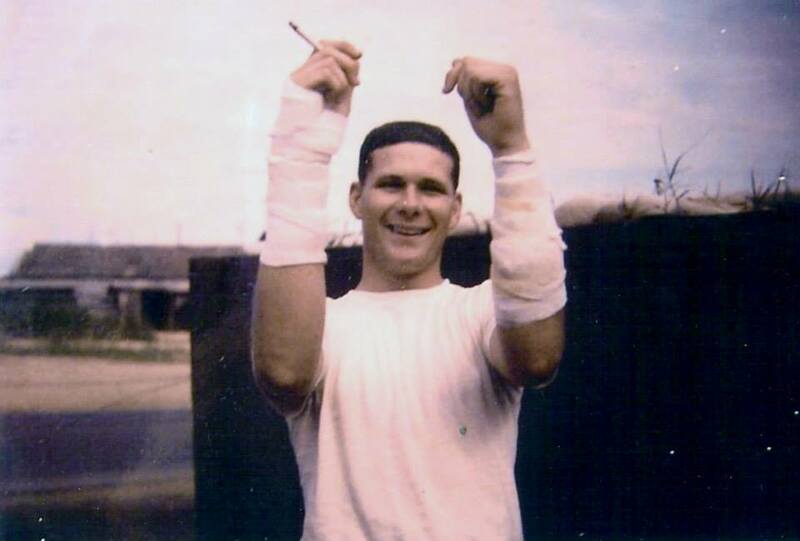 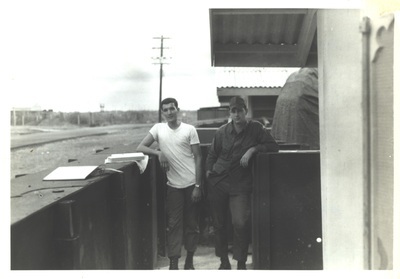 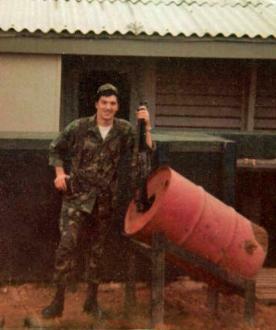 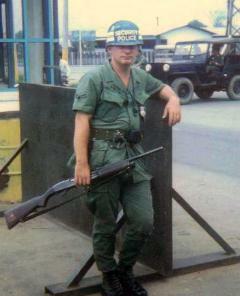 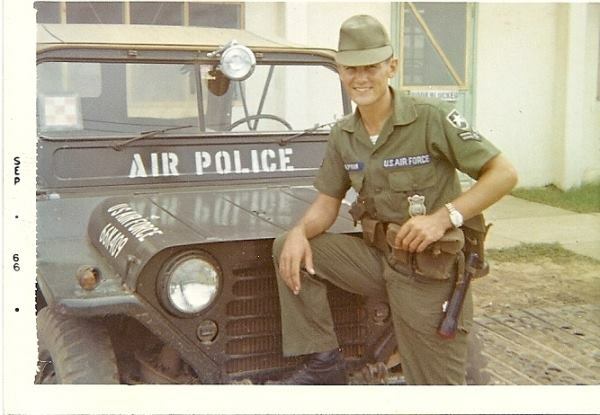 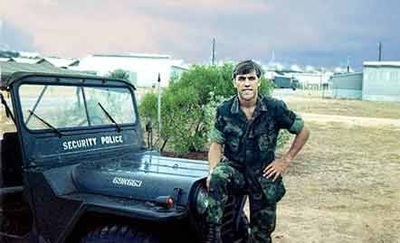 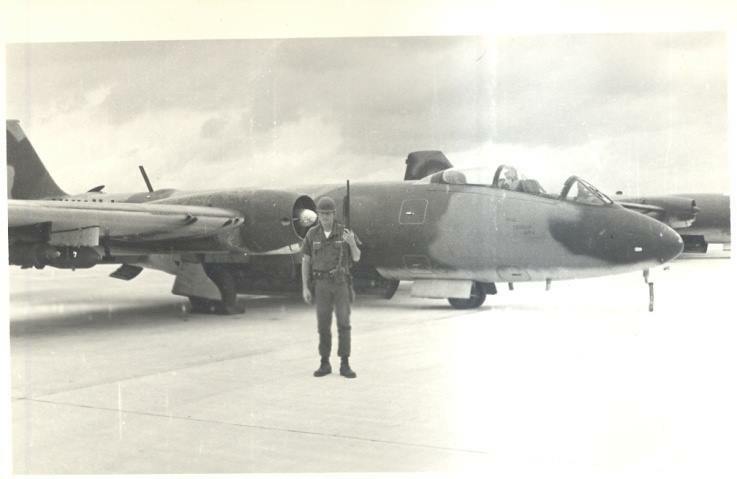 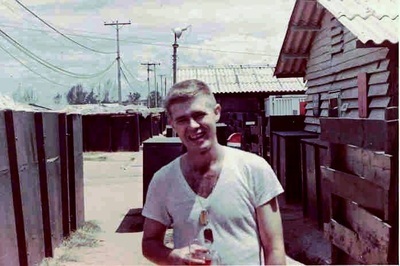 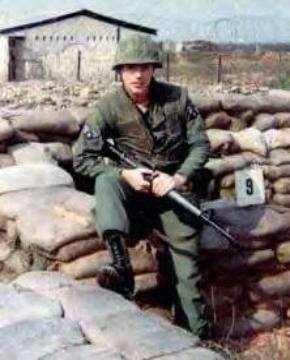 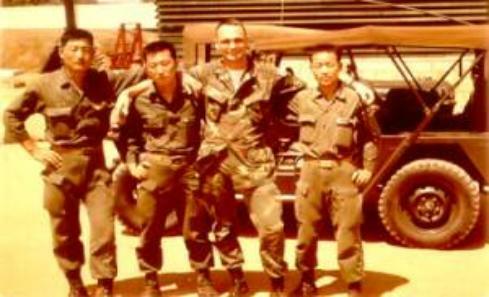 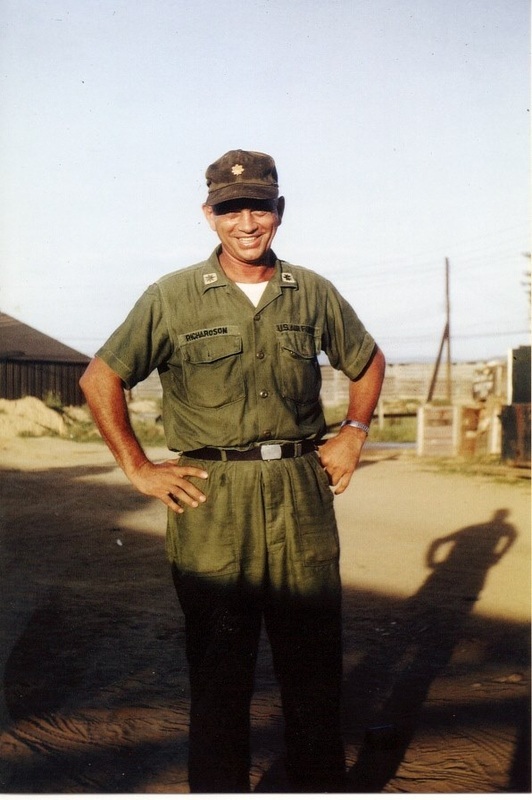 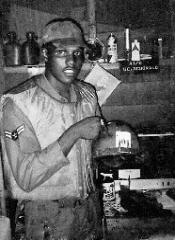 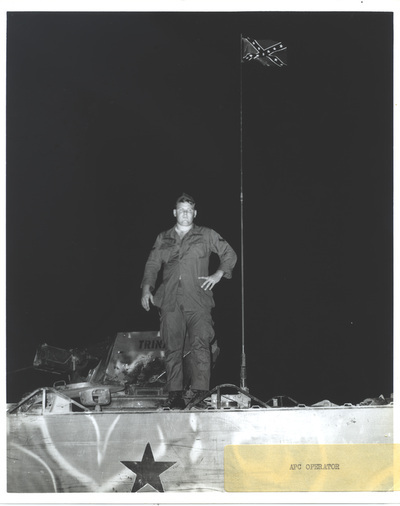 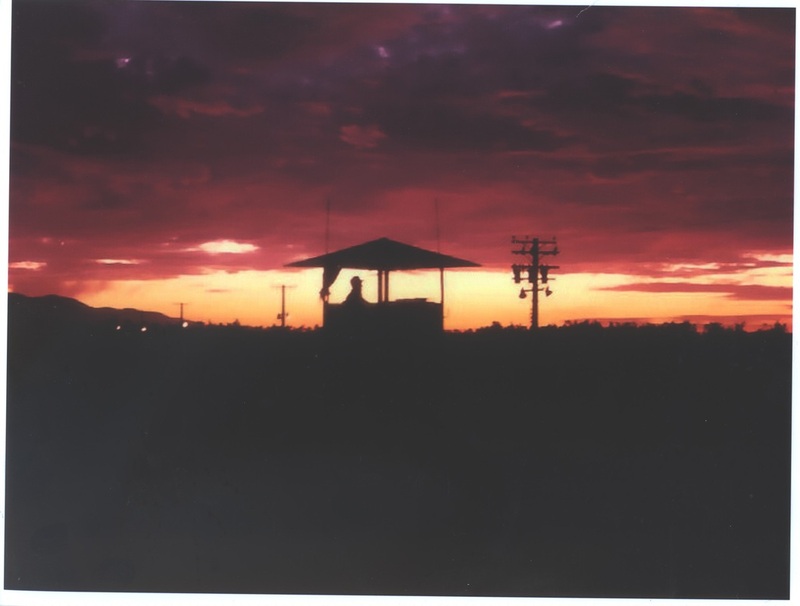 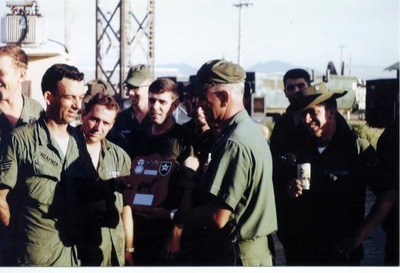 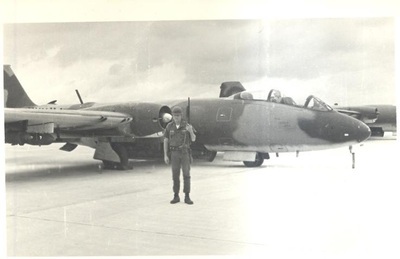 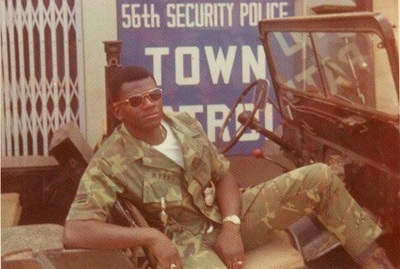 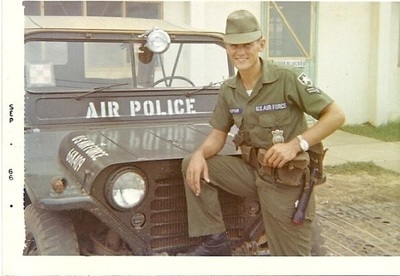 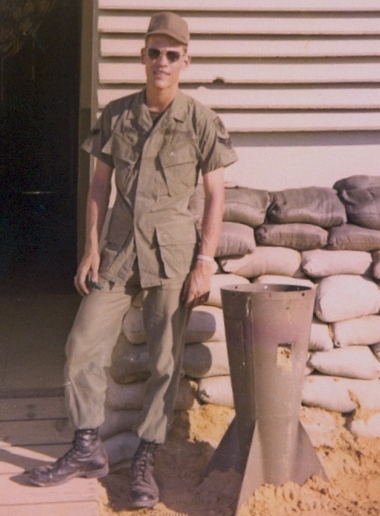 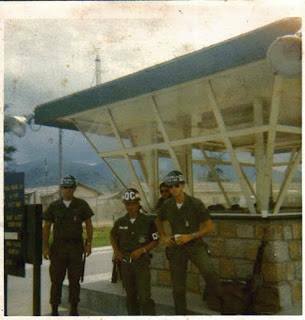 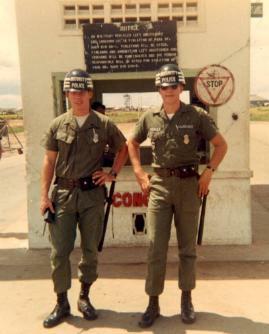 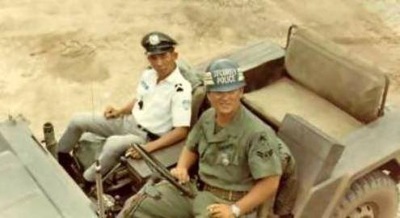 Staff Sergeant Terrance Jensen was the first Air Policeman killed in action during the Vietnam Conflict on July 1, 1965, while supervising flight line security at Da Nang Air Base. 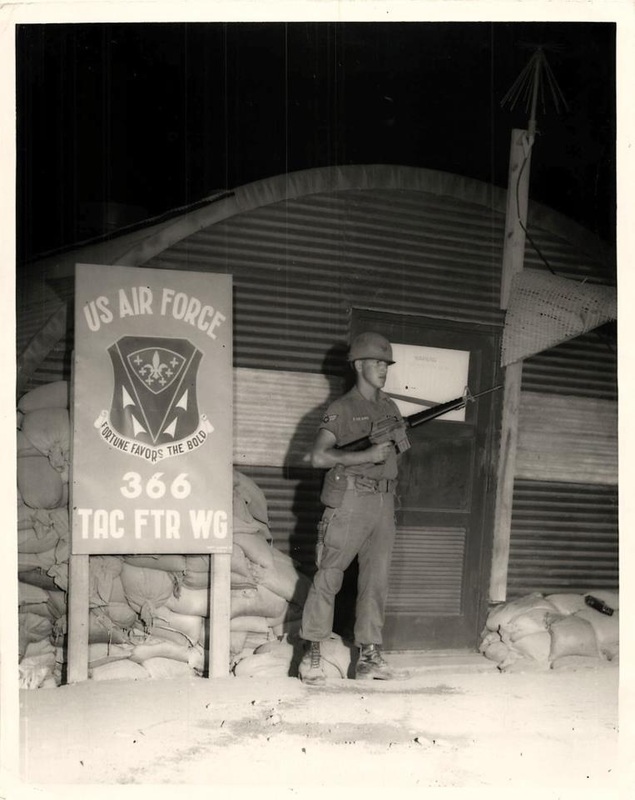 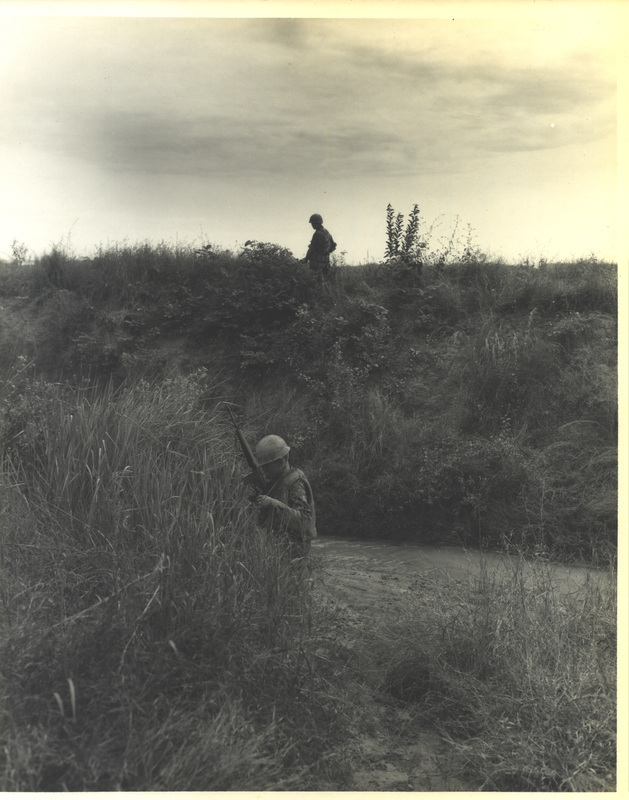 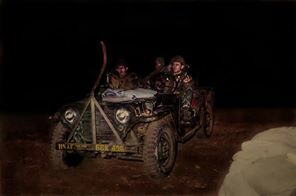 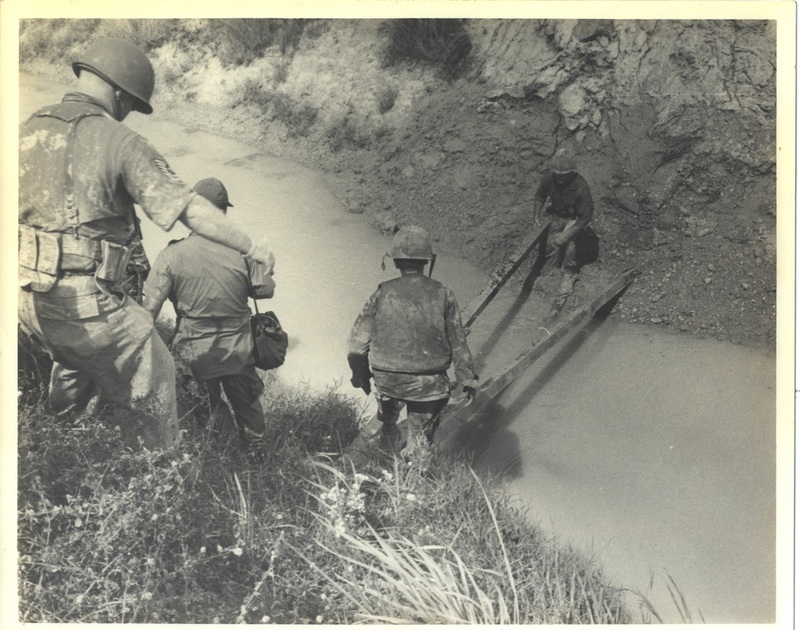 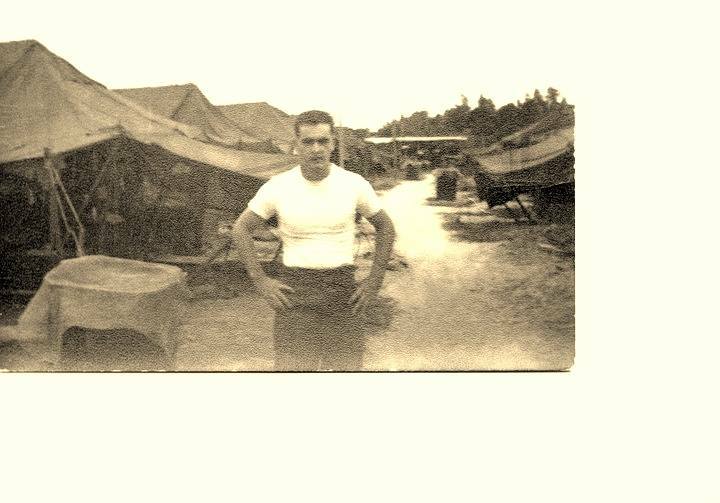 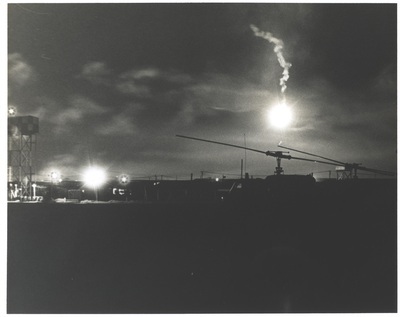 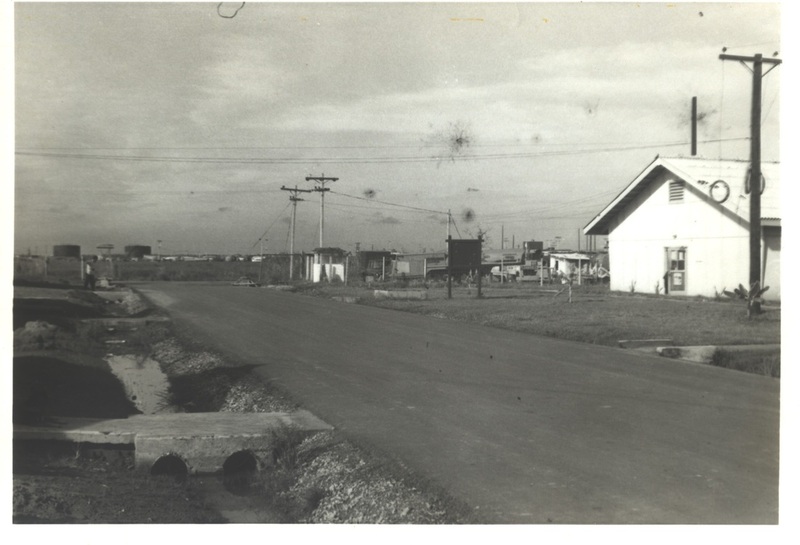 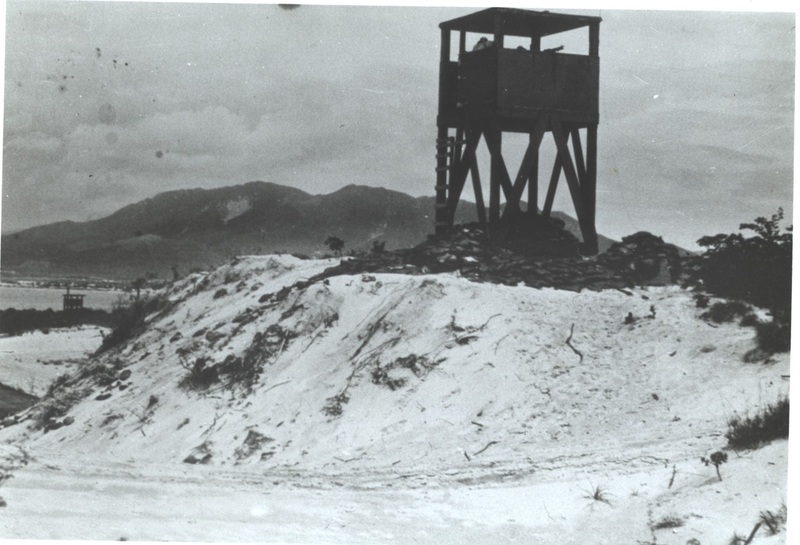 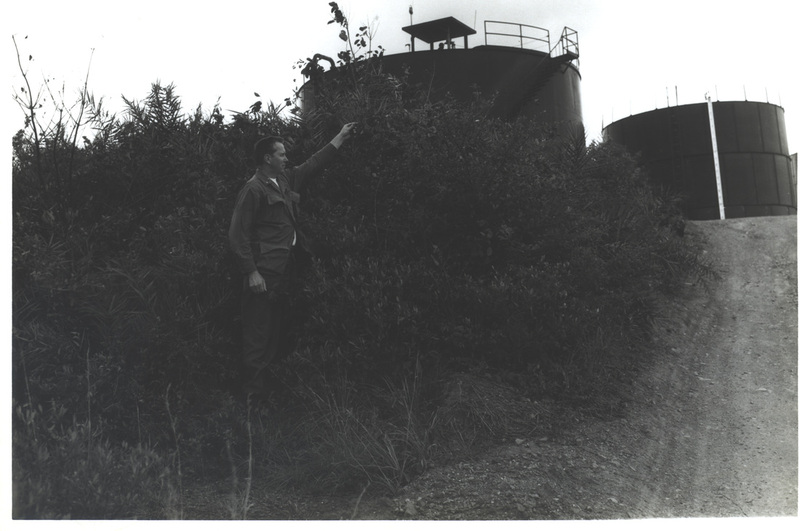 Sergeant Jensen was conducting post checks on troops who were working isolated posts at night, when he and a sentry, A1C Albert Handy, were surprised by a small force of saboteurs. 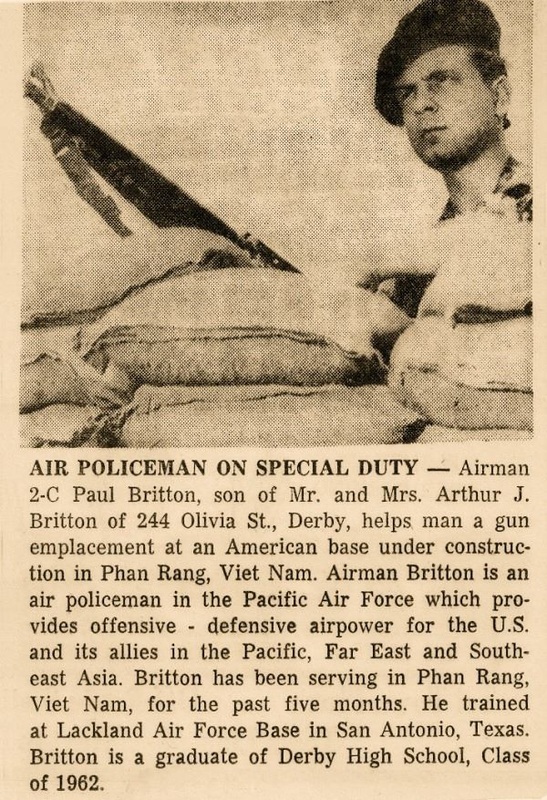 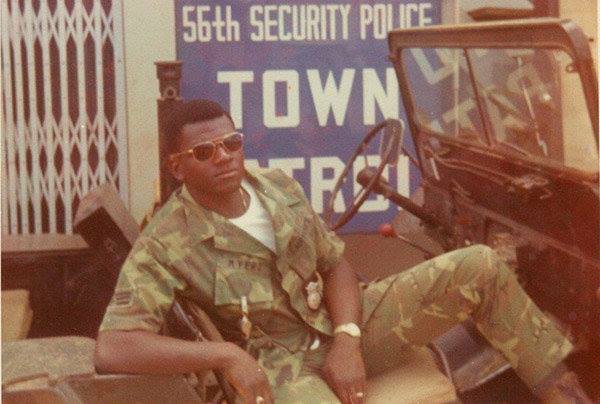 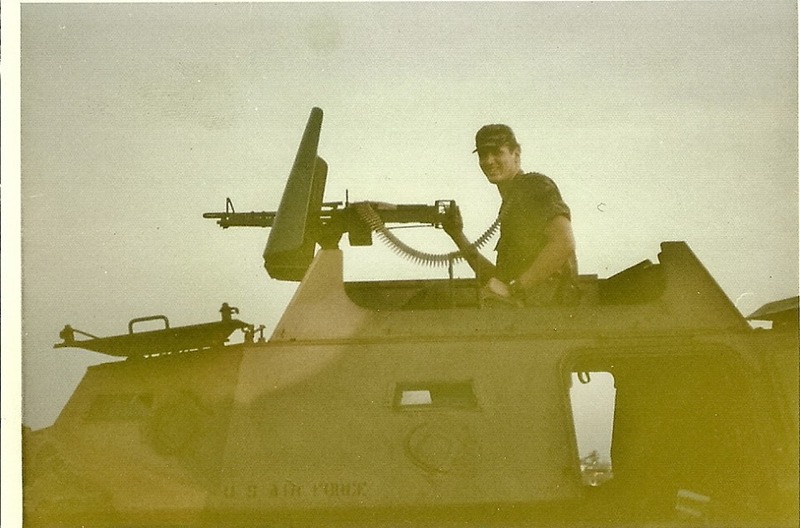 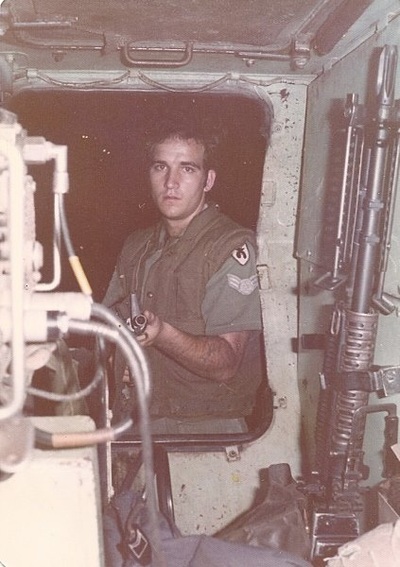 He only had enough time to shout a few instructions to A1C Handy and fire several rounds at the intruders before he was fatally engaged by superior firepower. 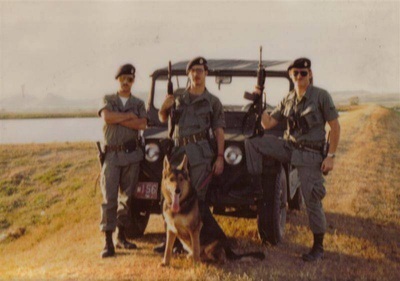 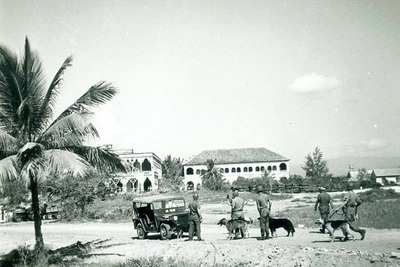 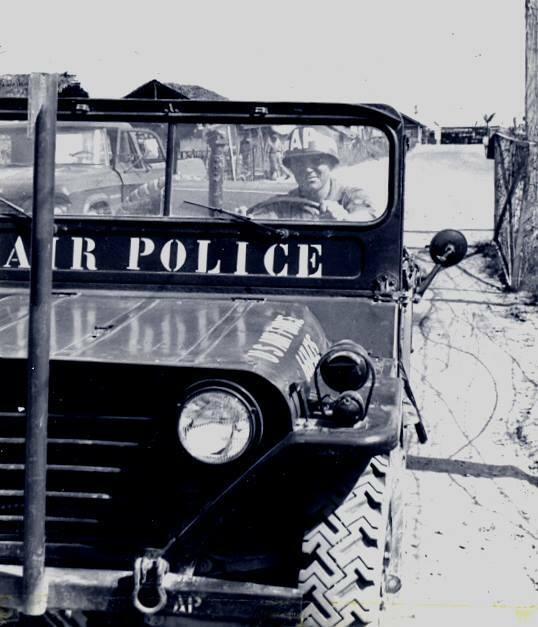 At the time, Air Police leadership had been promoting the use of canine teams and felt the tragedy might have been avoided had they been authorized to employ canines. 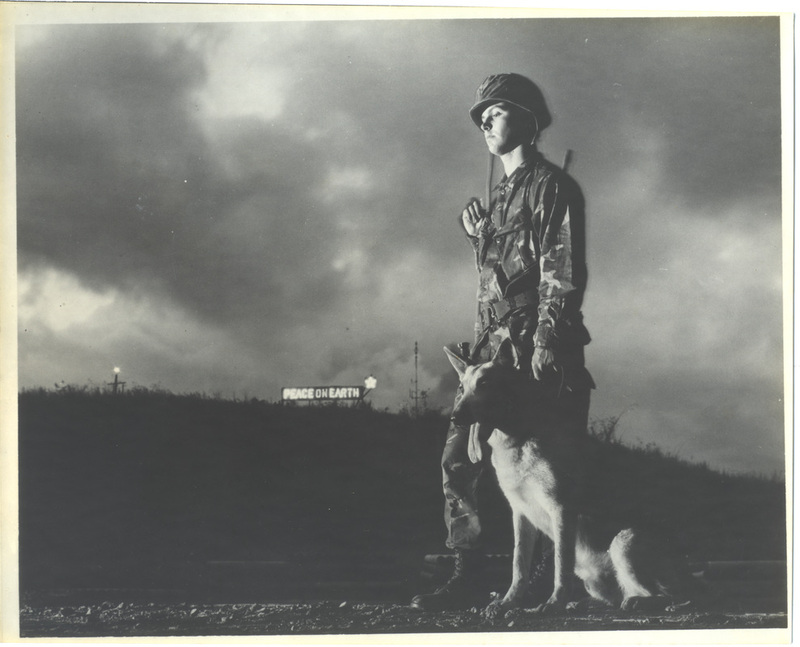 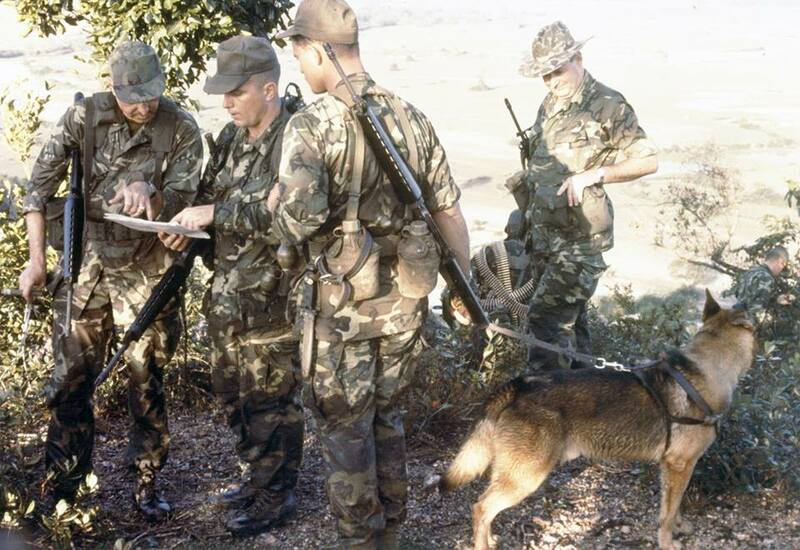 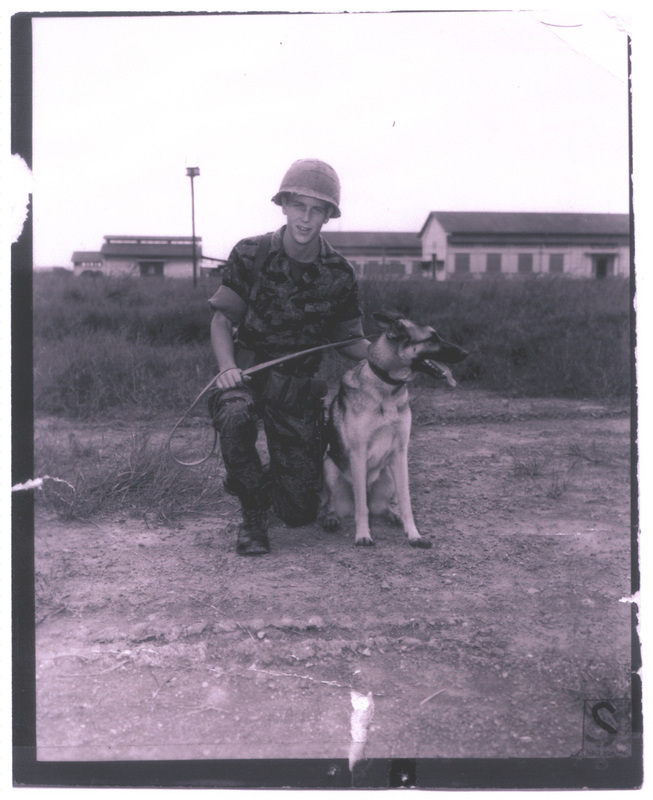 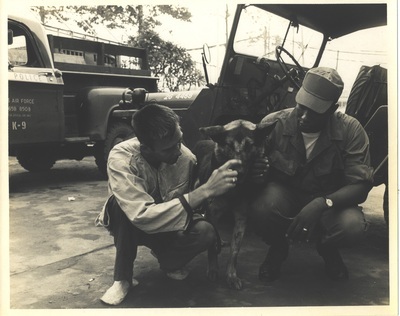 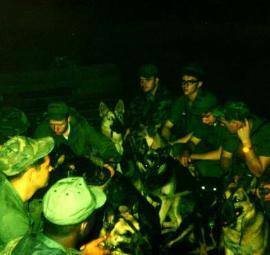 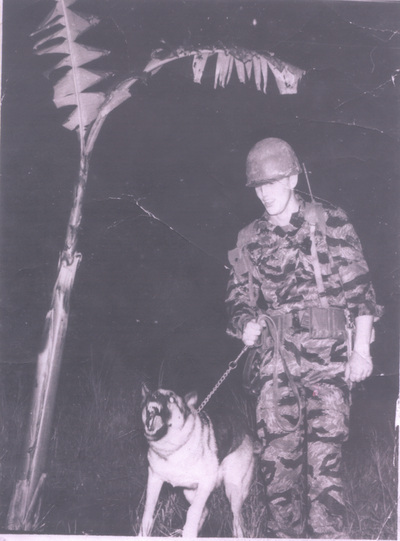 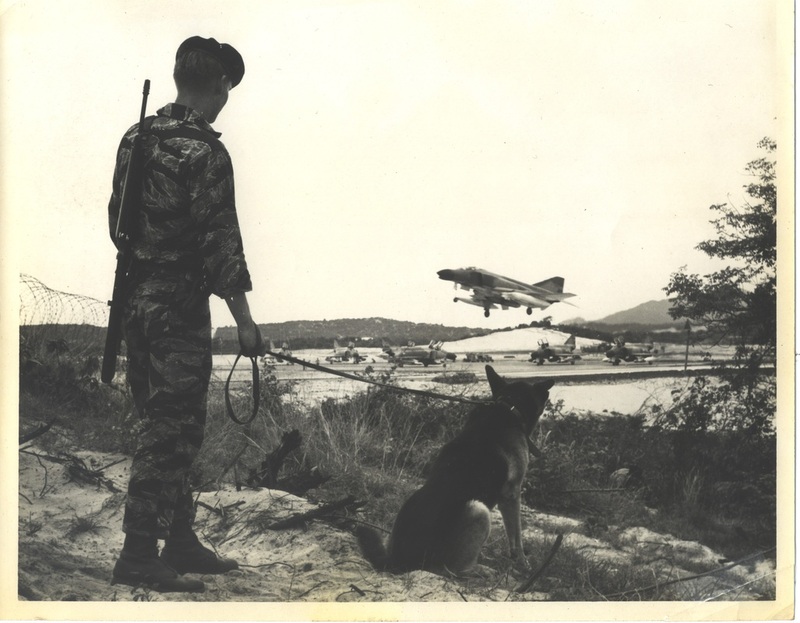 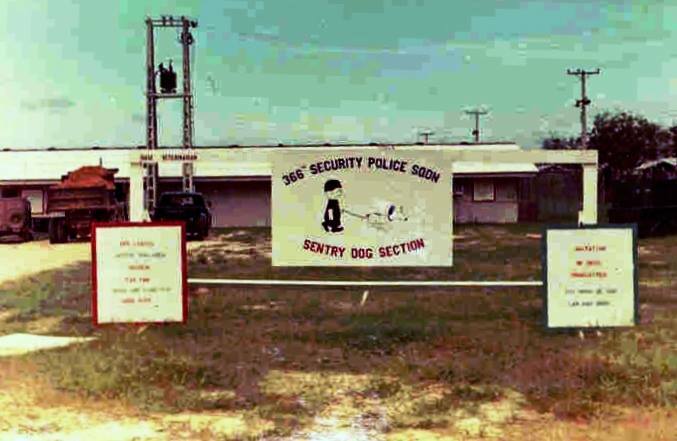 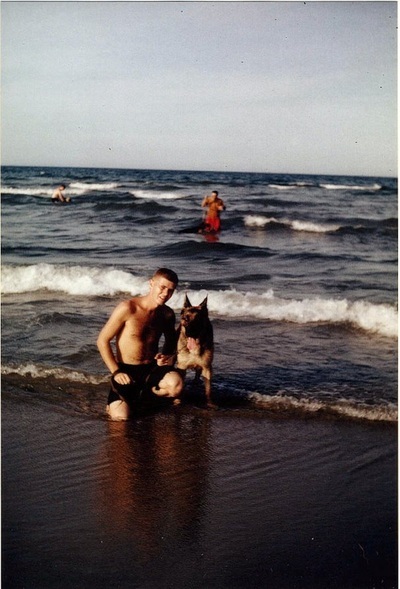 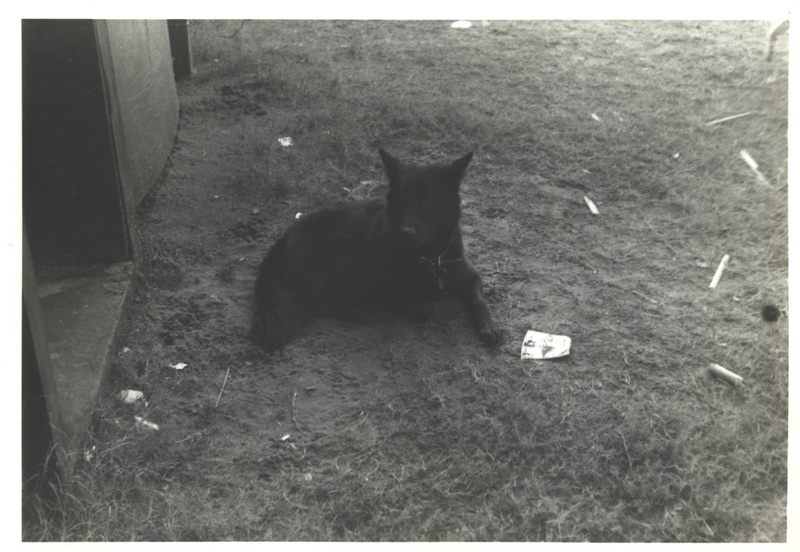 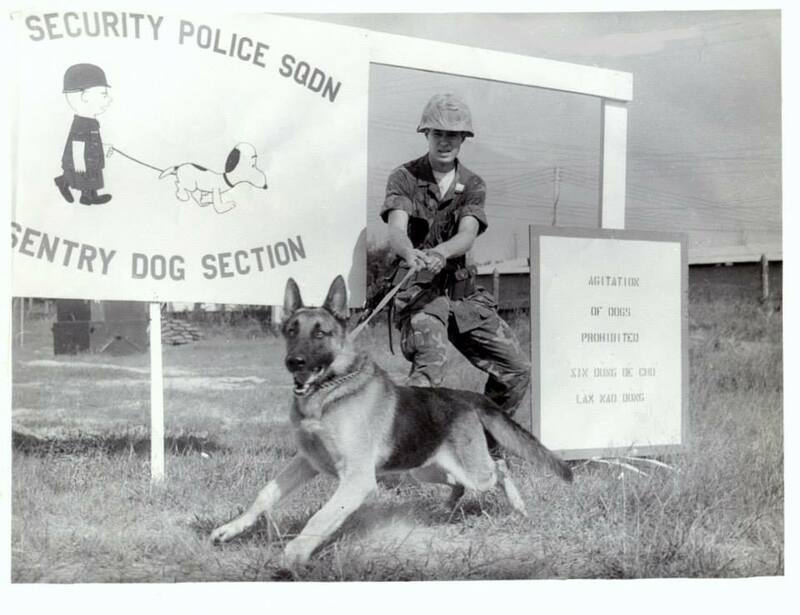 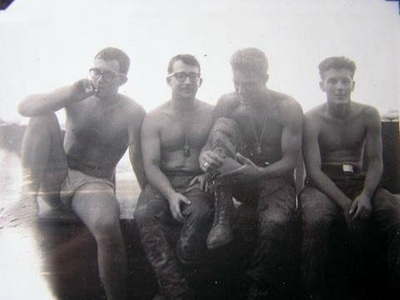 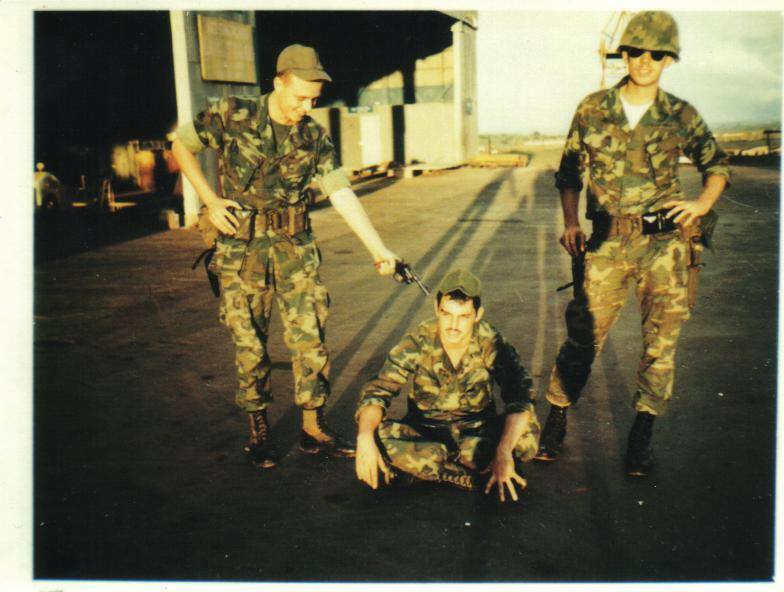 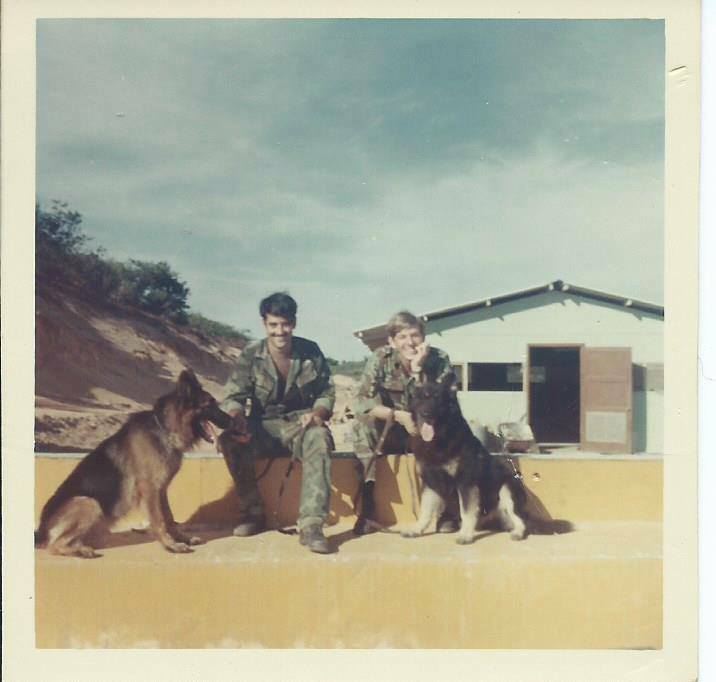 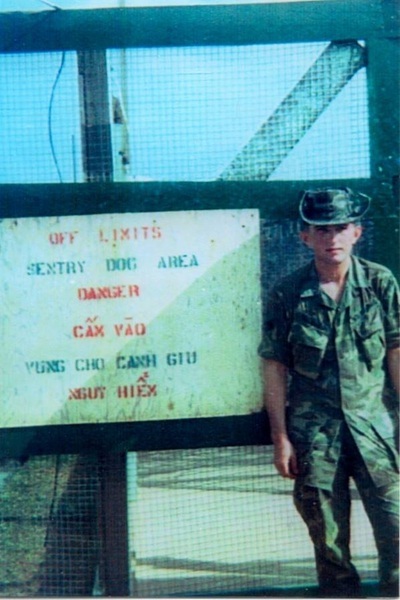 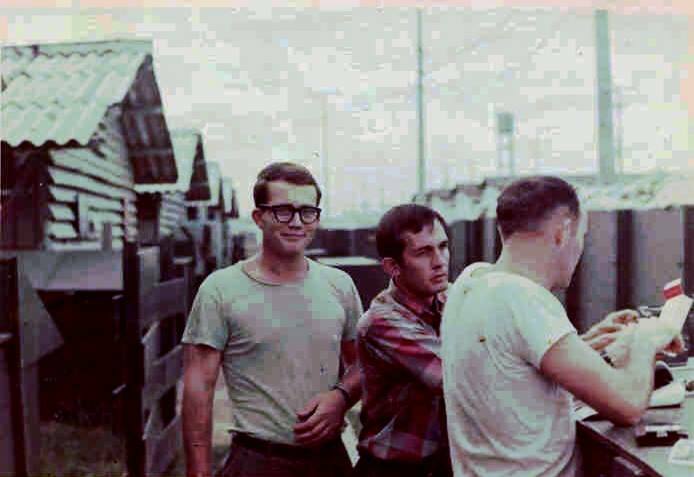 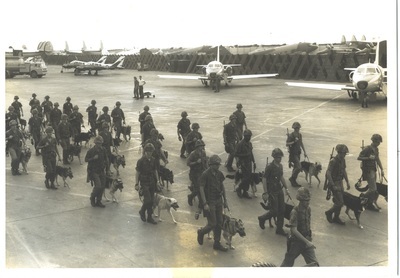 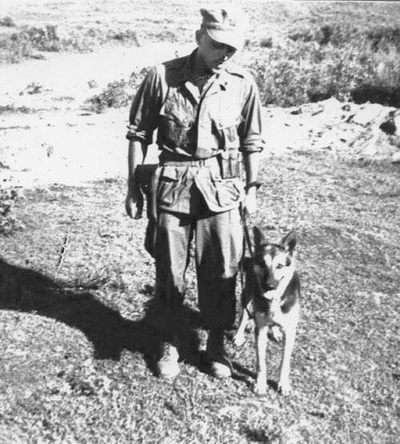 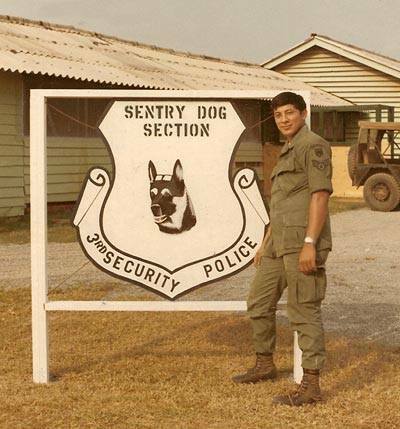 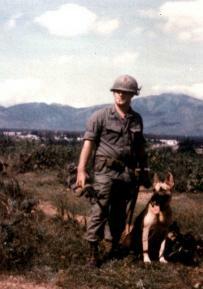 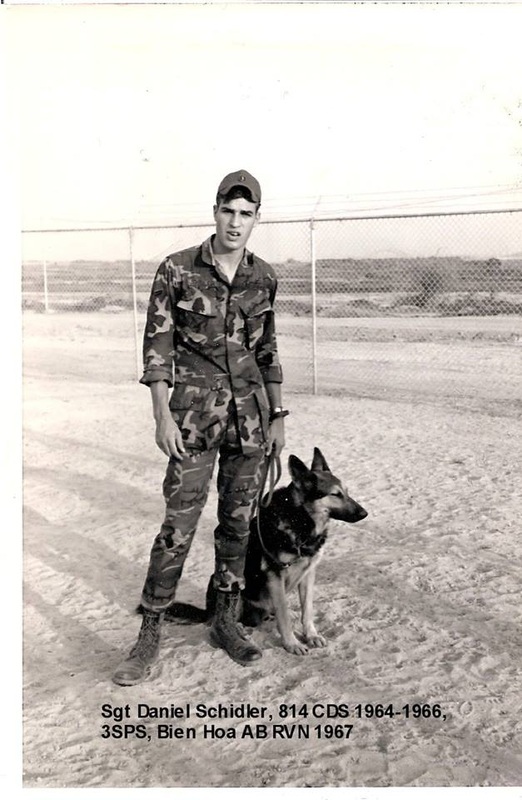 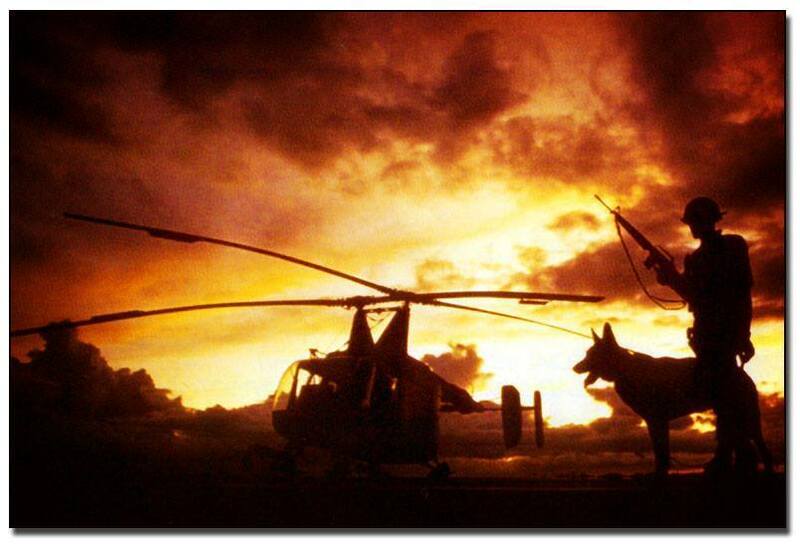 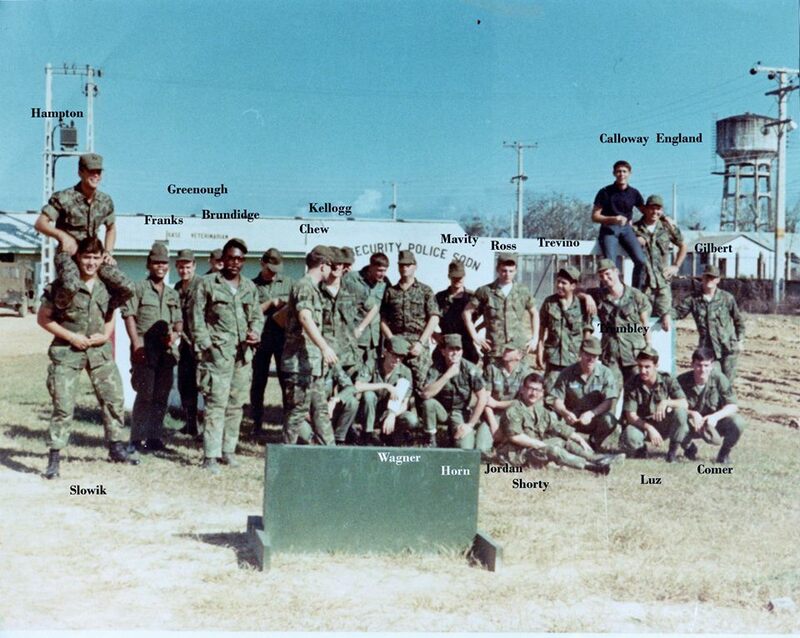 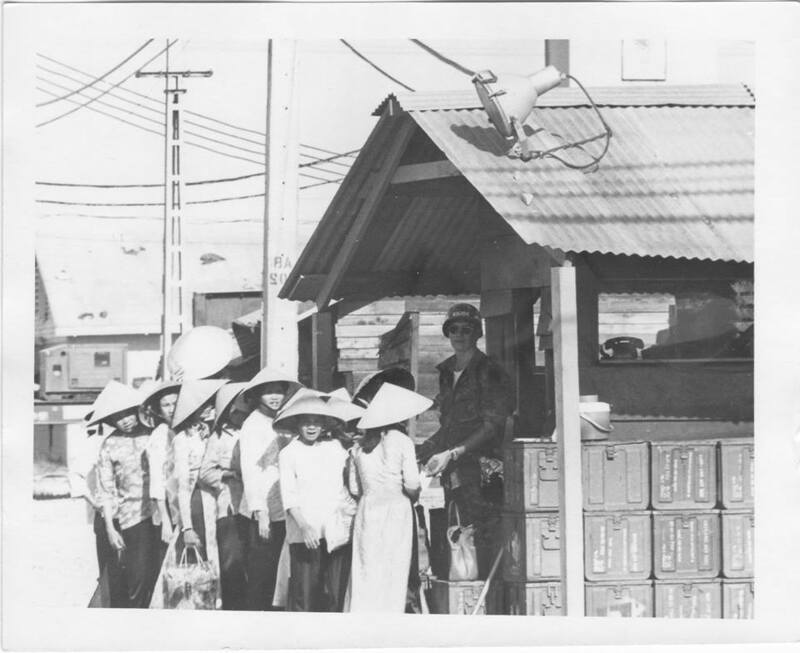 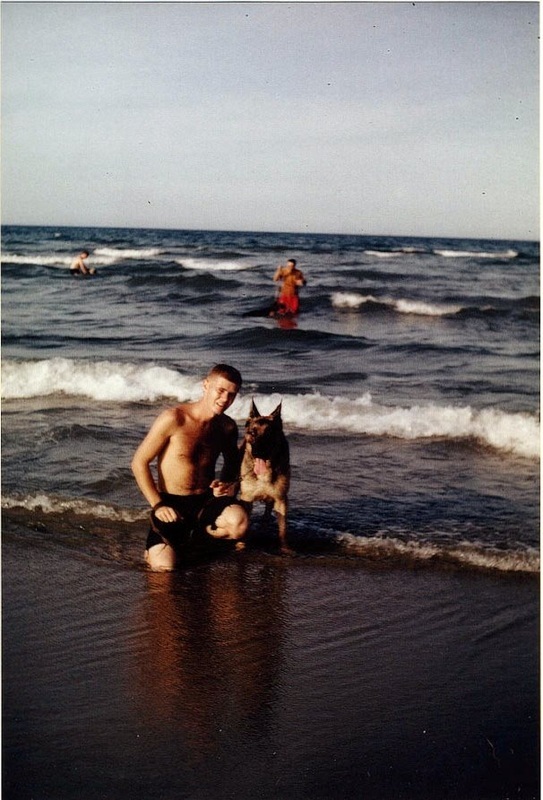 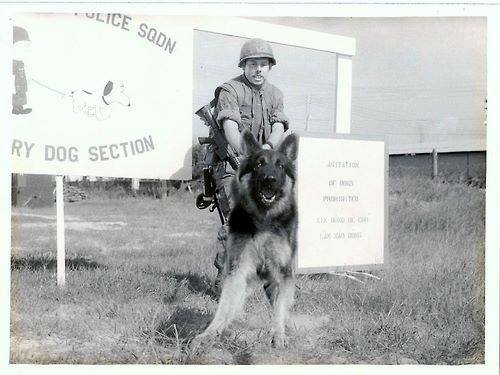 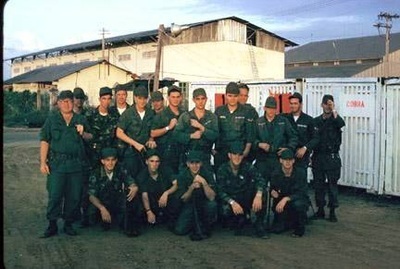 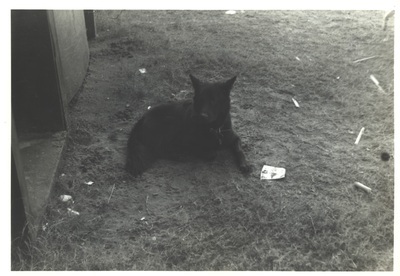 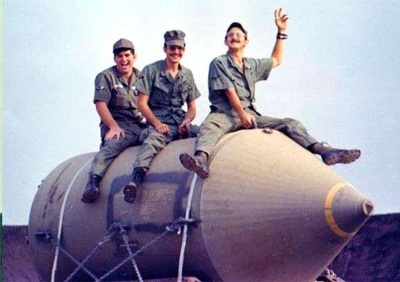 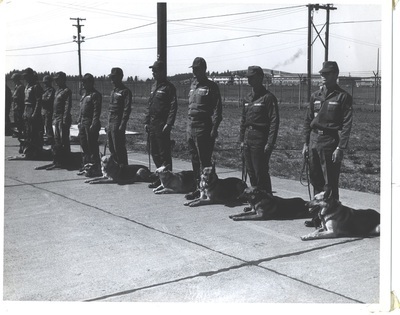 Approximately two weeks later, 40 canine teams were shipped to Vietnam as part of a test program called ―Top Dog. 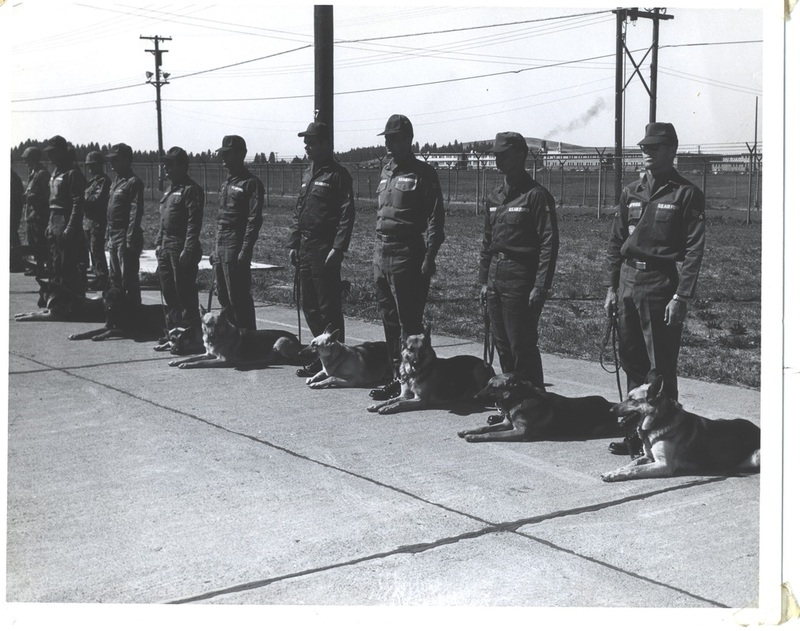 Within two months, 149 additional canine teams were deployed. 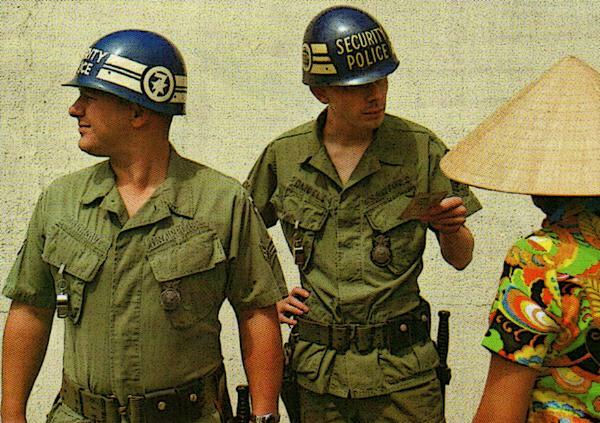 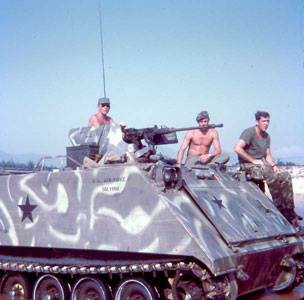 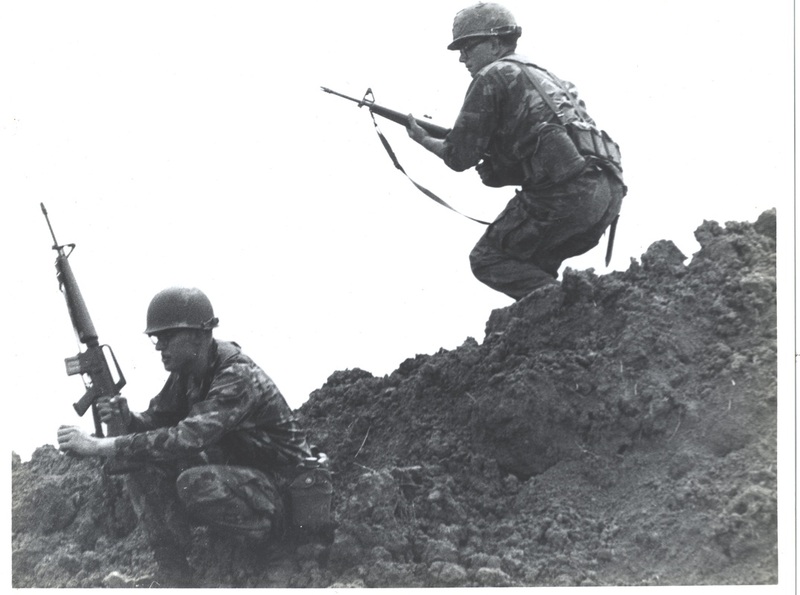 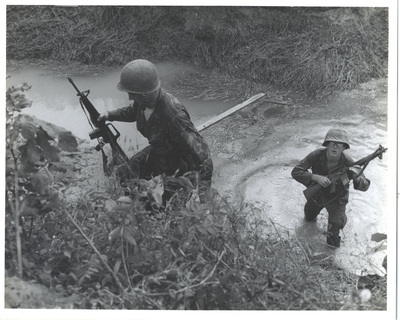 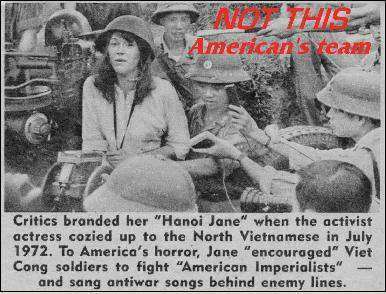 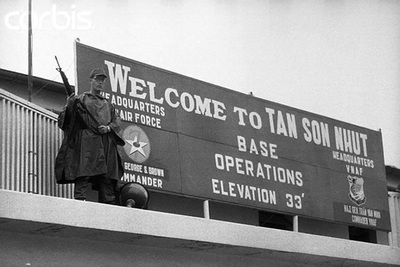 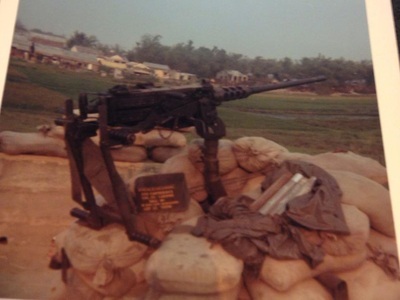 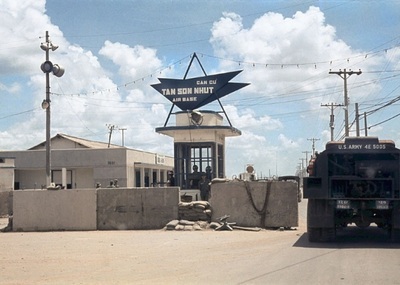 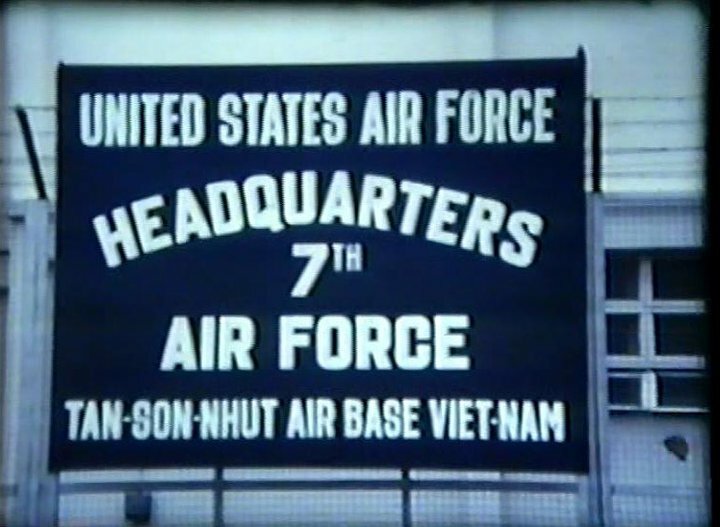 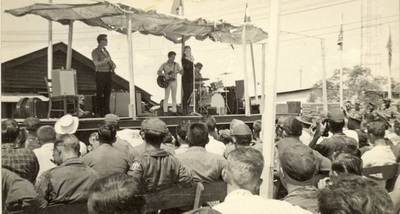 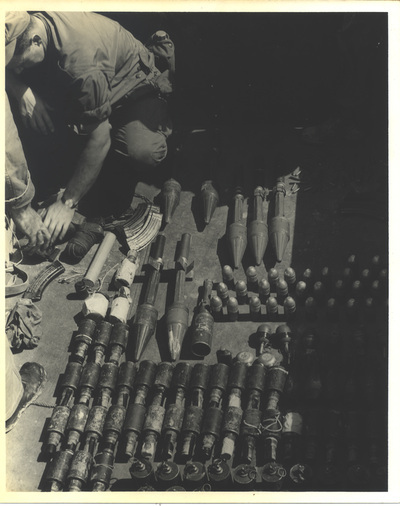 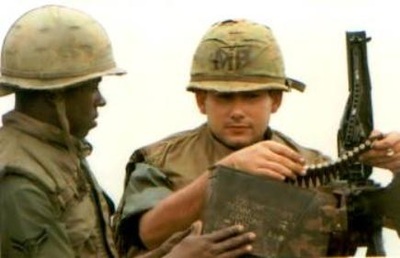 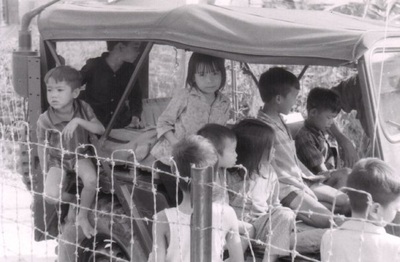 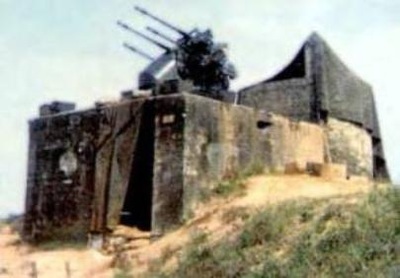 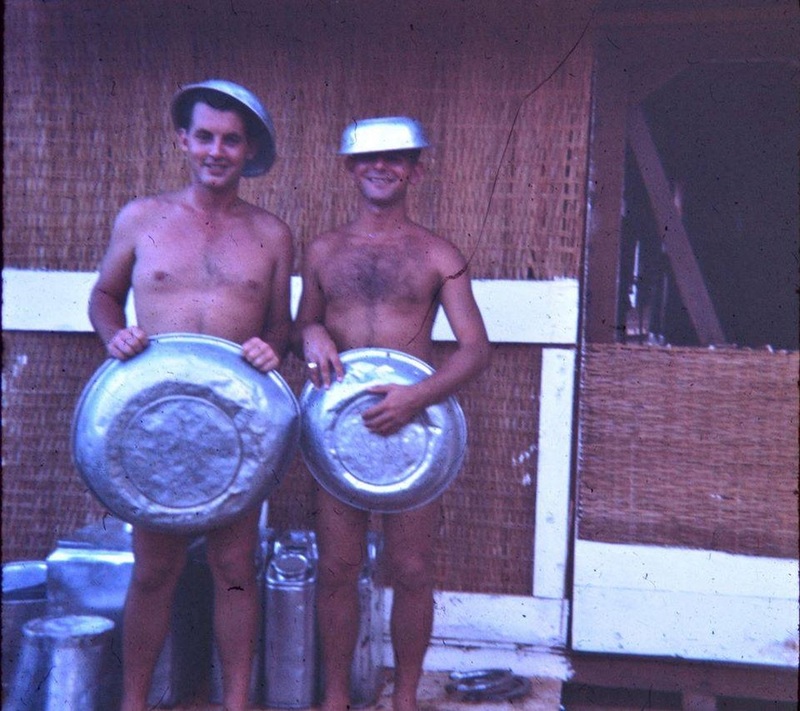 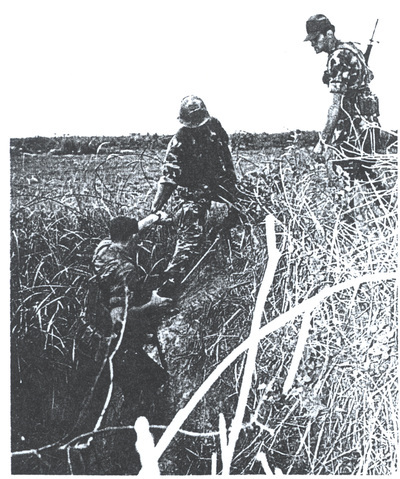 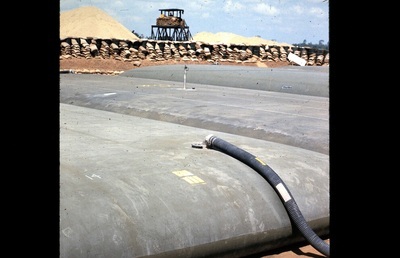 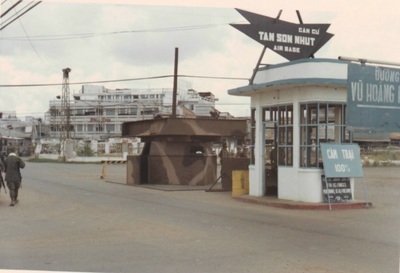 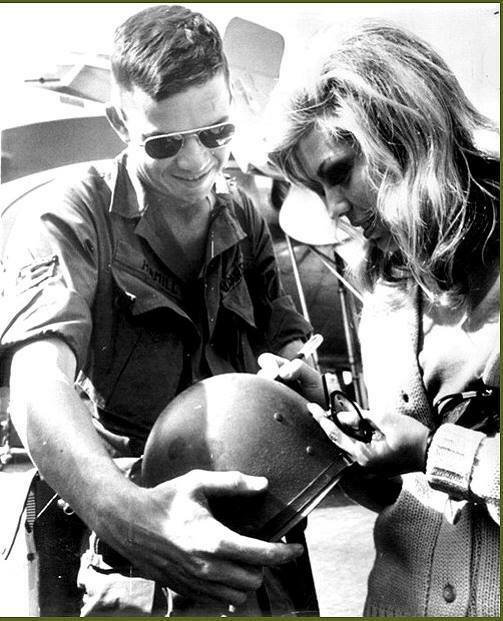 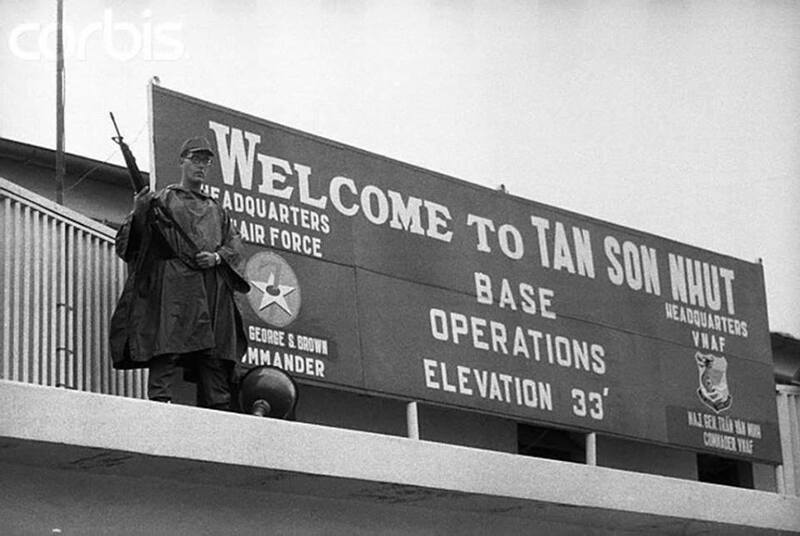 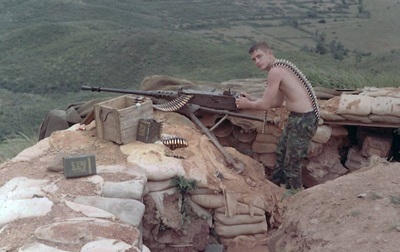 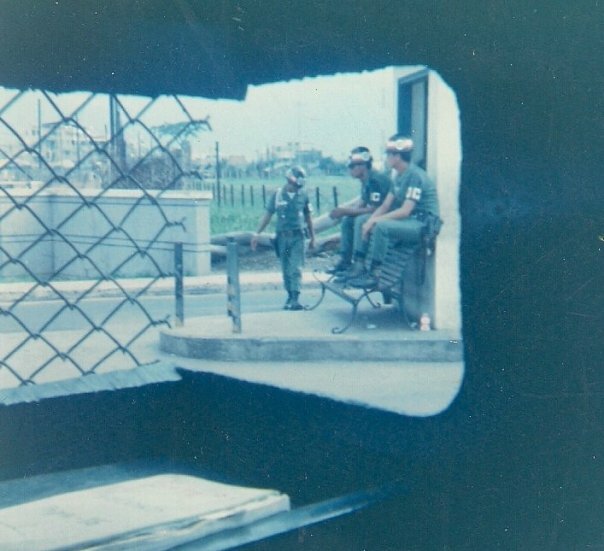 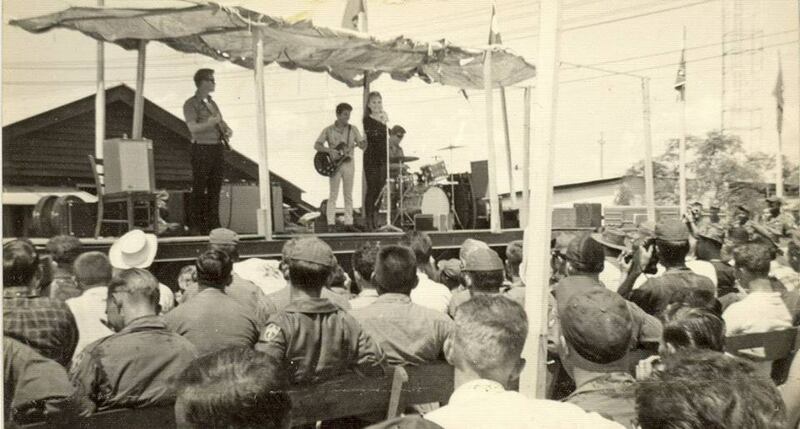 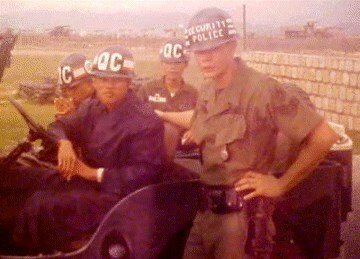 The demands of the Vietnam War led to the creation of Operation SAFE SIDE in 1967. 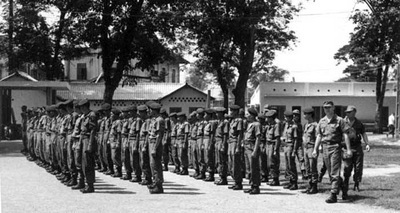 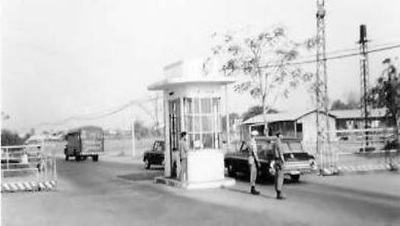 This was an effort to bolster protection of air bases by training Security Police in light infantry tactics and special weapons. 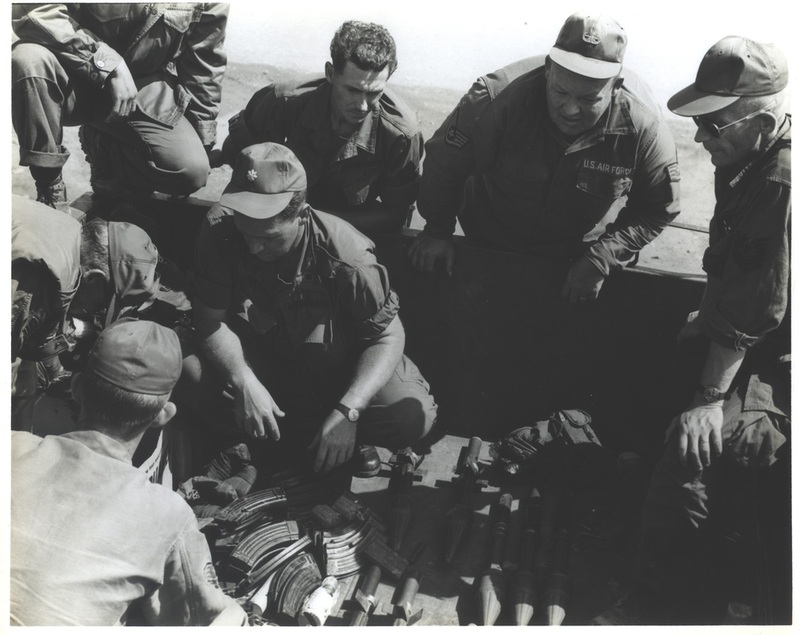 Many of the lessons learned during this time are the basis of today‘s Force Protection doctrine.